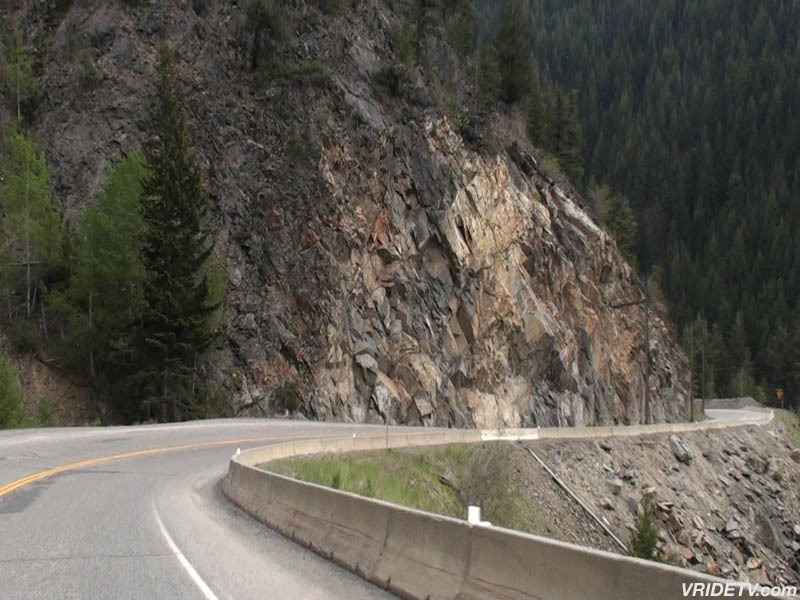 May 29th, 2009: These photos were pulled off the video footage shot yesterday on a ride from Langley, through the Fraser Canyon to the Last Spike Point of Interest, located between Spences Bridge and Ashcroft, British Columbia, Canada. 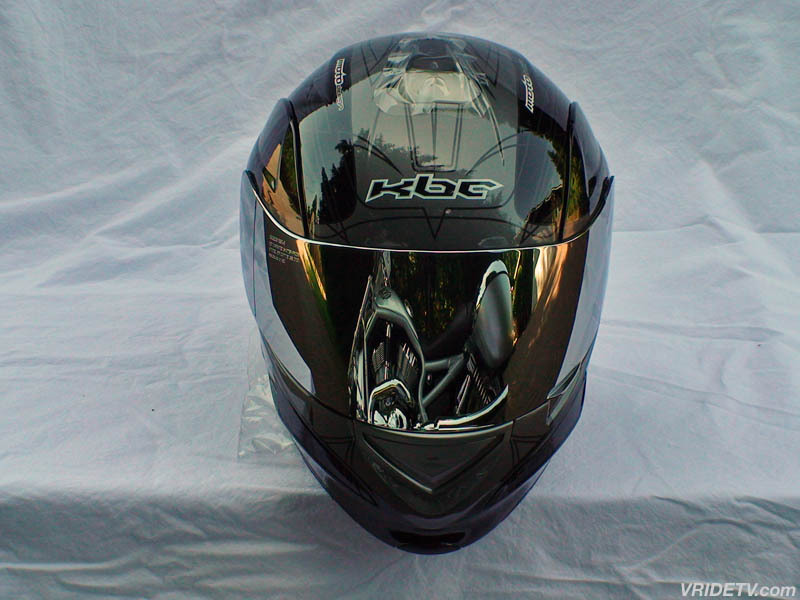 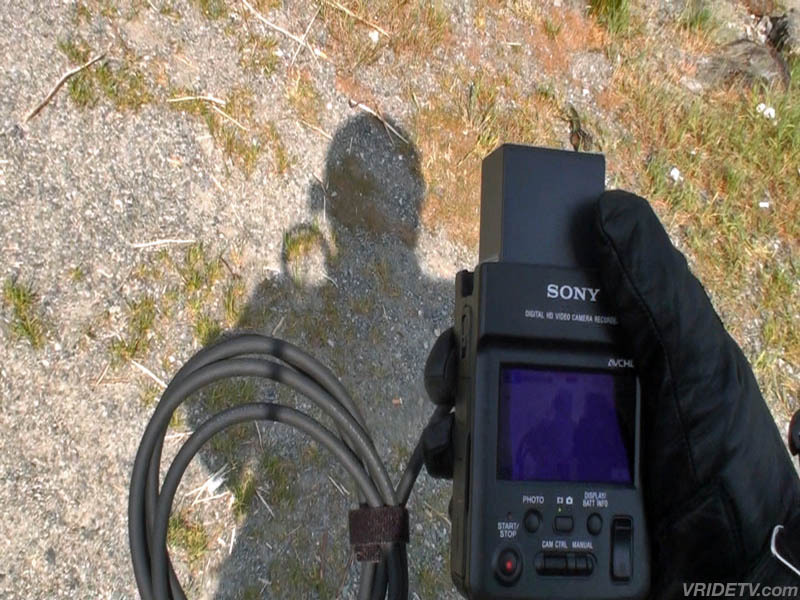 The video footage from the Sony HXR-MC1 HD helmet cam is now being edited and will be available in the next few days. 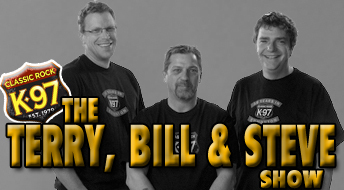 the Morning Crew: Steve, Terry and Bill, at Classic Rock K97 FM in Edmonton Alberta for reviewing our website, and sharing it with their audience. 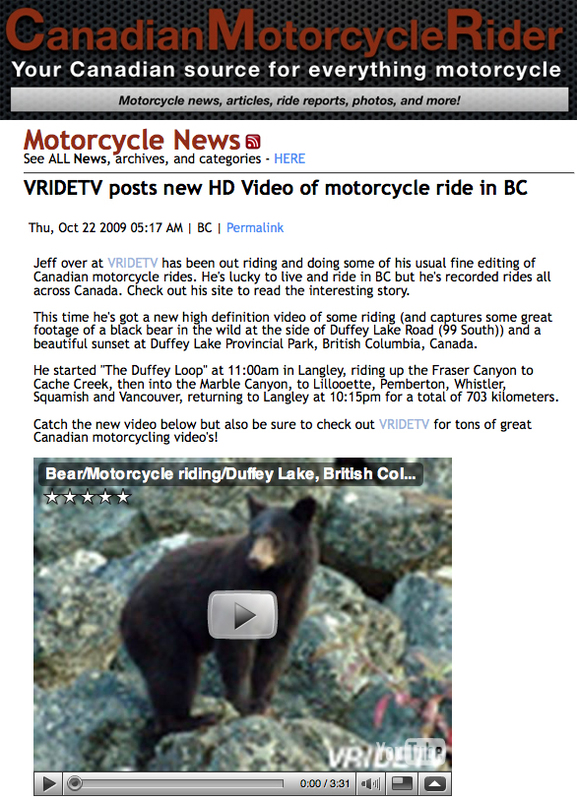 June 3rd, 2009: Special thanks once again to our media sponsor Canadian Motorcycle Rider online magazine. 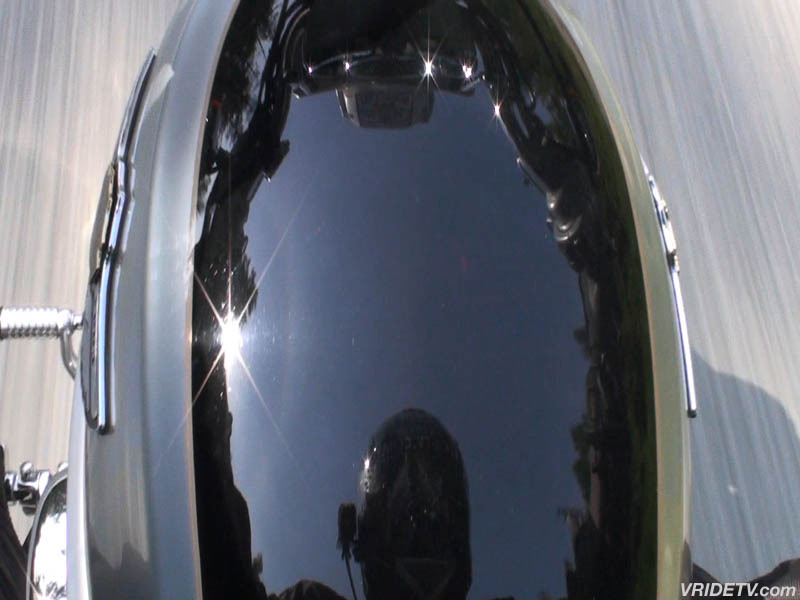 The Managing Editor and Webmaster Dan McAfee, has posted this article on our newest high definition video camera, the HXR-MC1 helmetcam. 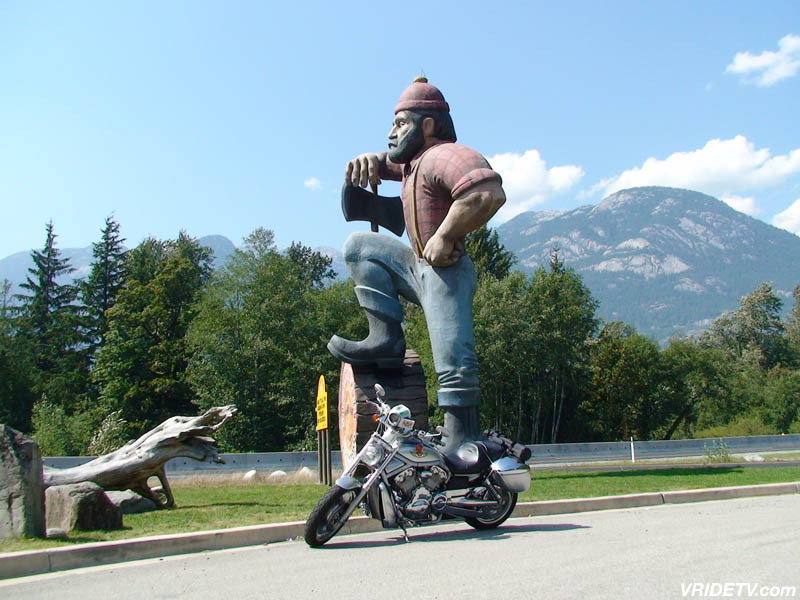 Be sure to visit Canadian Motorcycle Rider and catch up on all the latest motorcycle news. 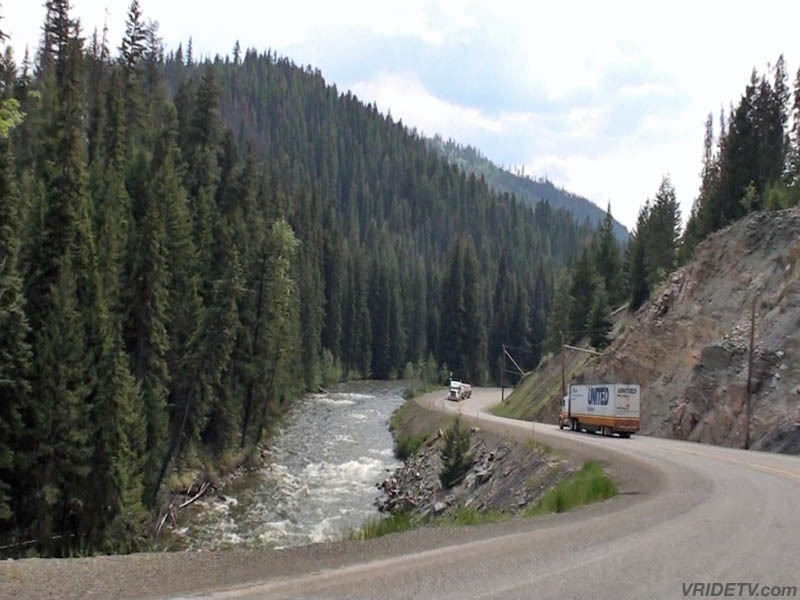 June 7th, 2009: Special thanks goes to our media sponsor Belt Drive Betty for including our most recent video in her weekly newsletter. 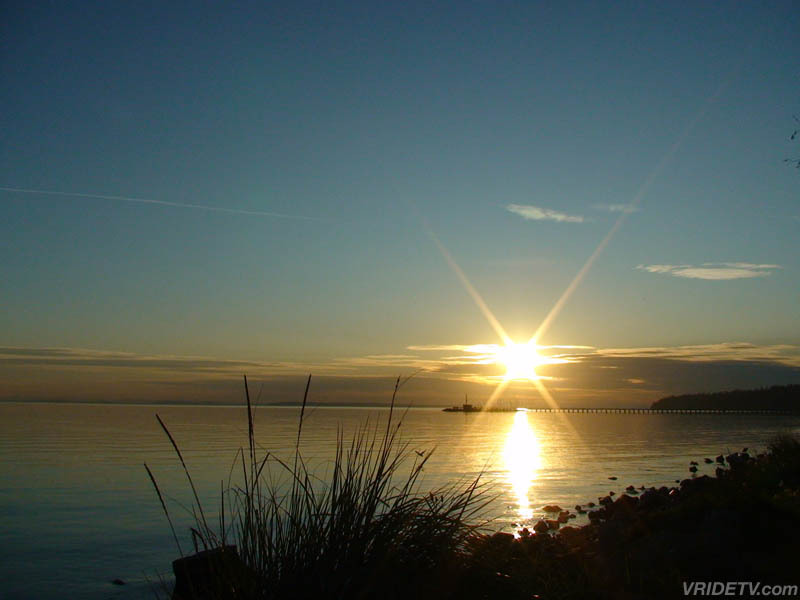 We appreciate you sharing it with your online community. 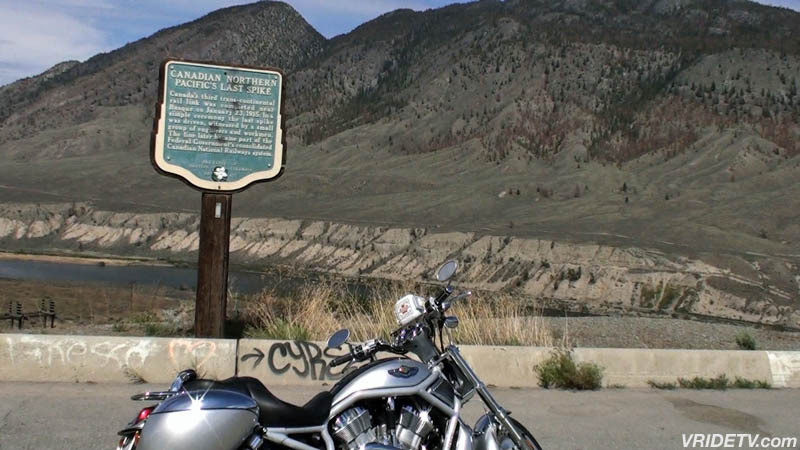 Visit this Canadian Motorcycle Riding Community and find out how you can receive the Bikers Discount Buying Club newsletter, and the Busted Knuckle Chronicles. 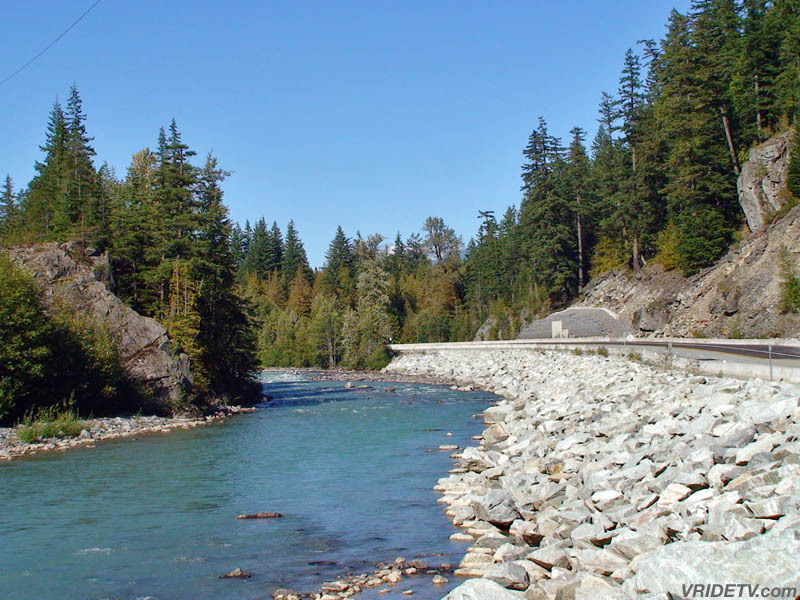 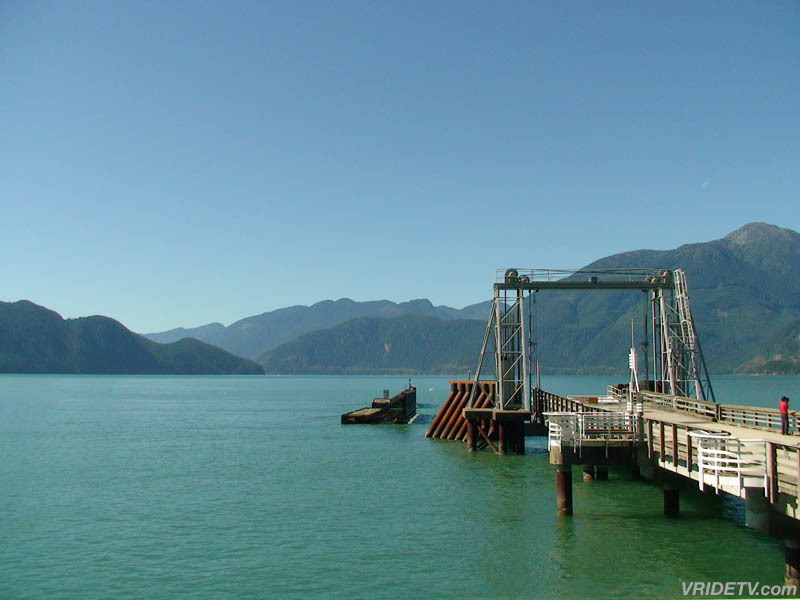 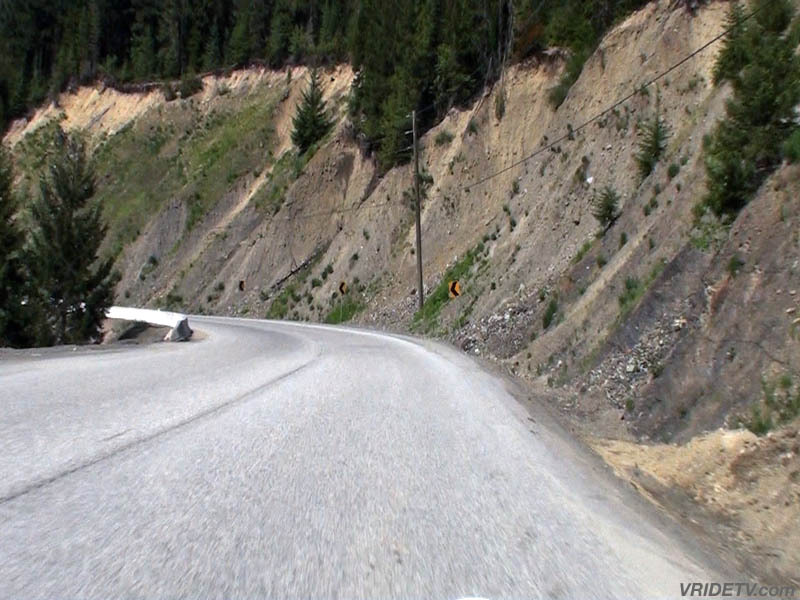 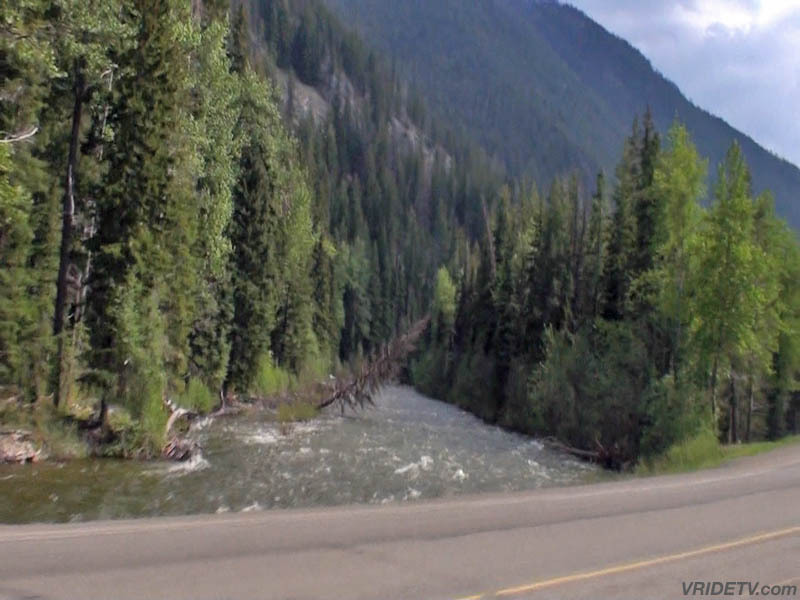 June 10th, 2009: These photos were pulled off the video footage shot on the ride from Hope to Princeton, British Columbia, Canada. 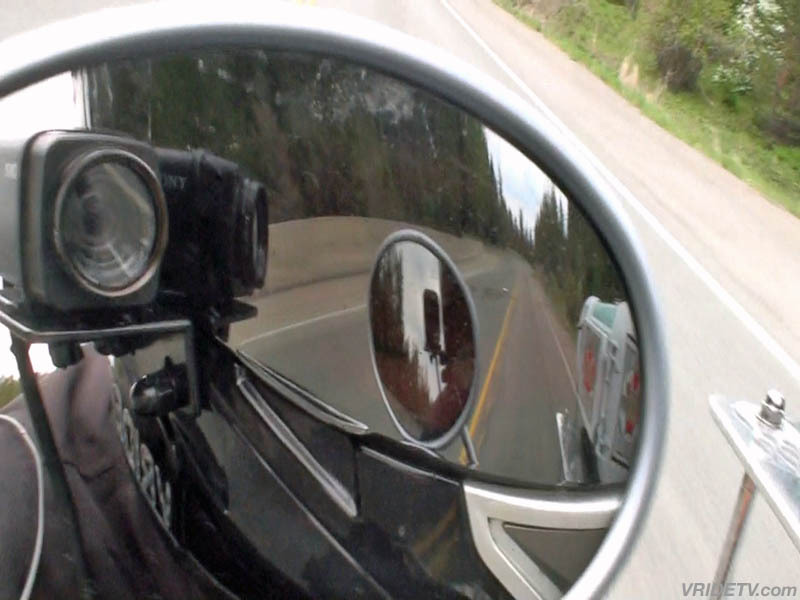 This is the second test we have performed using the Sony HXR-MC1 HD helmet cam. 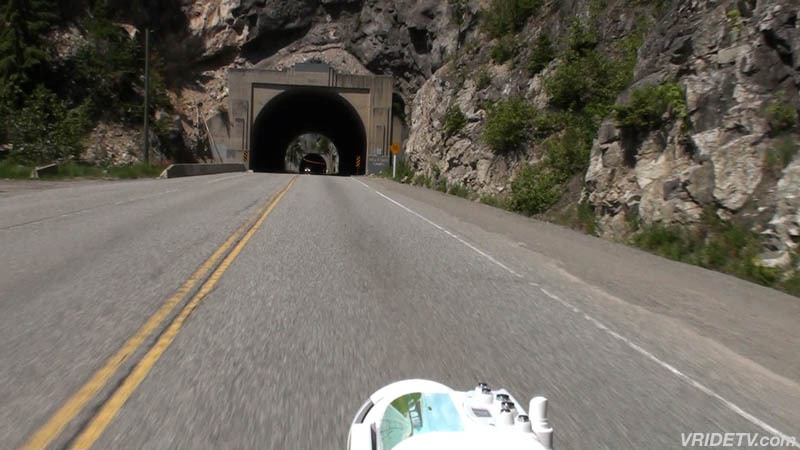 It is now being edited and will be available in the next few days. 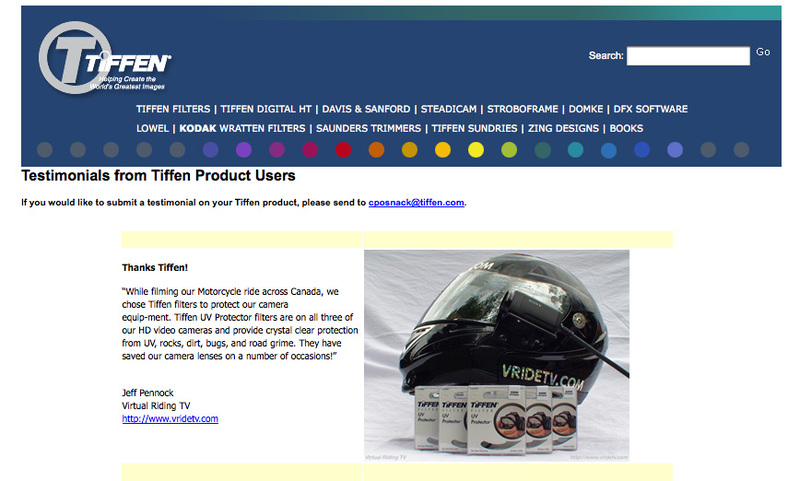 June 10th, 2009: We would like to welcome Tiffen, our newest sponsor to Virtual Riding Television. 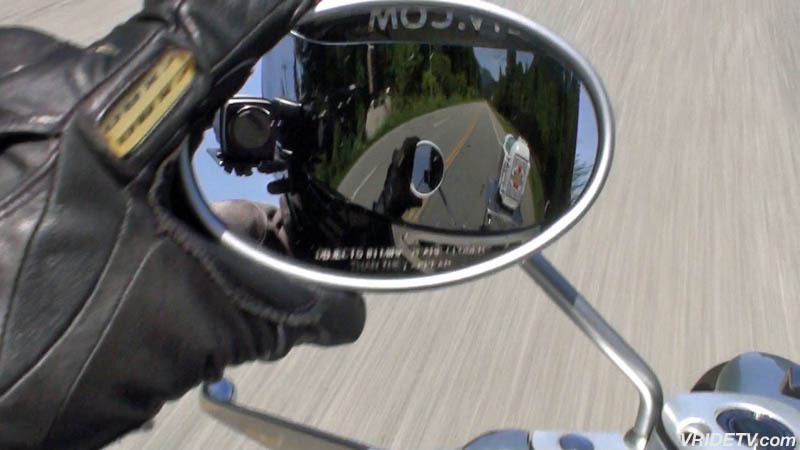 Their UV Protector filters are on all three of our HD video cameras and provide crystal clear protection from UV, rocks, dirt, bugs, and road grime. 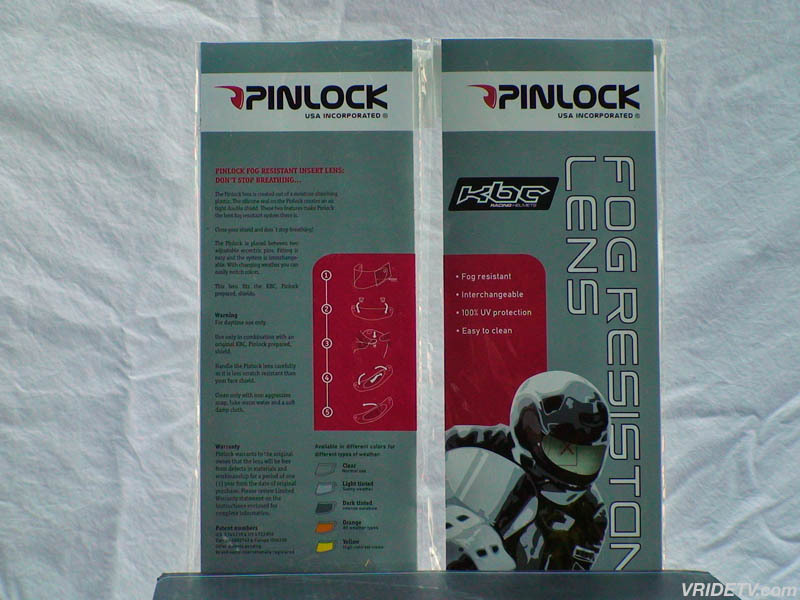 They have saved our camera lenses on a number of occasions! 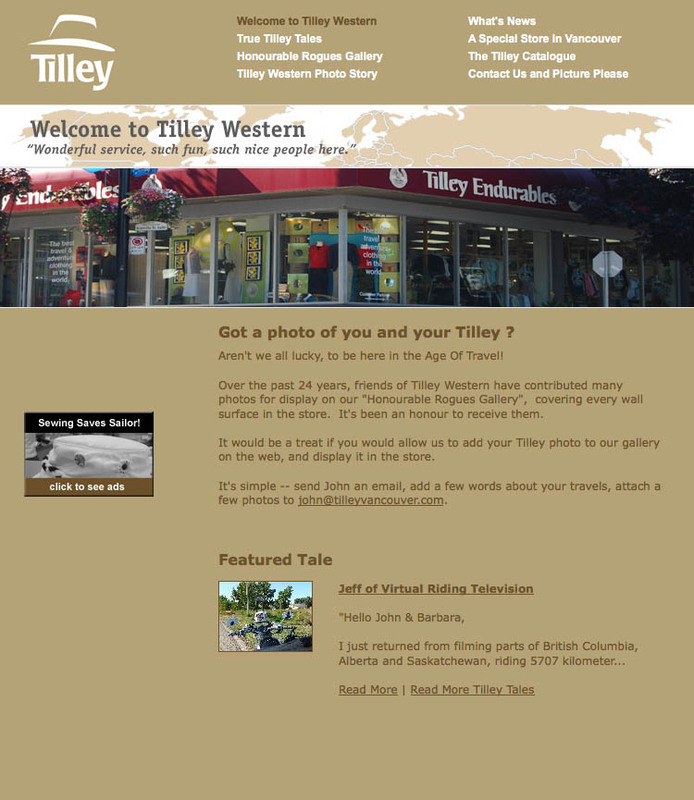 Please take the time to visit their site. 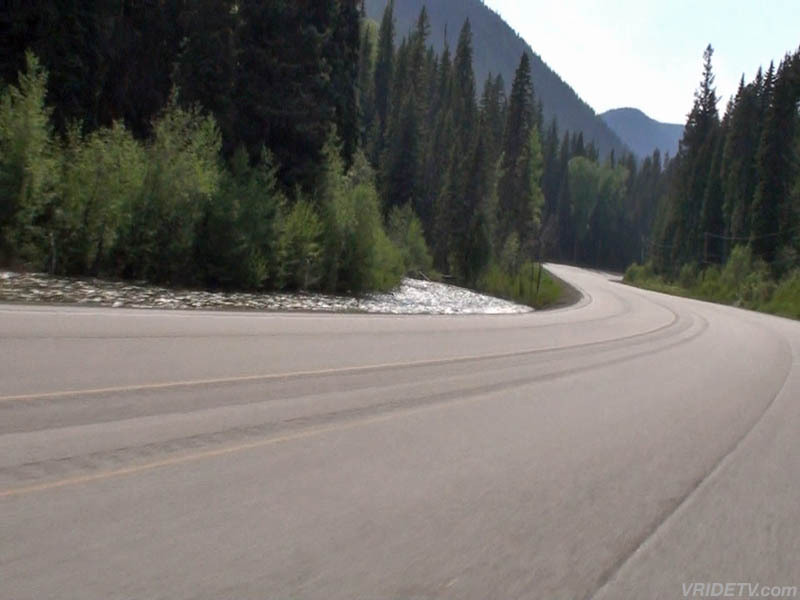 Uploaded by VRIDETV - NASCAR, F1, tuning and drift videos. 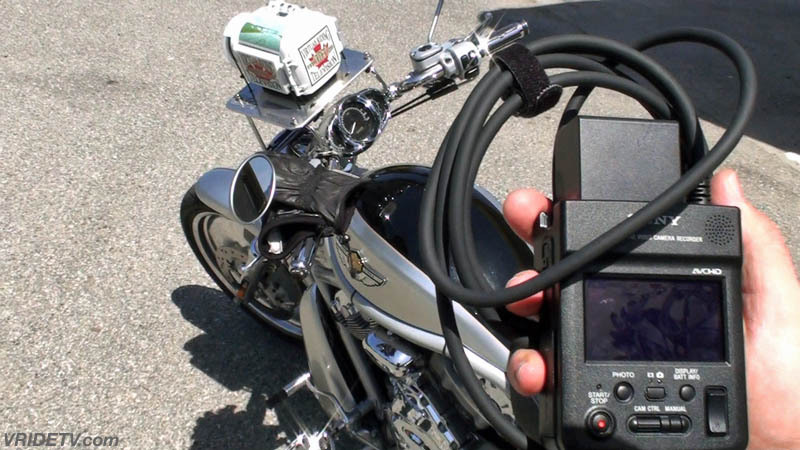 May 30th, 2009: Virtual Riding TV's first test ride with the Sony HXR-MC1 Digital HD Camera Video Recorder. 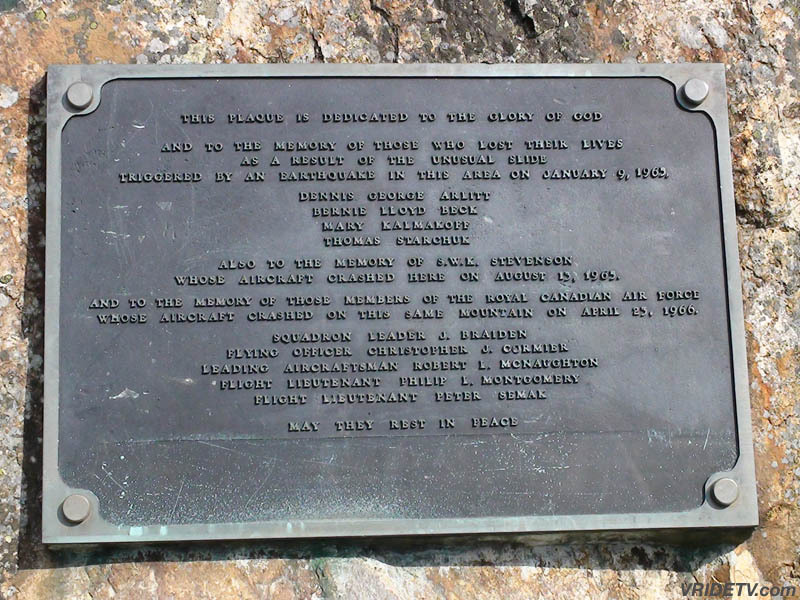 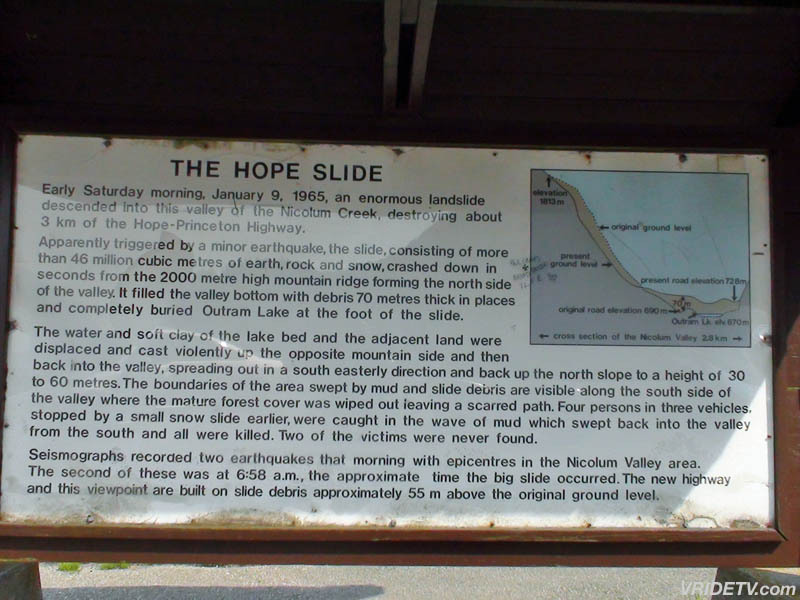 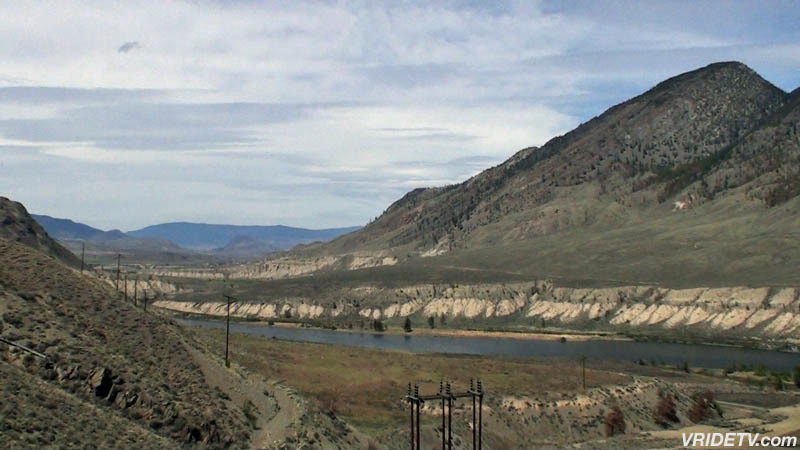 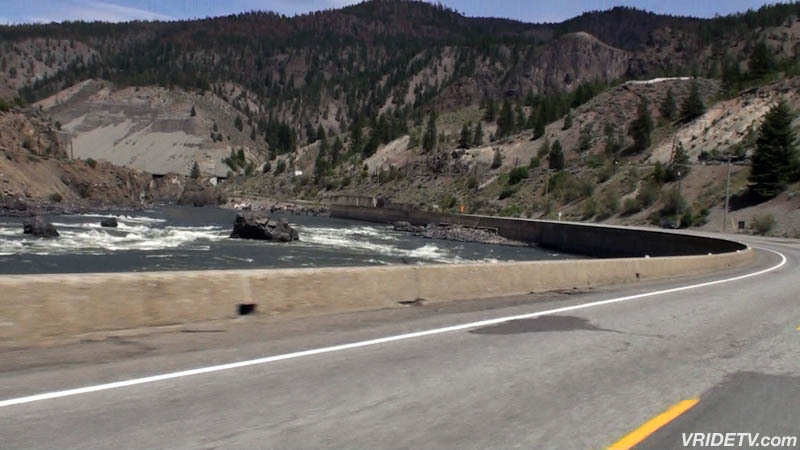 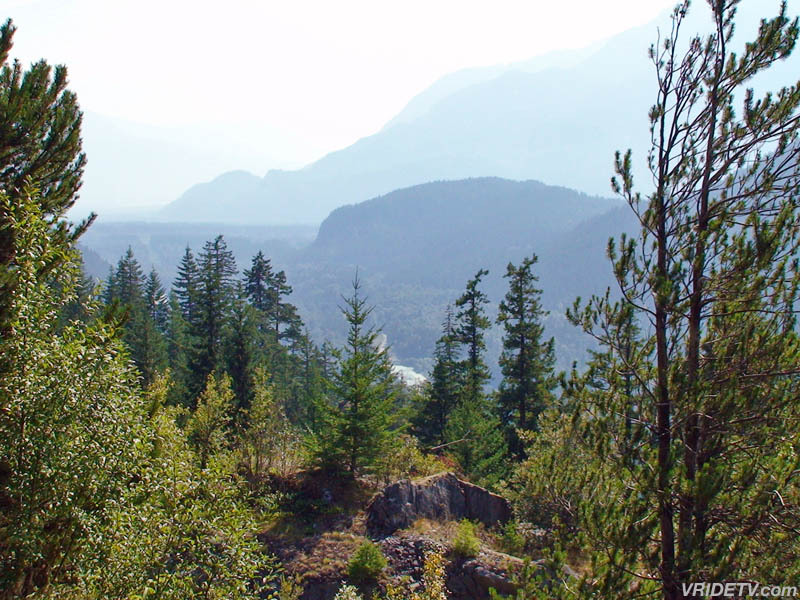 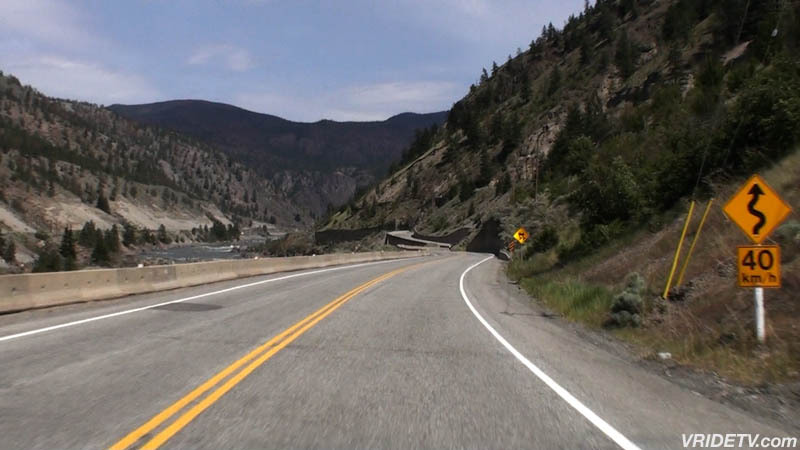 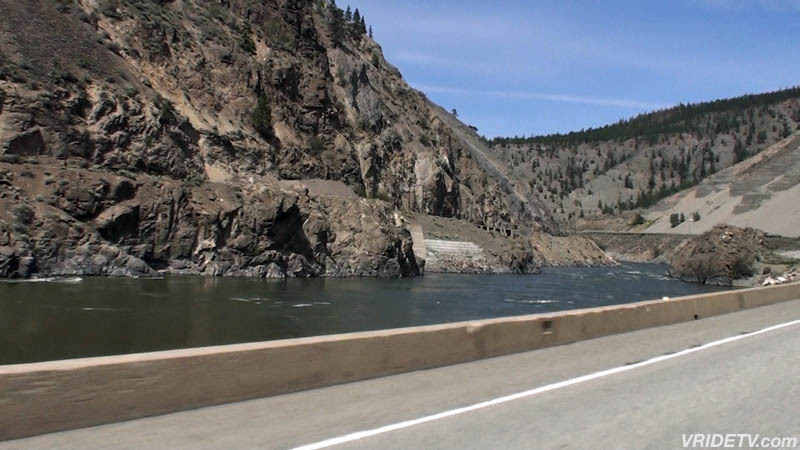 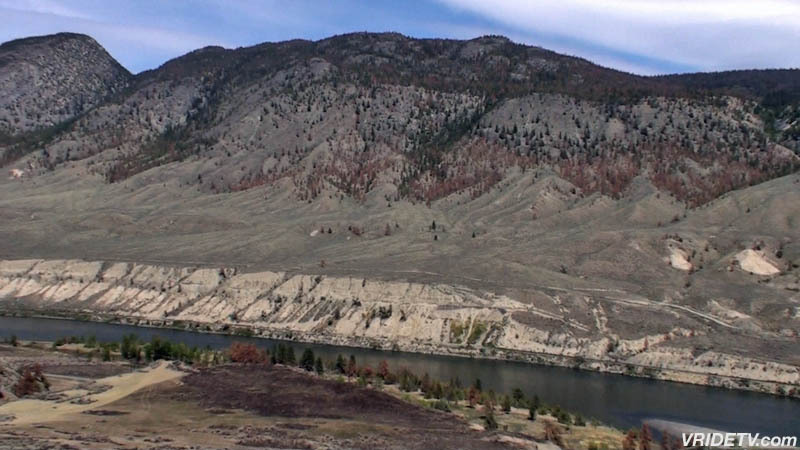 This footage was shot in the Fraser Canyon from Hope to The Last Spike Point of Interest, located between Spences Bridge and Ashcroft British Columbia, Canada. 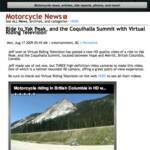 June 16th, 2009: Special thanks once again to our media sponsor Canadian Motorcycle Rider online magazine. 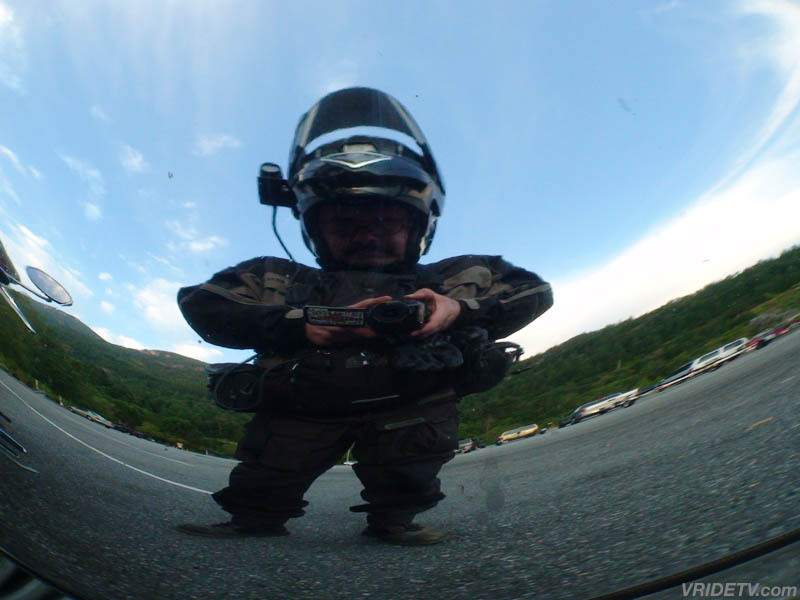 The Managing Editor and Webmaster Dan McAfee, has posted this article on our second ride with our newest HD video camera, the Sony HXR-MC1 helmetcam. 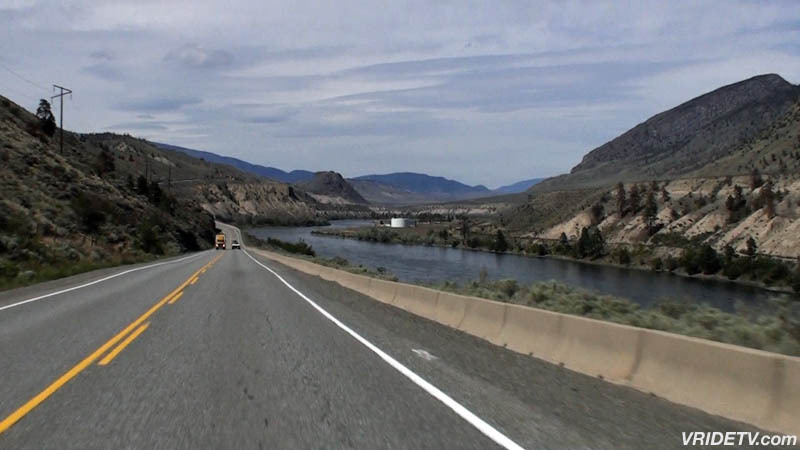 June 18th, 2009: Special thanks goes to our media sponsor Belt Drive Betty for including our Hope-Princeton Highway video in her weekly newsletter. 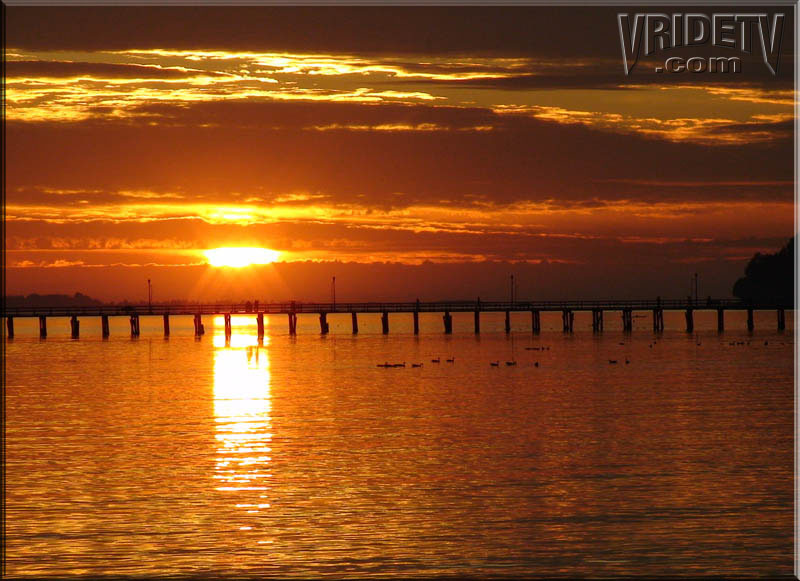 We appreciate you sharing it with your online community. 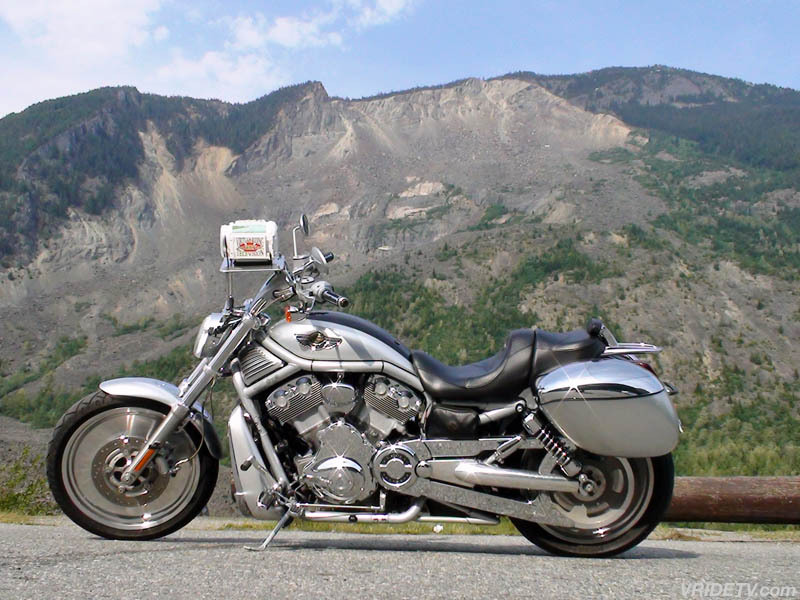 Click the logo for more information on how you can receive the Bikers Discount Buying Club newsletter, and the Busted Knuckle Chronicles. 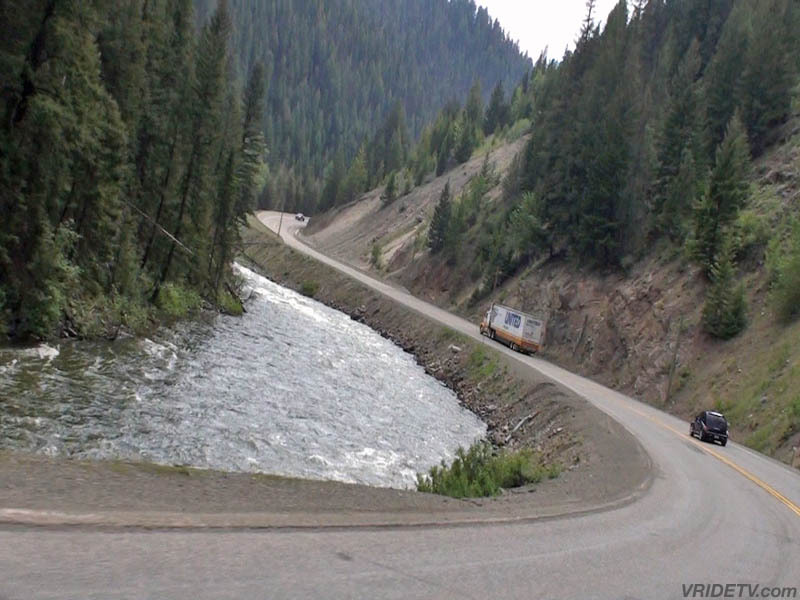 You can also follow Belt Drive Betty on Twitter. 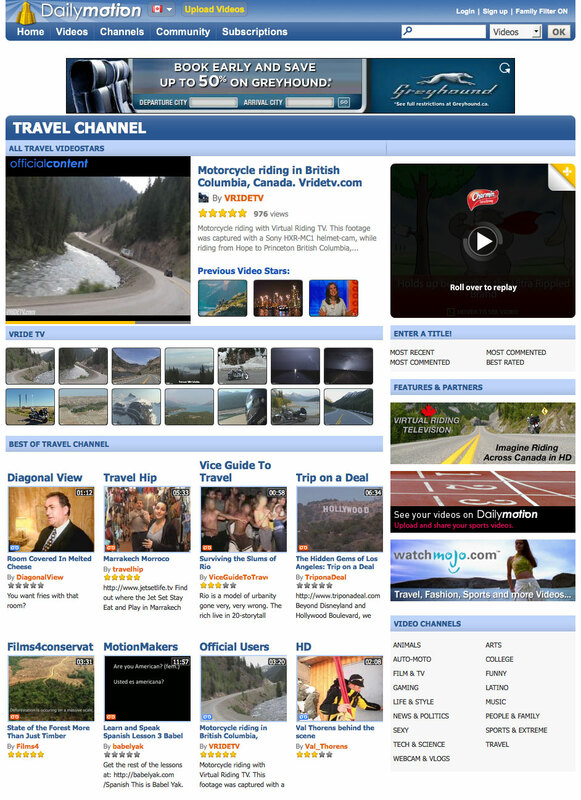 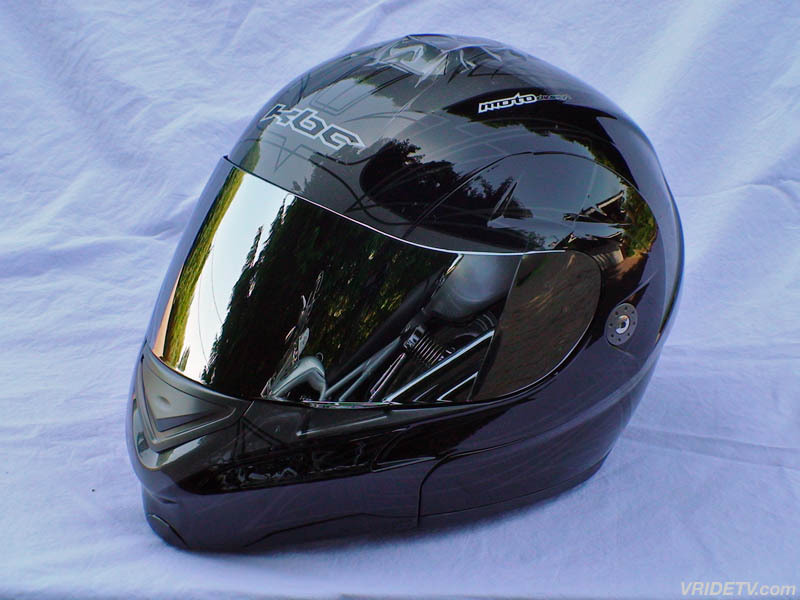 June 19th, 2009: A new navigation menu and twenty new Virtual Riding TV banners have been added to the top of every page. 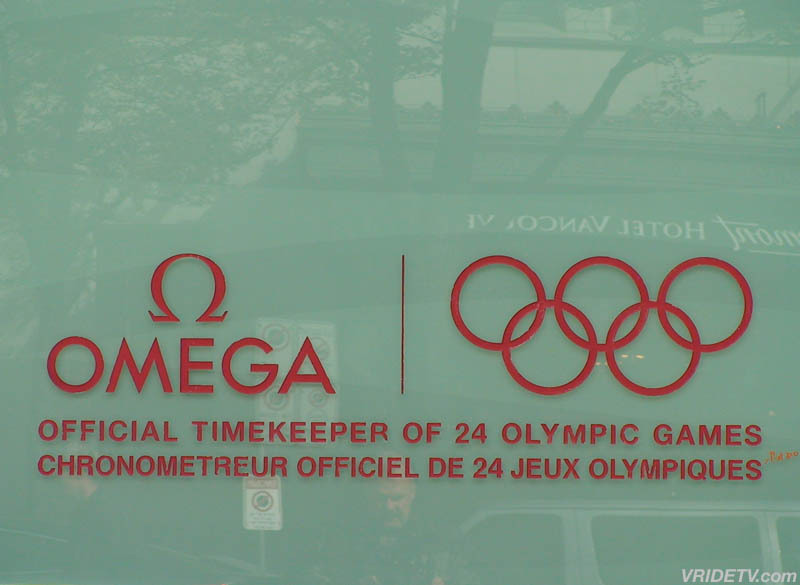 One of the new banners will appear randomly every time you visit a different page, or refresh the one you're currently on. 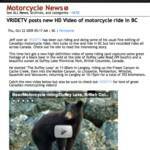 June 21st, 2009: We would like to thank Le Blog Moto for posting this article, and three of our videos and images on their website. 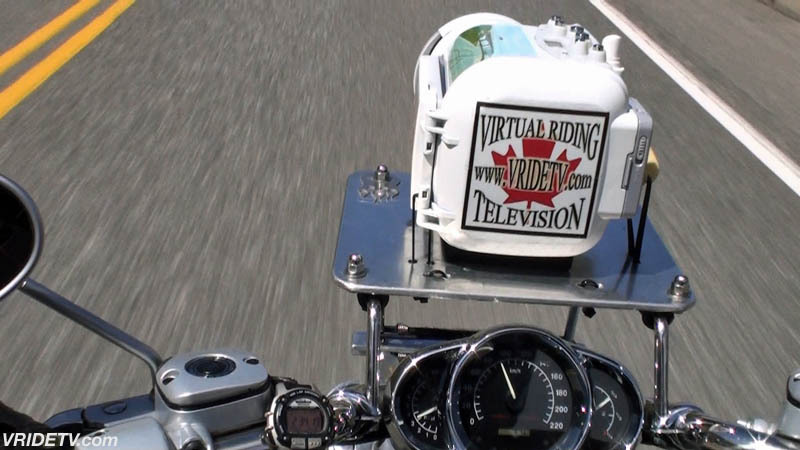 We appreciate you sharing Virtual Riding TV with your viewers. 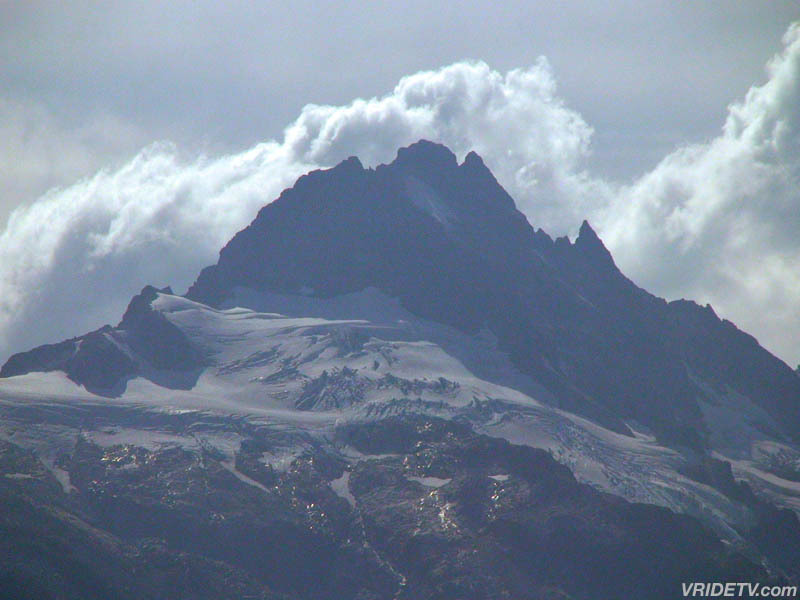 June 22nd, 2009: Free high resolution wallpapers are now available for our viewers, there are ten to choose from and they are available in two different sizes. 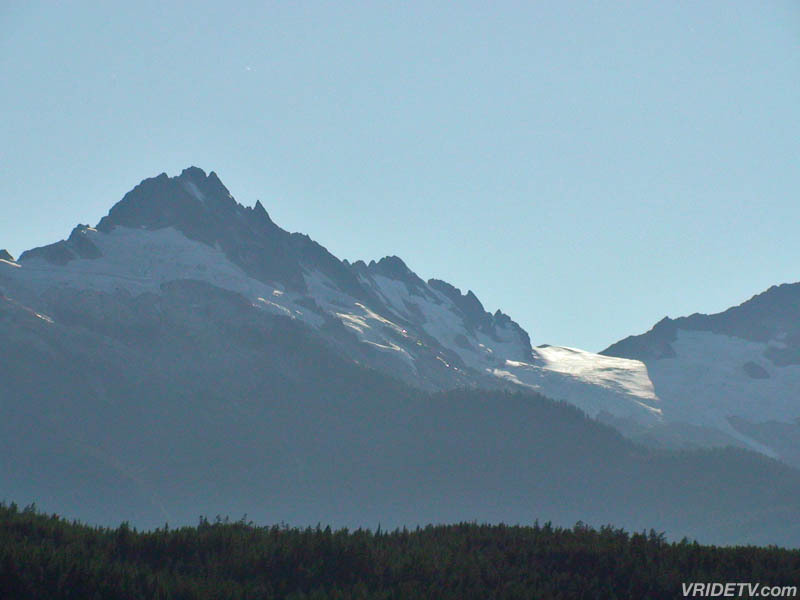 Pick your favourite, and make it your new desktop background. 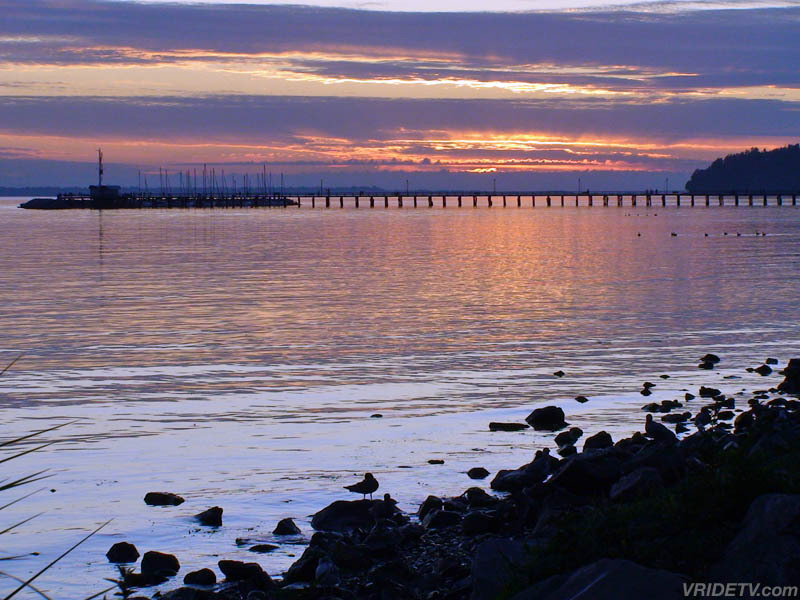 Click the image to see all ten wallpapers. 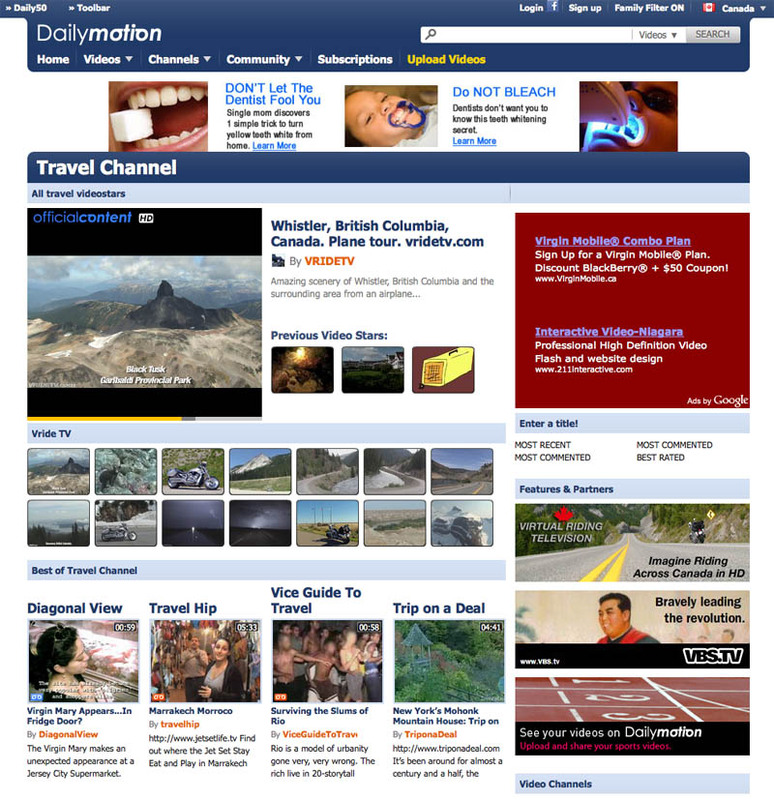 June 24th, 2009: Special thanks to Dailymotion.com for featuring our Hope-Princeton video on their travel page. 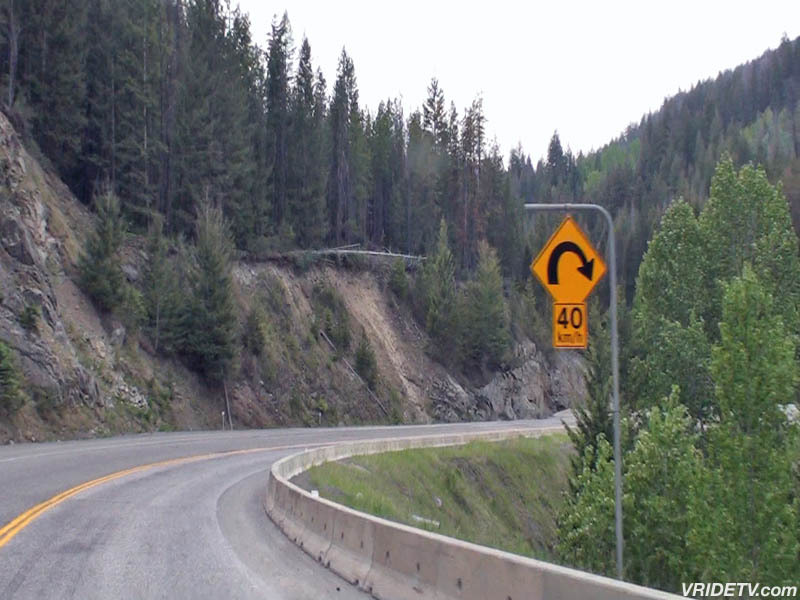 We appreciate the exposure that this placement provides. 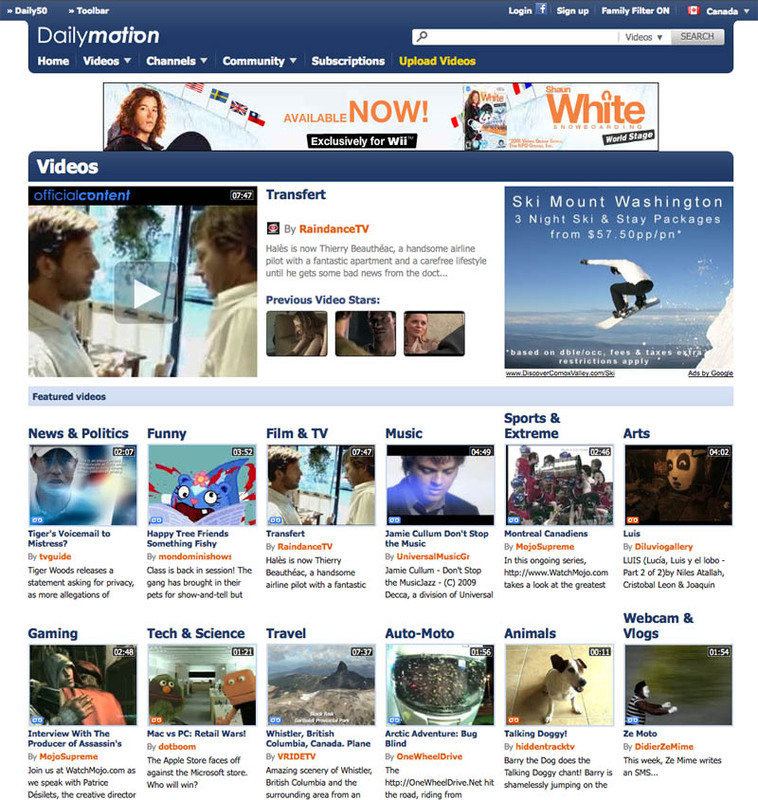 Visit Dailymotion.com for online videos, music, and movies. 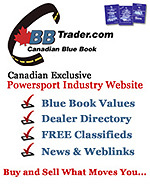 June 25th, 2009: We would like to welcome our newest media sponsor, Canadian Blue Book Trader to Virtual Riding TV. 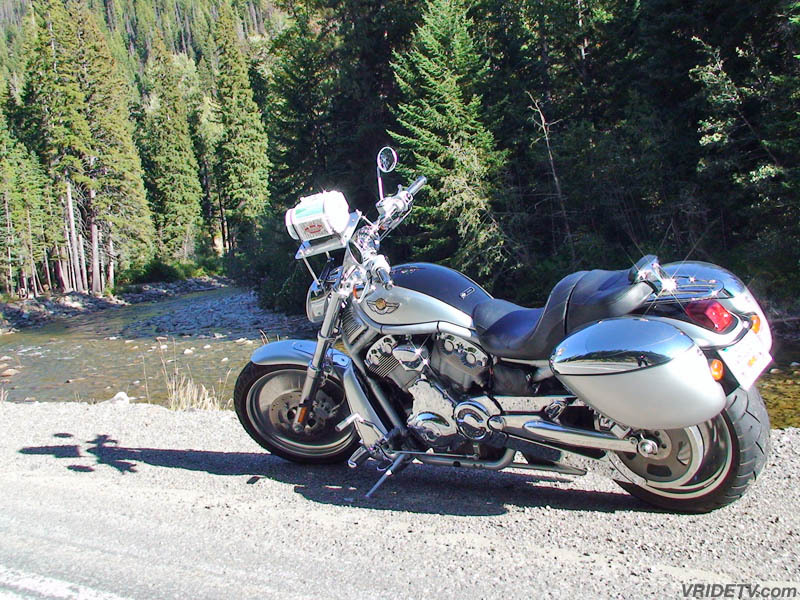 What is your ATV, Motorcycle or Snowmobile Worth $$$? 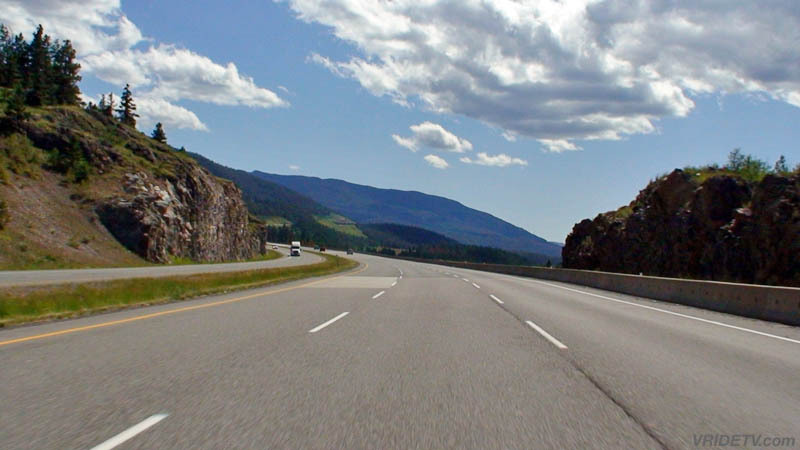 Until now, finding out the value of your vehicle in Canada was a real guessing game. 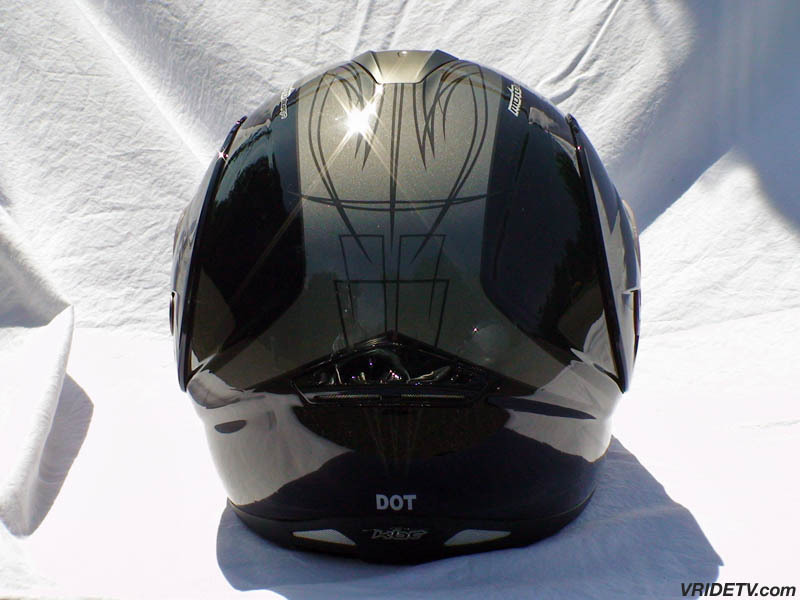 Searching the local buy and sells, traders and online forums was a lot of work and not a reliable source of determining an accurate value. 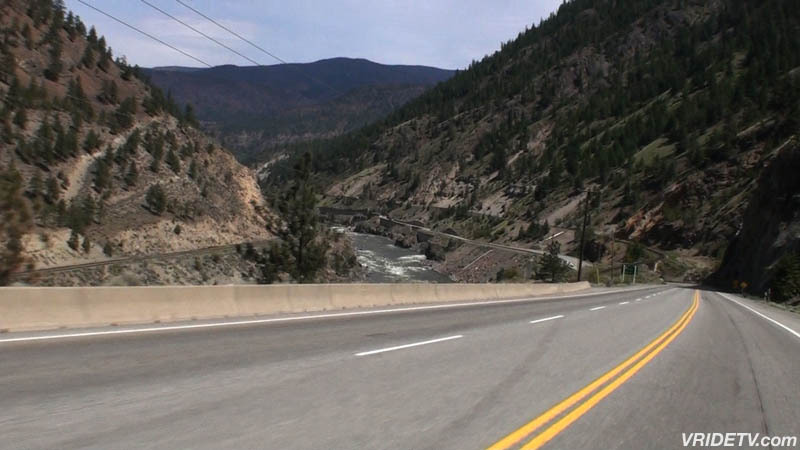 Now thanks to All Seasons Publications Ltd, publishers of the Canadian Blue Book, finding out an accurate value for your vehicle just got a whole lot easier. 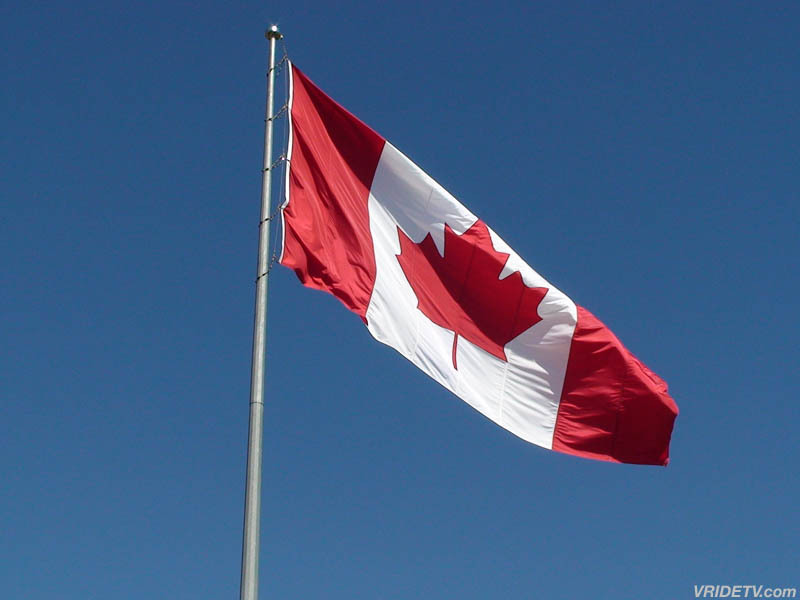 July 1st, 2009: Today Canada celebrates it's 142nd Birthday. 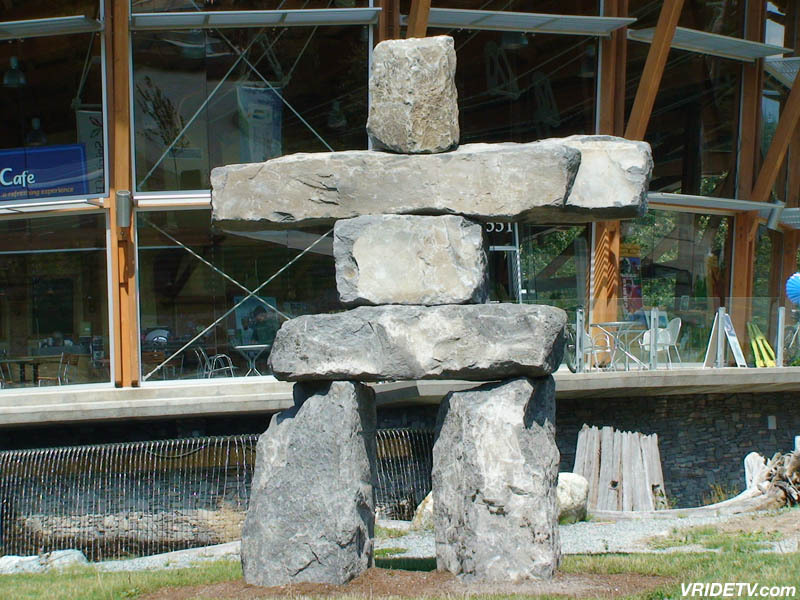 HAPPY BIRTHDAY CANADA! 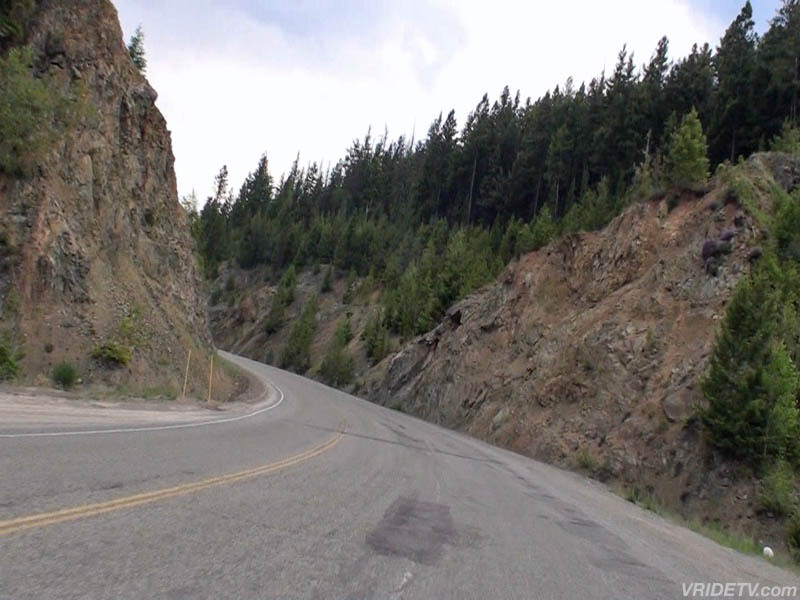 Here are some photos taken on yesterday's ride from Langley to Merritt, British Columbia. 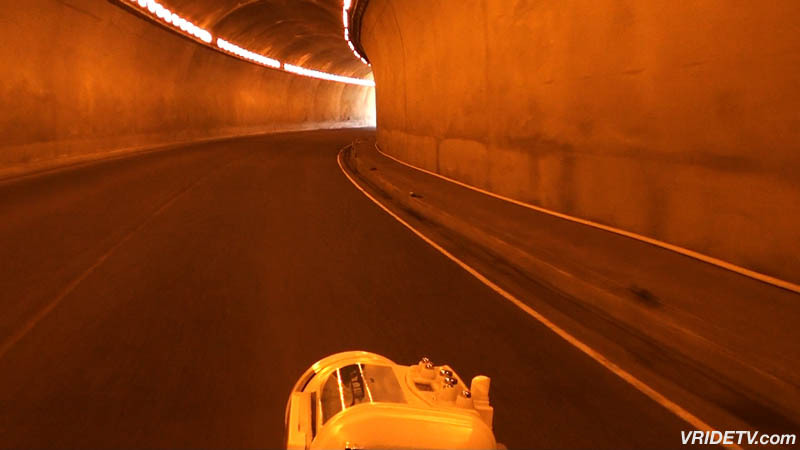 All three high definition cameras were used on the 458 kilometer ride, the video footage captured is being edited and should be ready for viewing in the next couple of weeks. 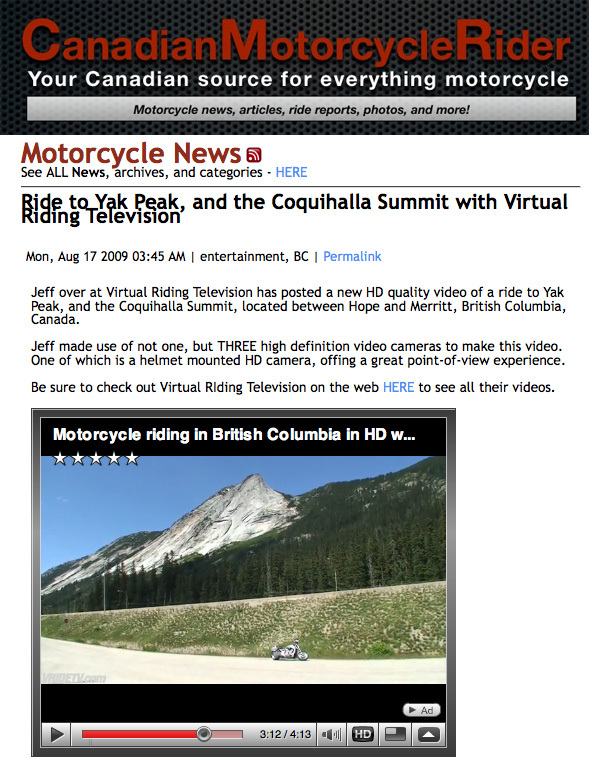 July 15th, 2009: Virtual Riding TV is very pleased to announce that we have been accepted into Youtube's Partnership Program. 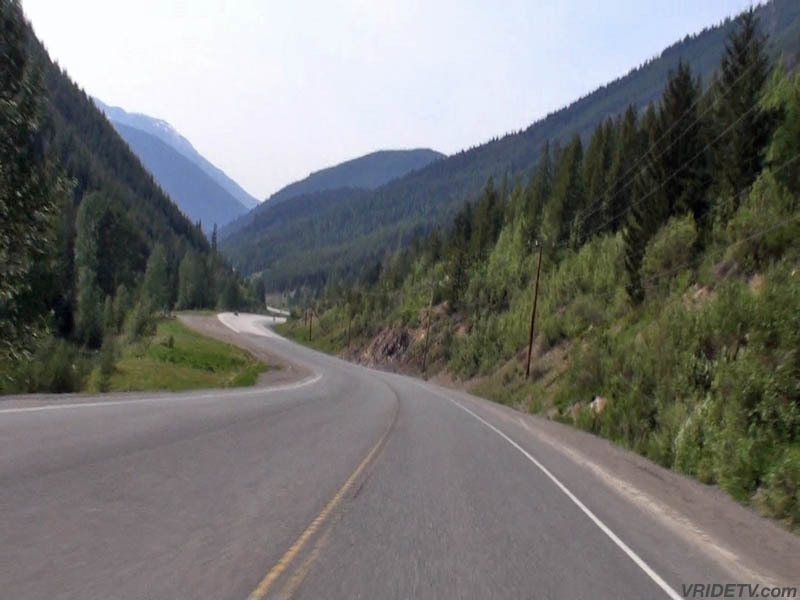 This will allow our videos to be seen in a higher resolution HD codec, and also gives us the oppurtunity to provide a more creative channel layout. 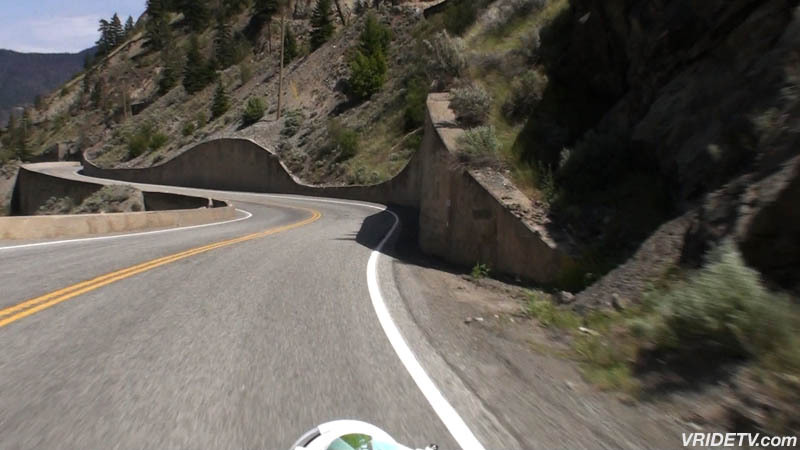 Visit our new Youtube Channel, let us know what you think by posting in the Channel Comments Box. 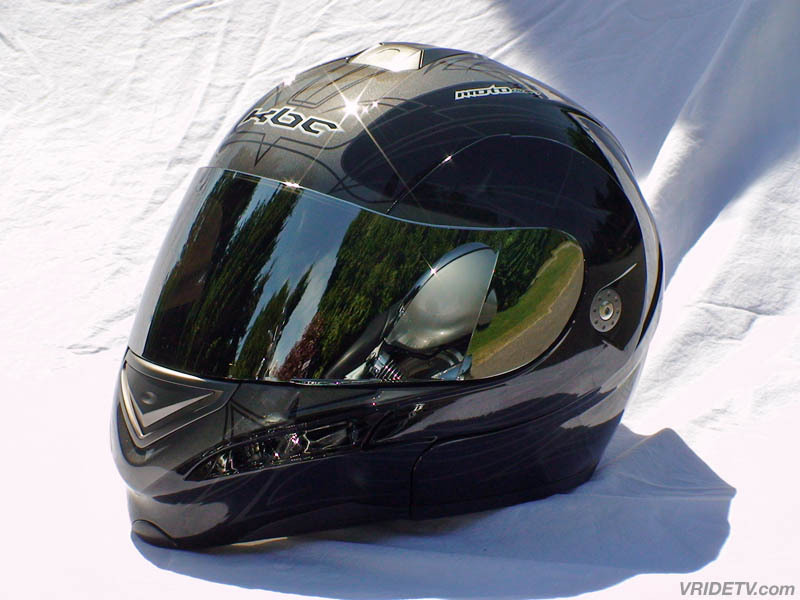 July 20th, 2009: Our Sponsor, Hawgzotic Custom Cycle, the O.C.C. 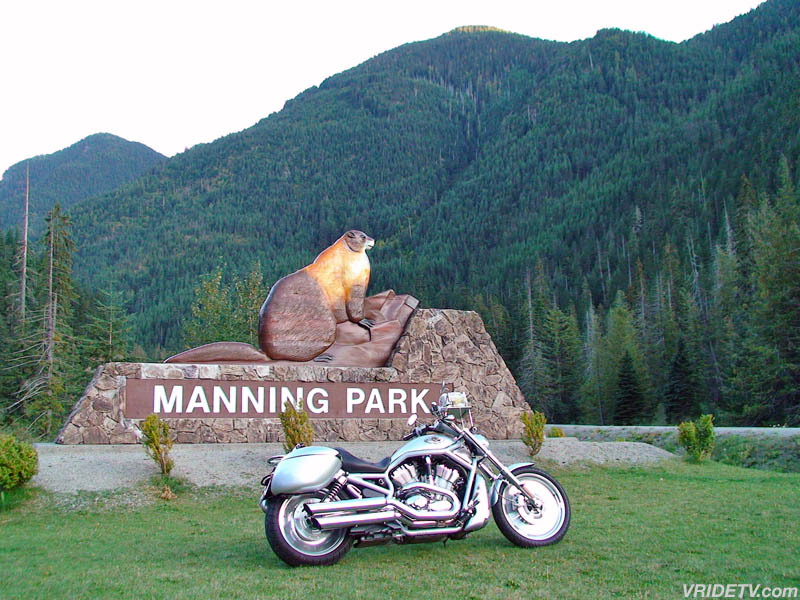 Motorcycle Dealer of British Columbia is having their Grand Opening on July 25th - 26th. 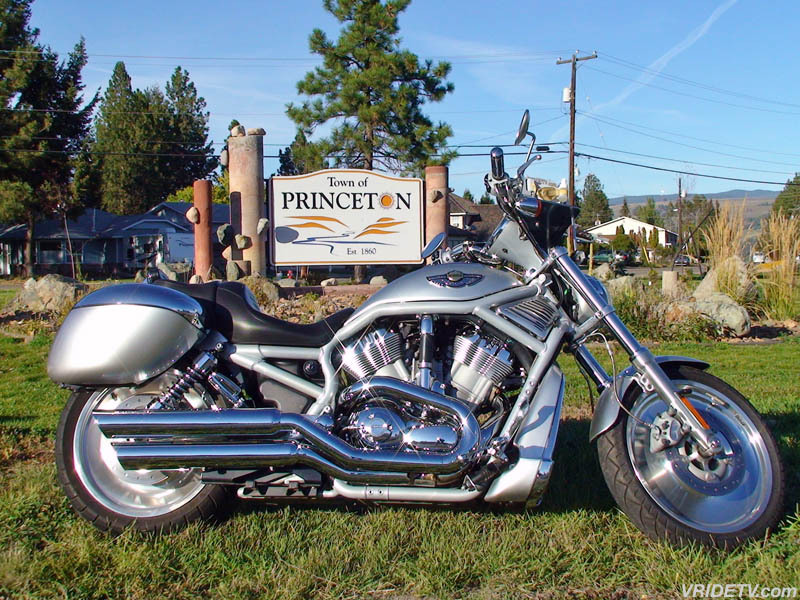 On Saturday, Jason Pohl from Orange County Choppers will be on the celebrity ride and at the V.I.P. 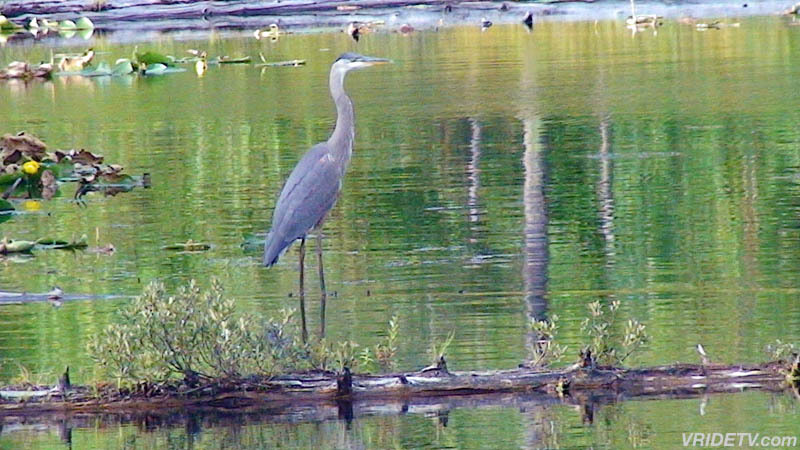 dinner. 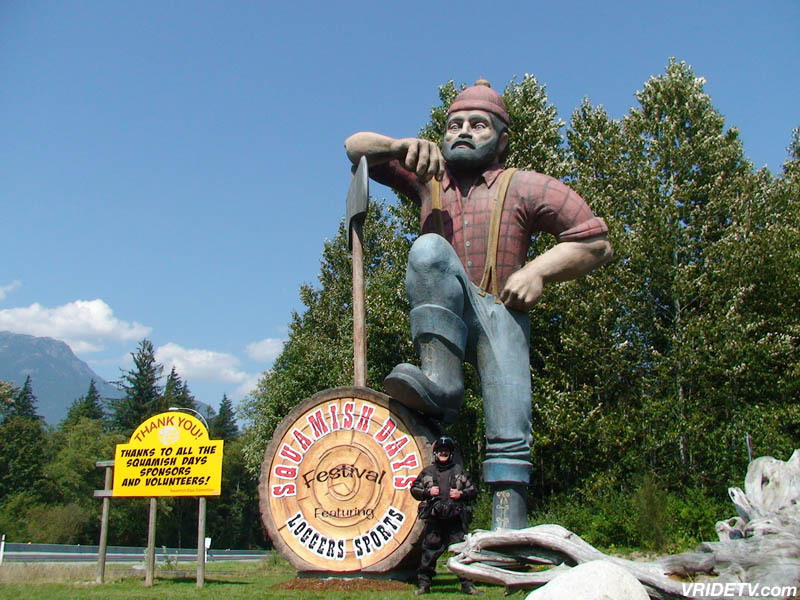 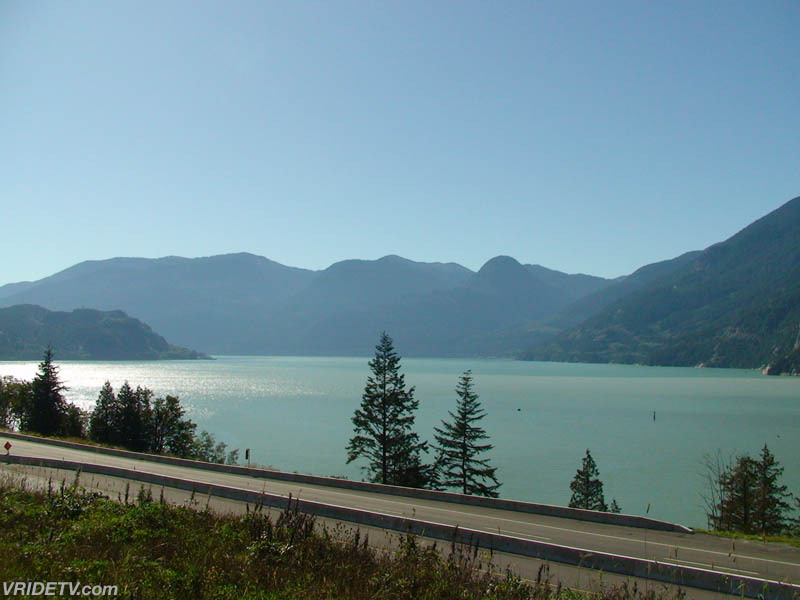 Please note, the ride has now been changed from Cultus Lake to Duke's Pub for lunch, then back to Hawgzotic for a bike wash and door prizes. 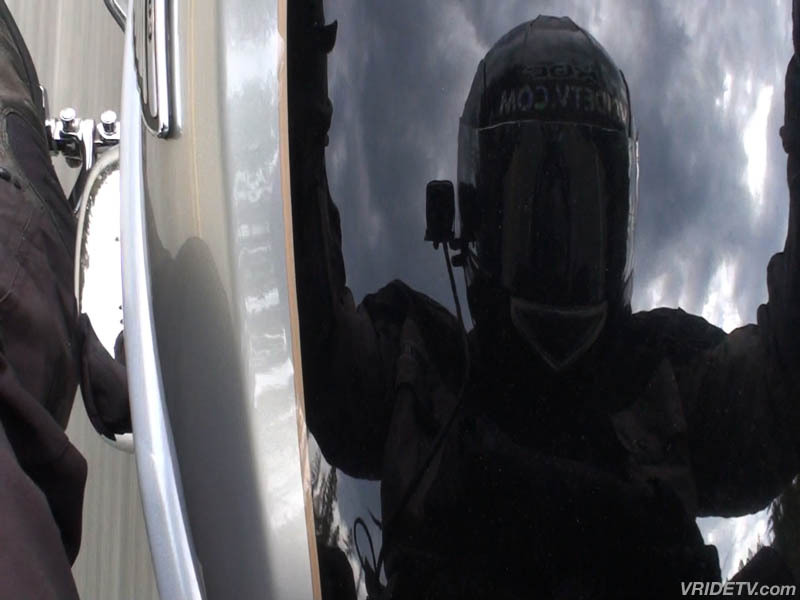 Jason will also be at Hawgzotic for Sunday's show n' shine, barbecue, and other entertainment. 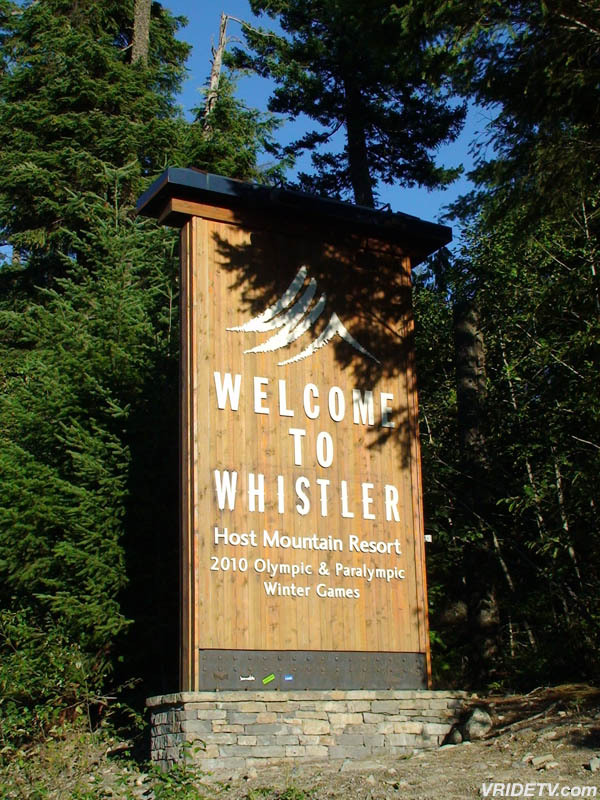 The Brent Lee Band will also be performing. 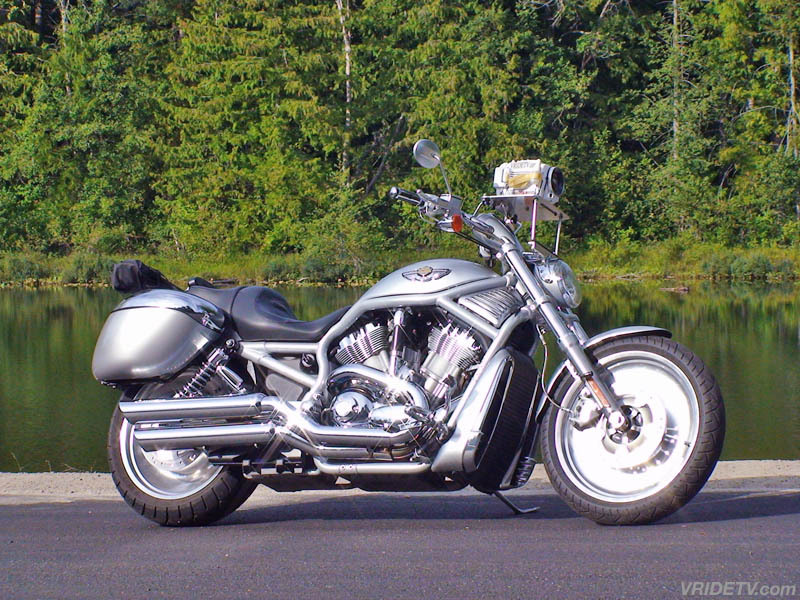 Be sure to visit Hawgzotic Custom Cycle's new website. 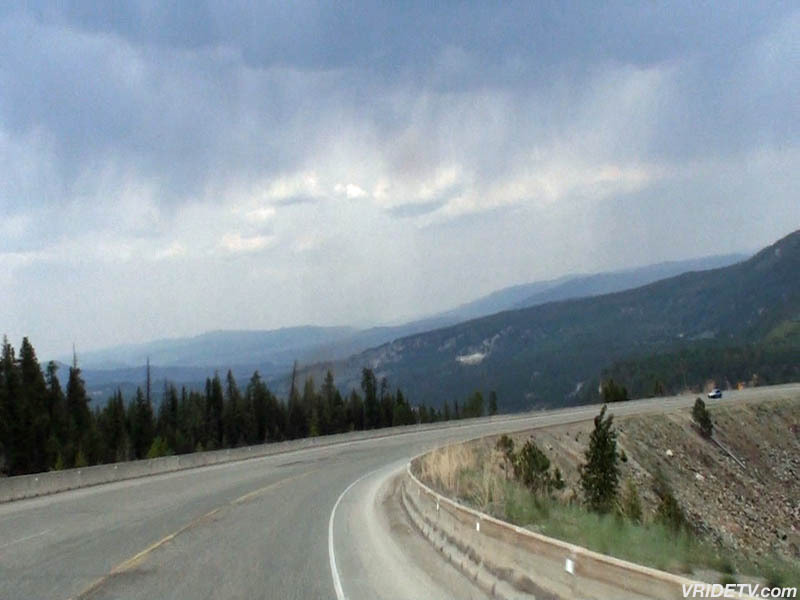 With the introduction of www.cbbtrader.com individuals are now able to look up a total of 6 values per month absolutely free, regardless whether they are retail or trade-in values. 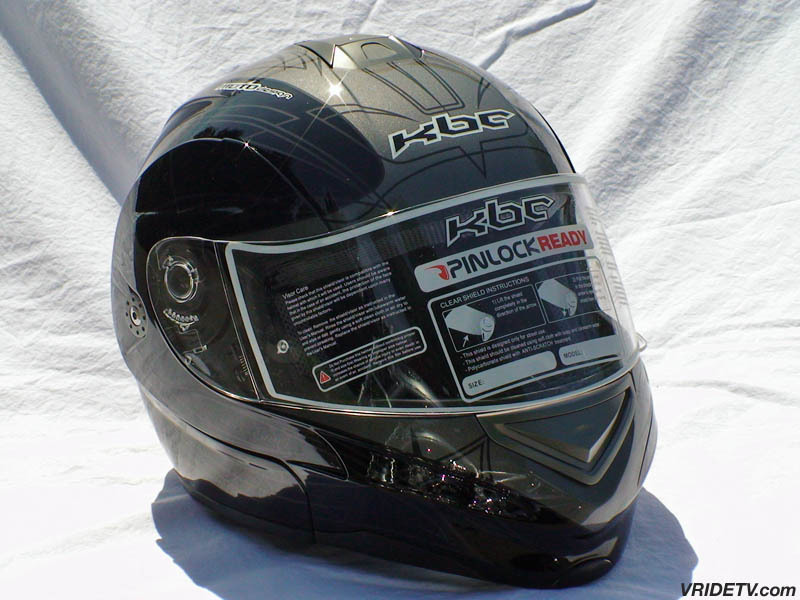 These figures are established by a combination of actual dealer and private sales throughout Canada. 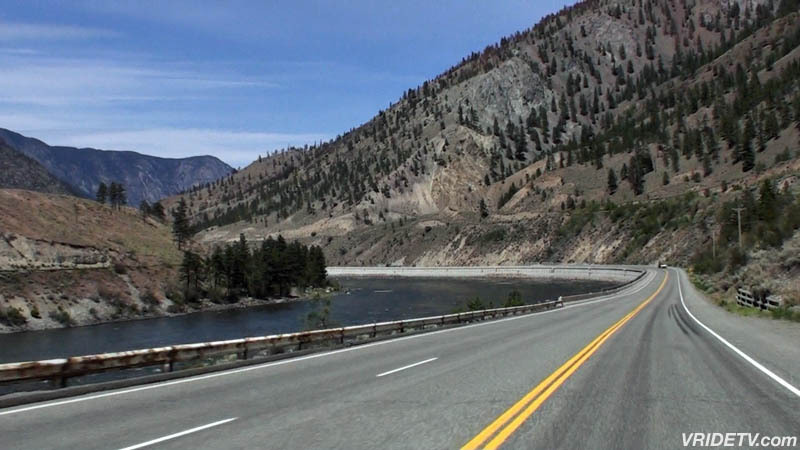 The publishers of the Canadian Blue Book are quick to point out that there is a huge difference from “asking” prices compared to actual “sold” prices. 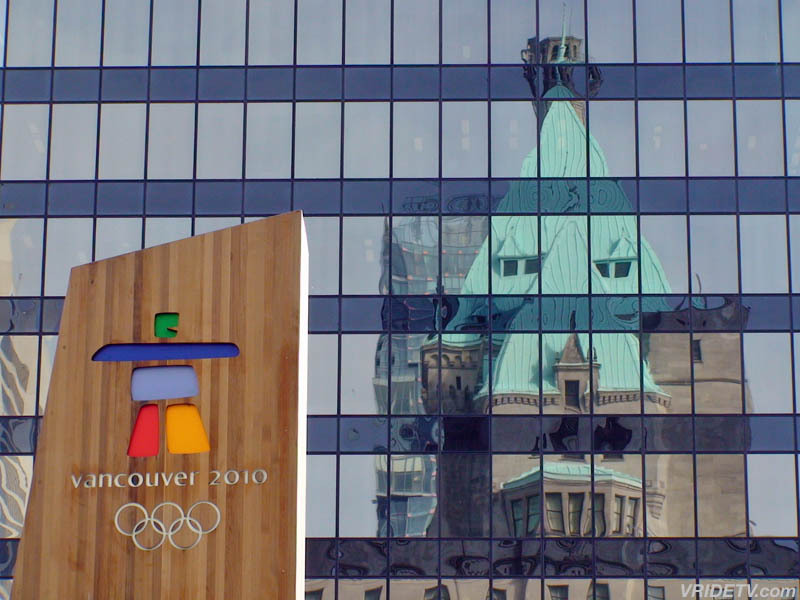 The Blue Books are used by more than 95 percent of all dealers in Canada and most government bodies. 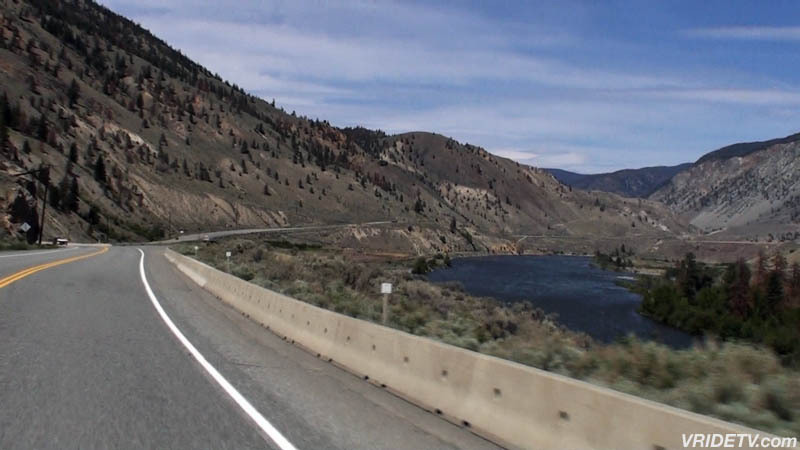 The CBB Trader offers a dealer directory for anyone traveling across Canada that tells you who sells what products, their website, address and phone numbers etc. 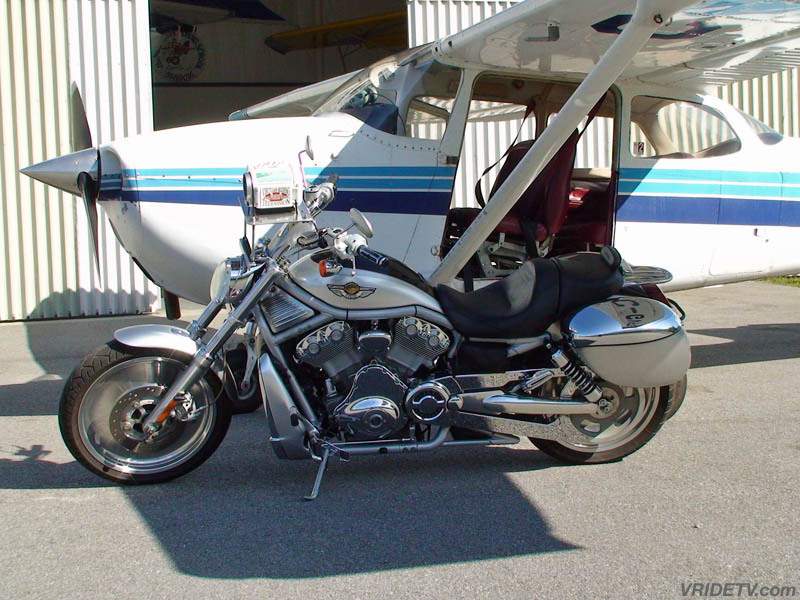 Individuals and dealers alike have quickly taken advantage of the free classified ad section that allows up to 5 pictures and is a free service, unlike most competitors. 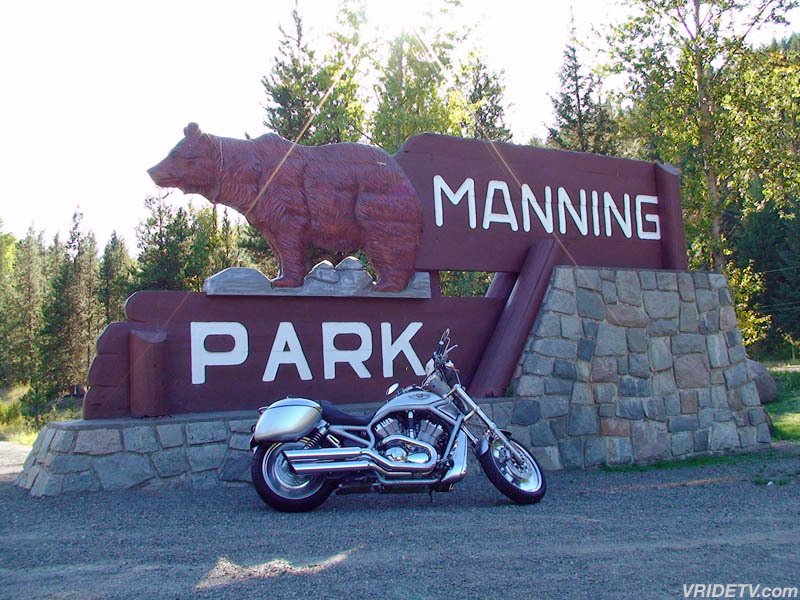 If your looking for that exotic bike you can search all of Canada in one search. 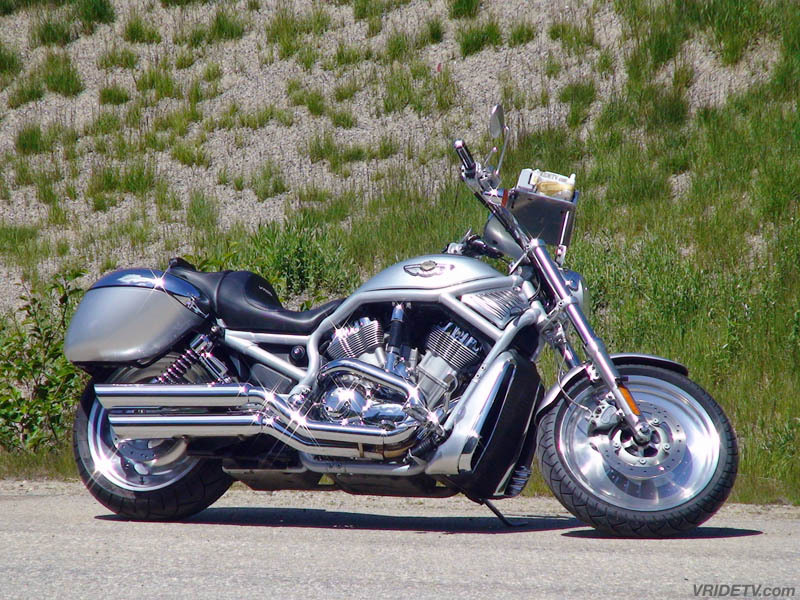 The website also offers a classifieds listing service (free of charge) to dealers and consumers alike. 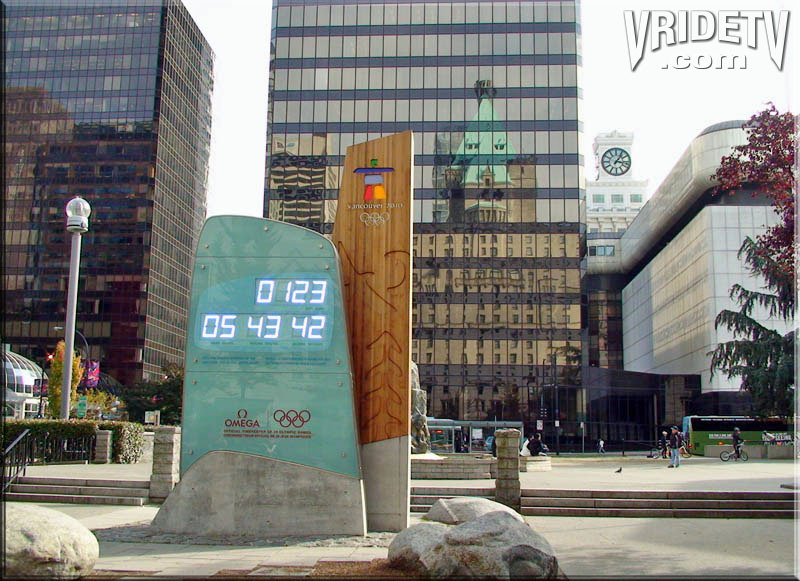 It take no time at all to get started and you can have your first ad up within 5 minutes and get exposure to your ad Canada wide. 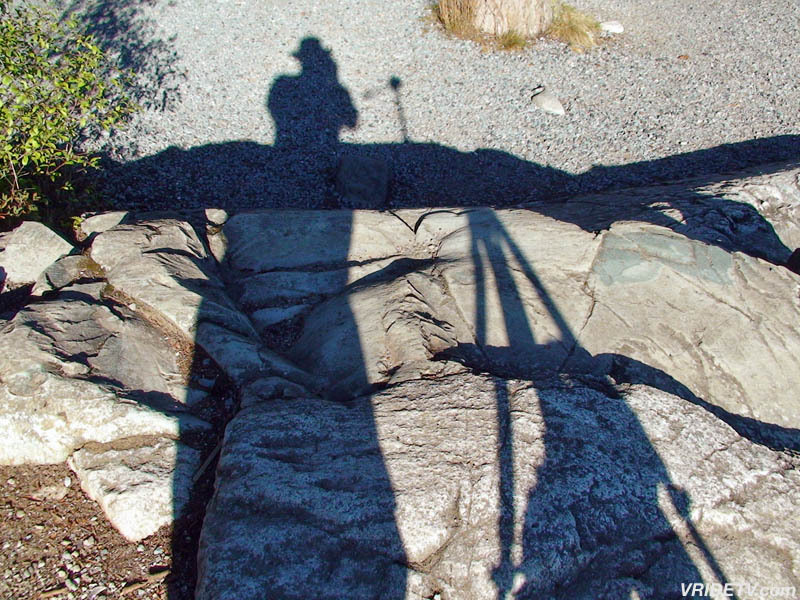 All you need is an email address and a password. 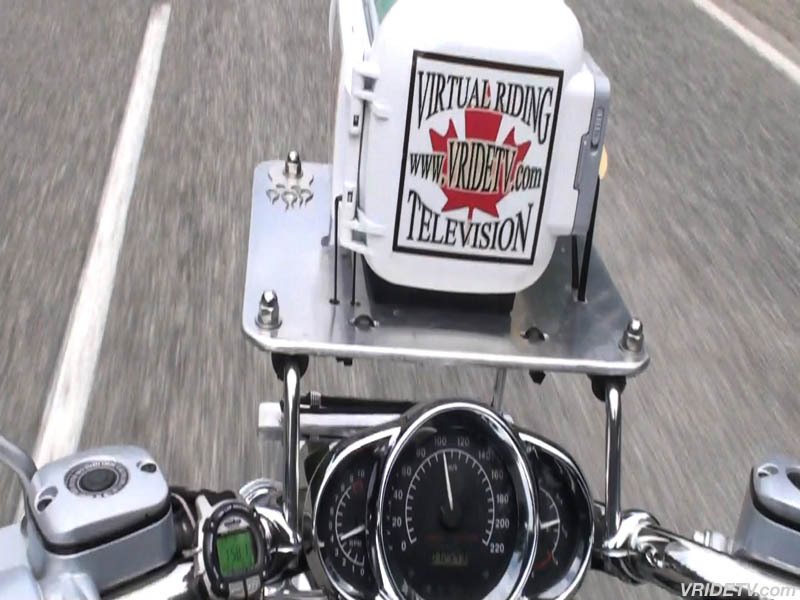 July 29th, 2009: Virtual Riding TV has recently joined Facebook, you can find us at Vridetv Canada or by clicking on the badge to the right. 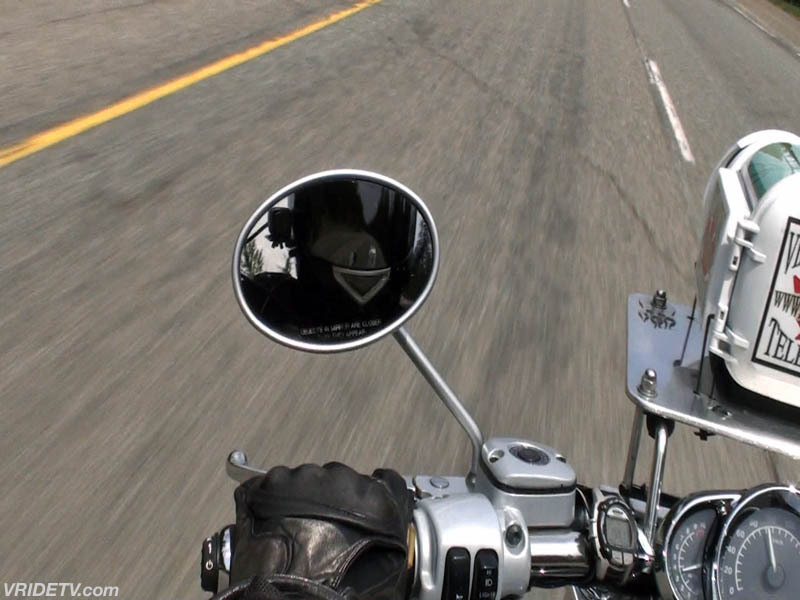 Send us a friend request and share your motorcycle riding experiences. 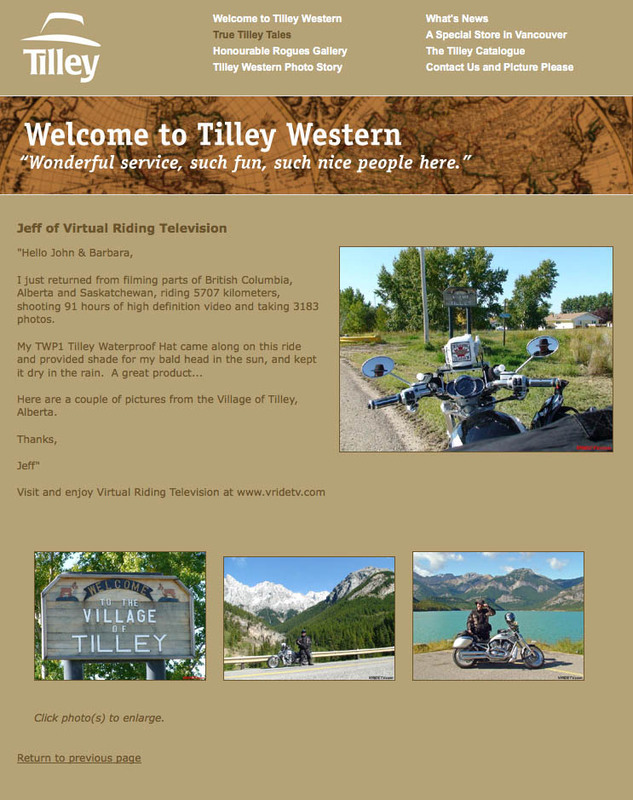 July 30th, 2009: Our Sponsor Tiffen has posted Virtual Riding TV's product testimonial on their website, click on the image to the right, or go directly to Tiffens site and read more testimonials from other people in the industry. 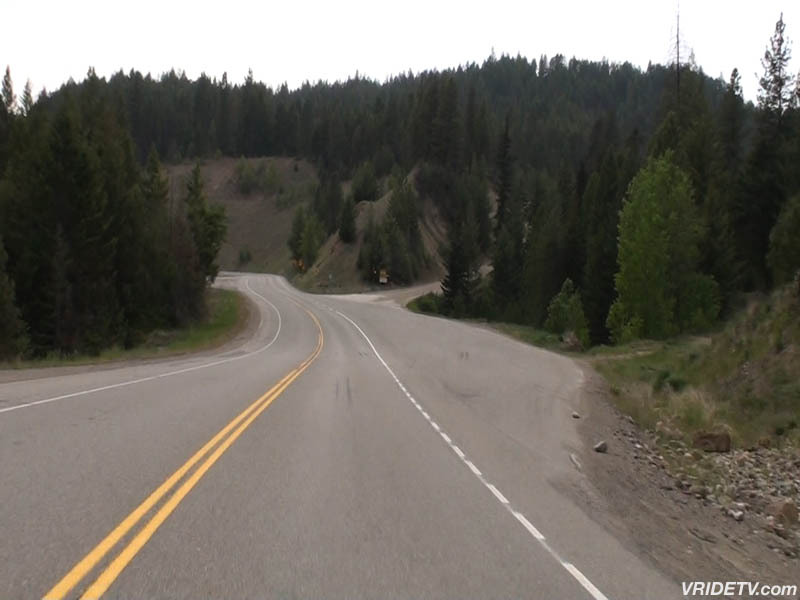 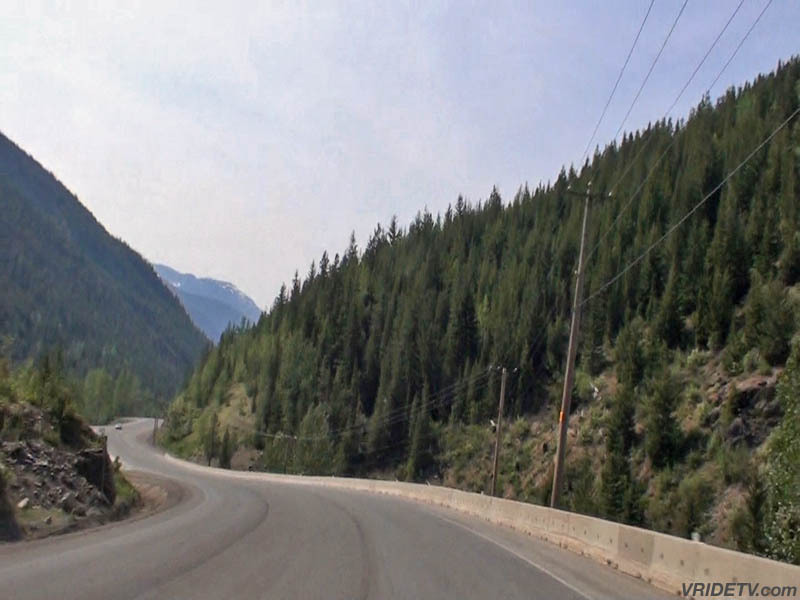 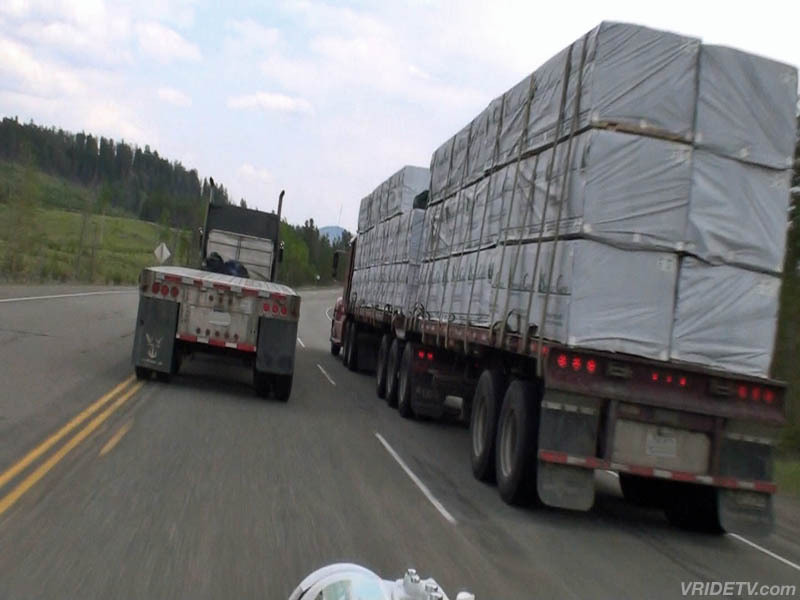 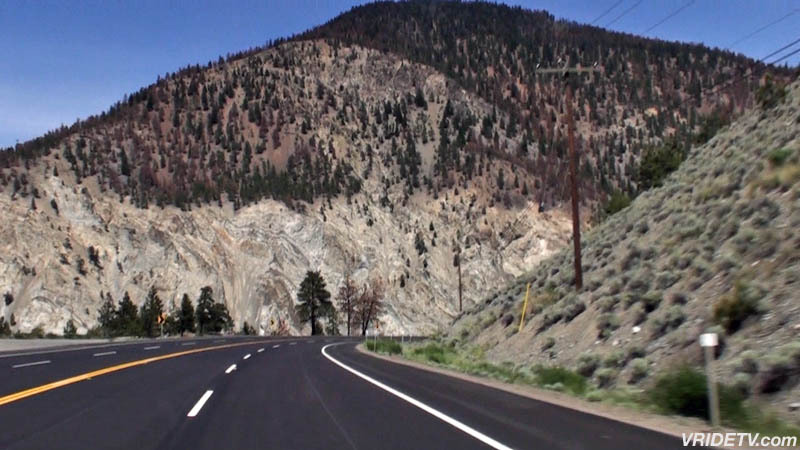 August 12th, 2009: New HD video: Virtual motorcycle riding on the Coquihalla Highway to Yak Peak and the Coquihalla Summit, between Hope and Merritt, British Columbia are featured in this video. 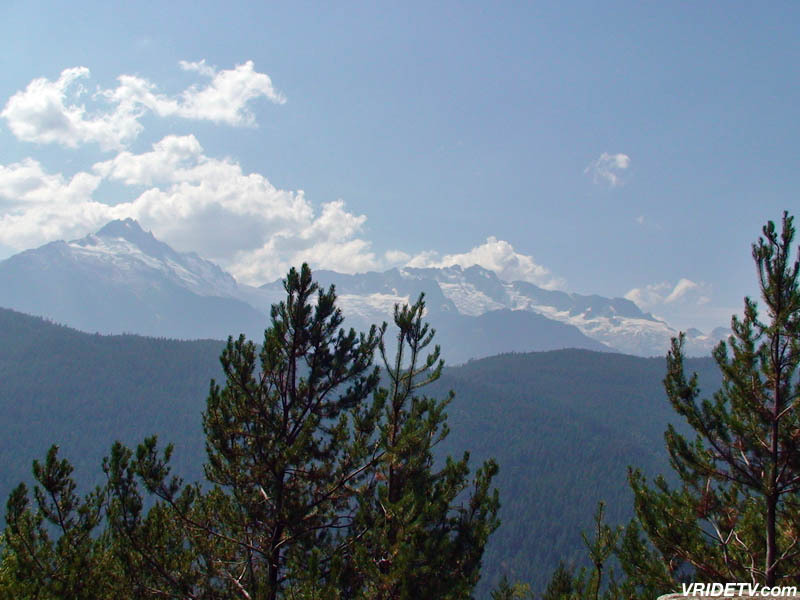 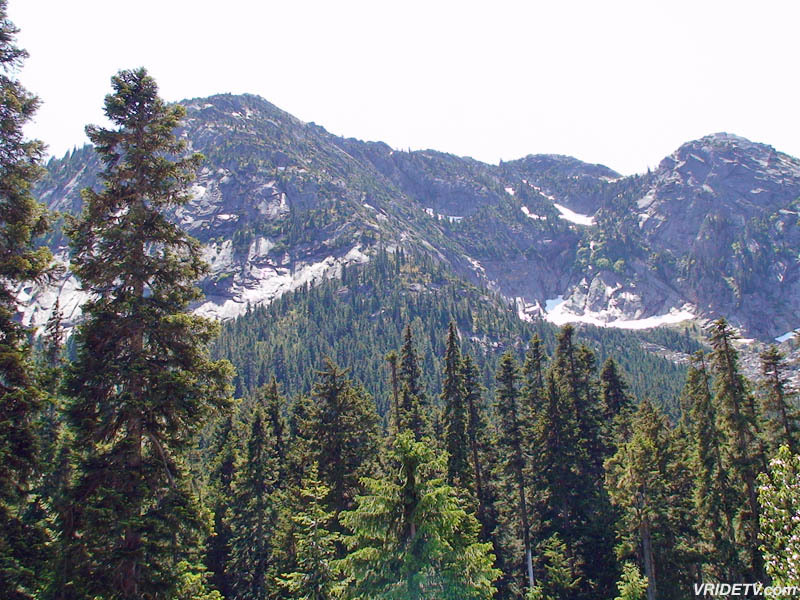 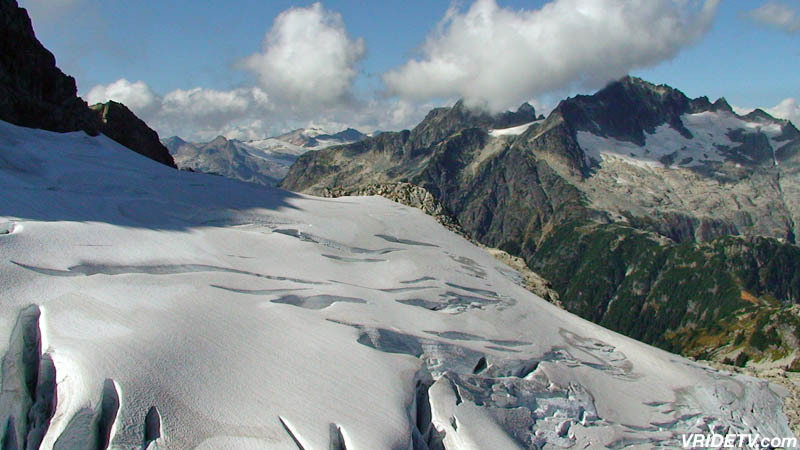 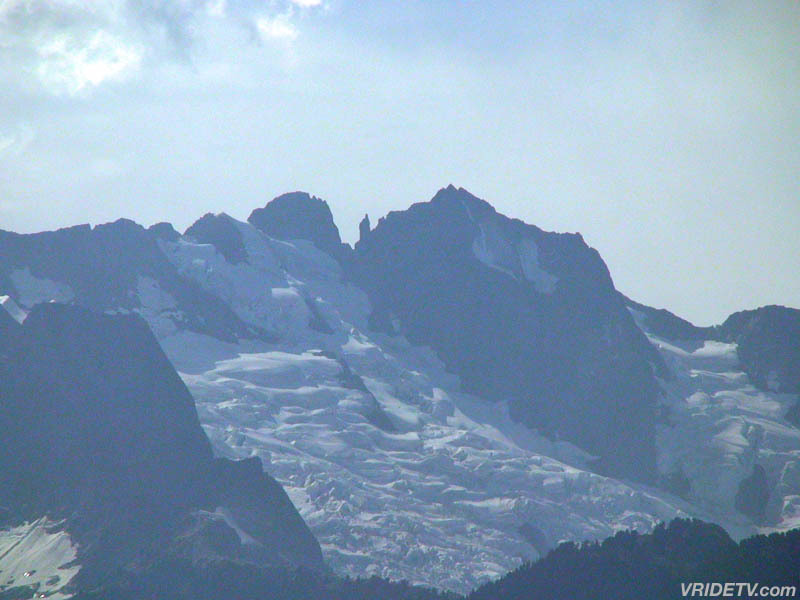 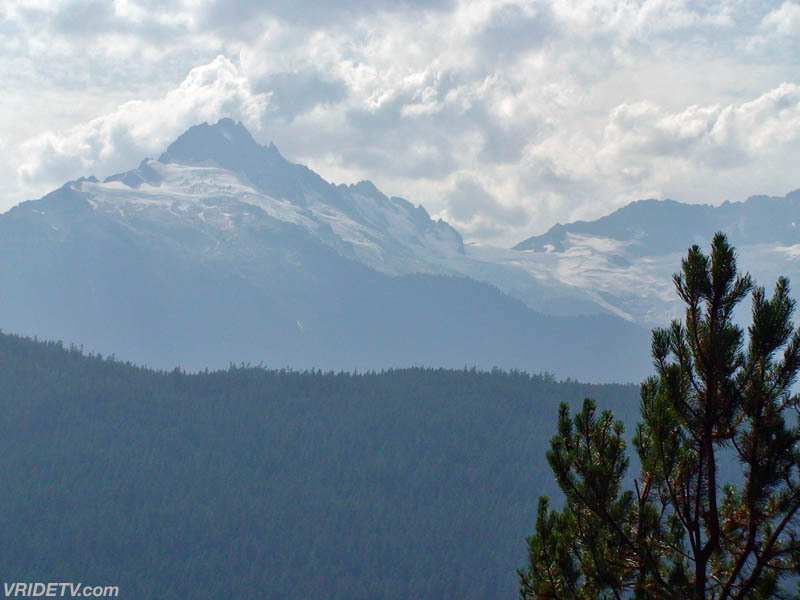 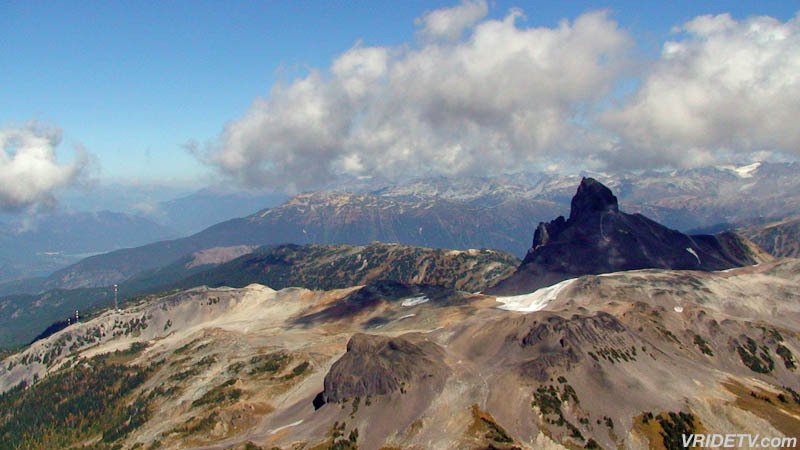 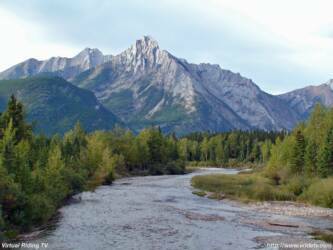 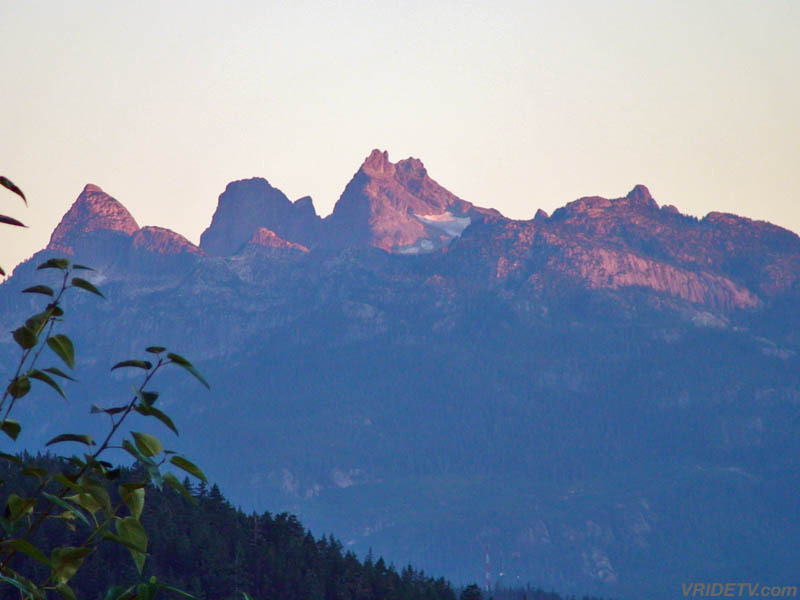 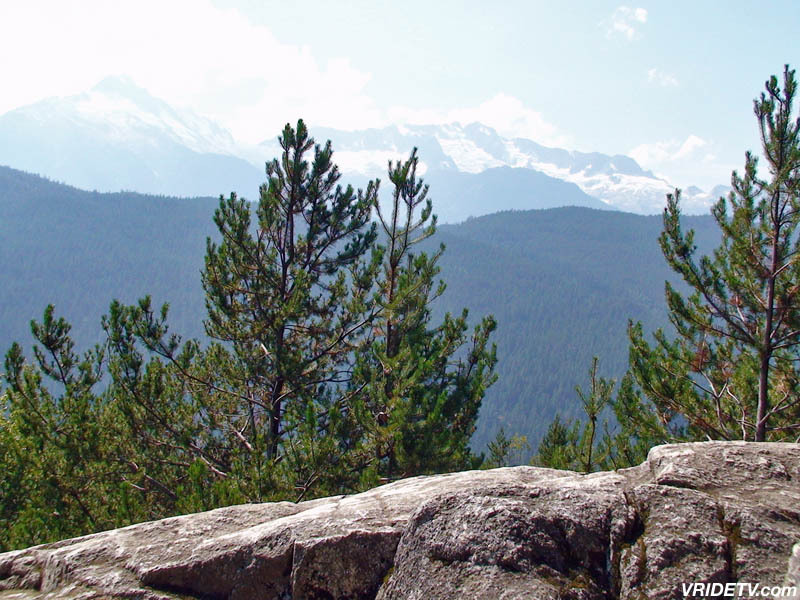 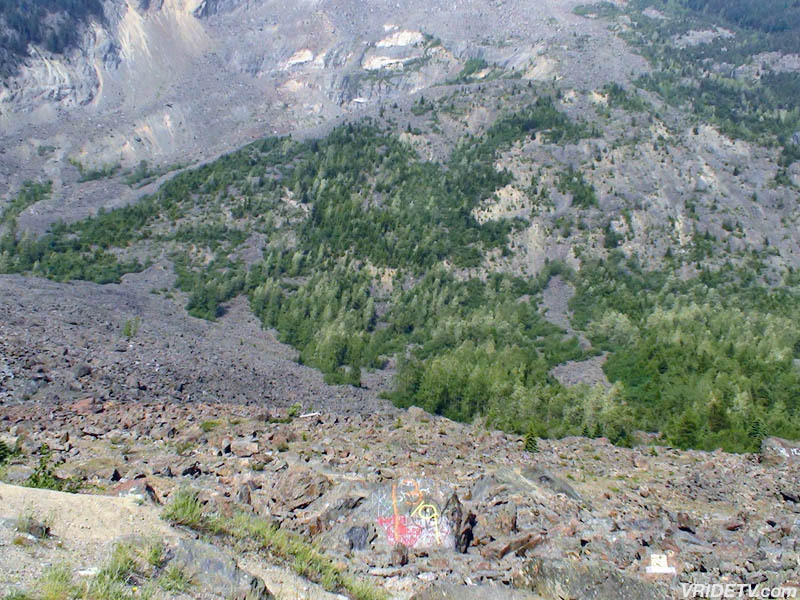 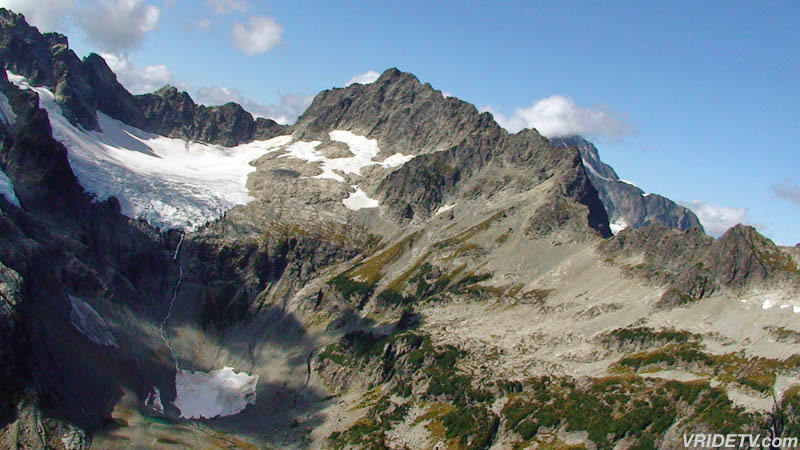 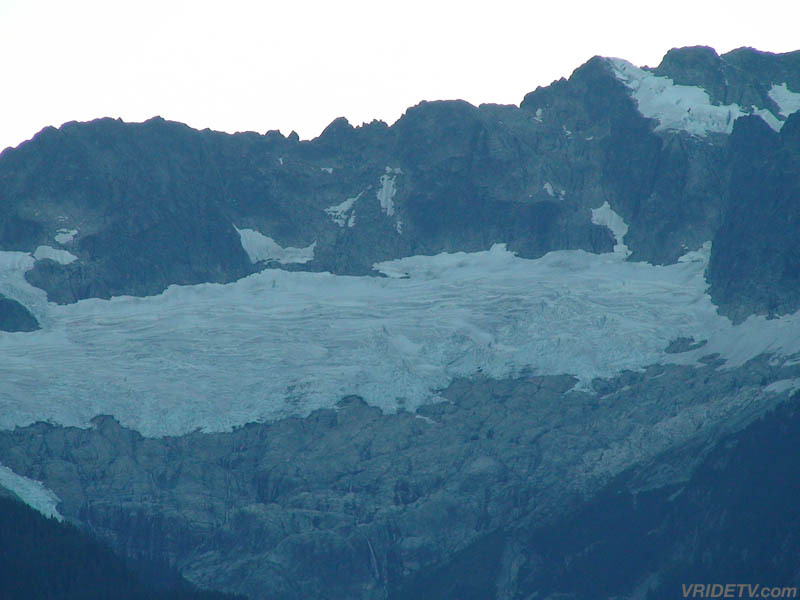 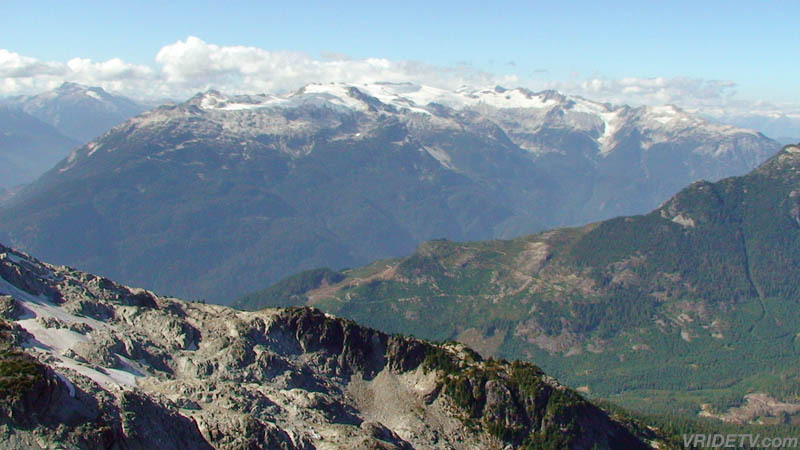 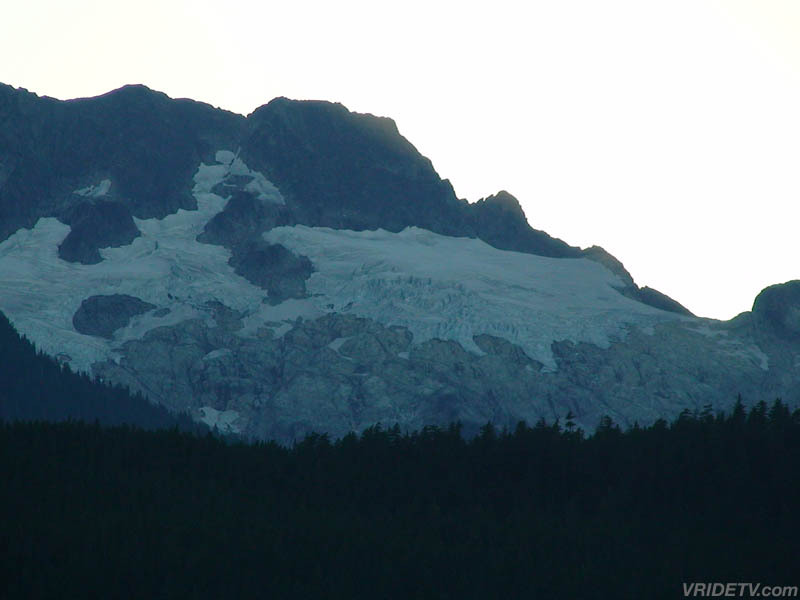 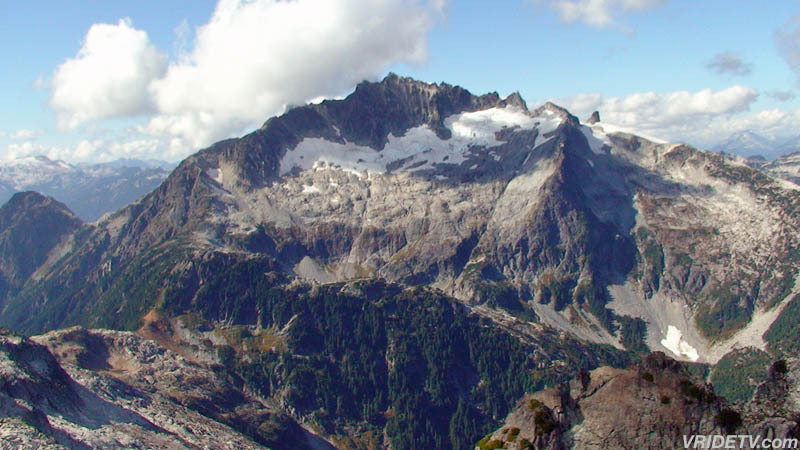 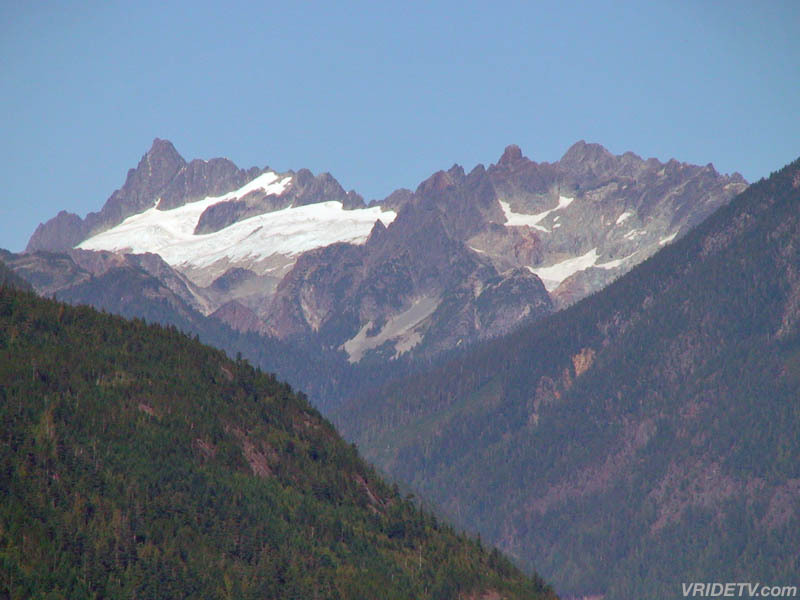 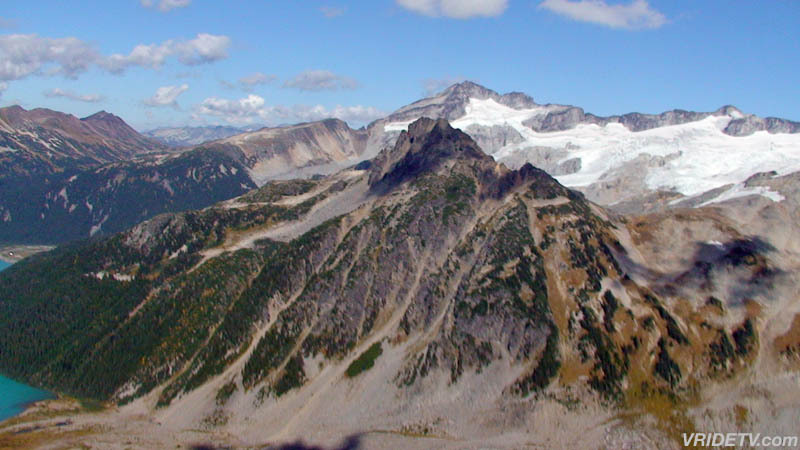 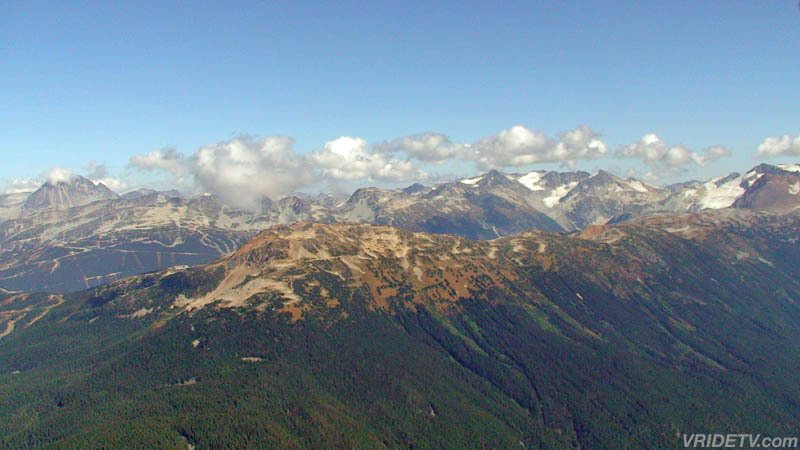 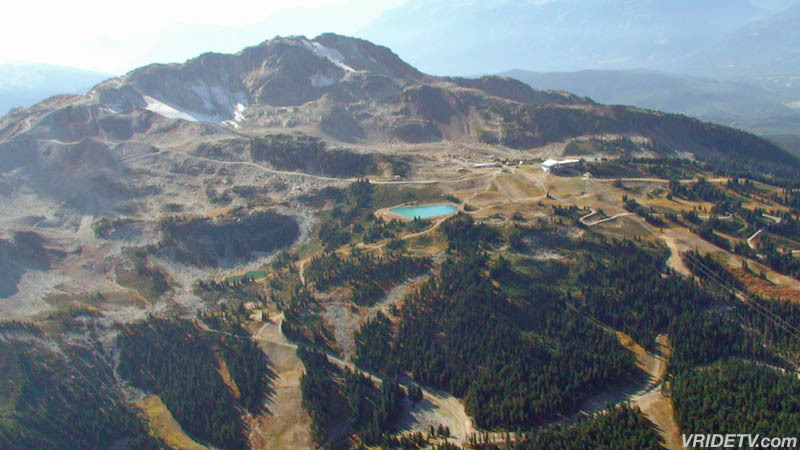 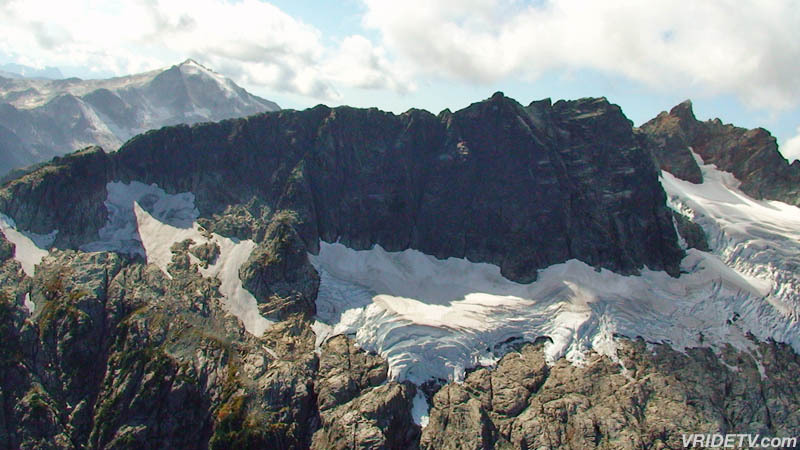 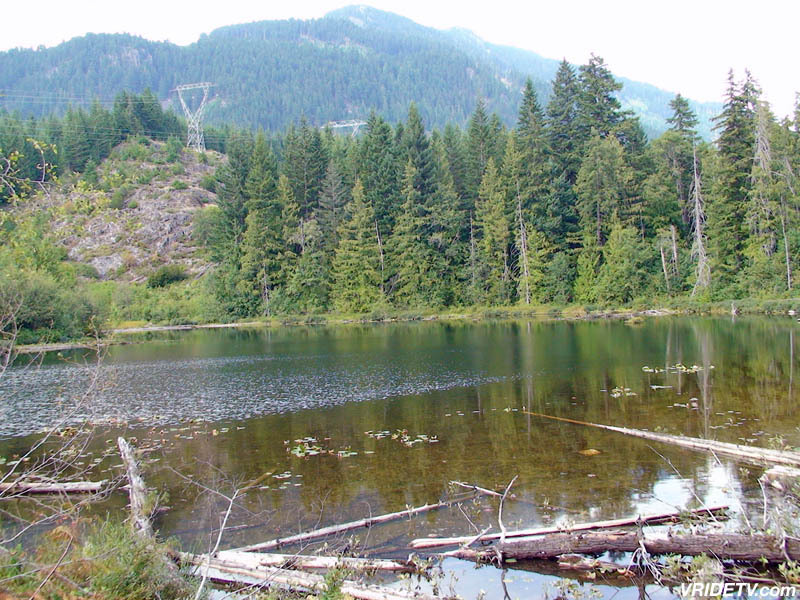 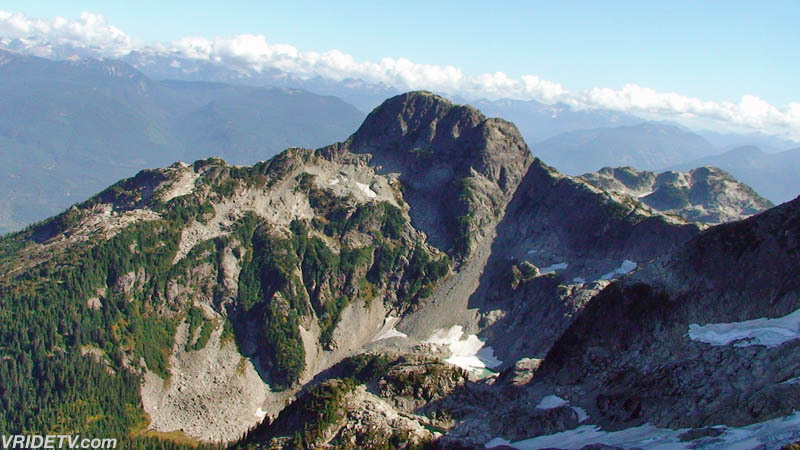 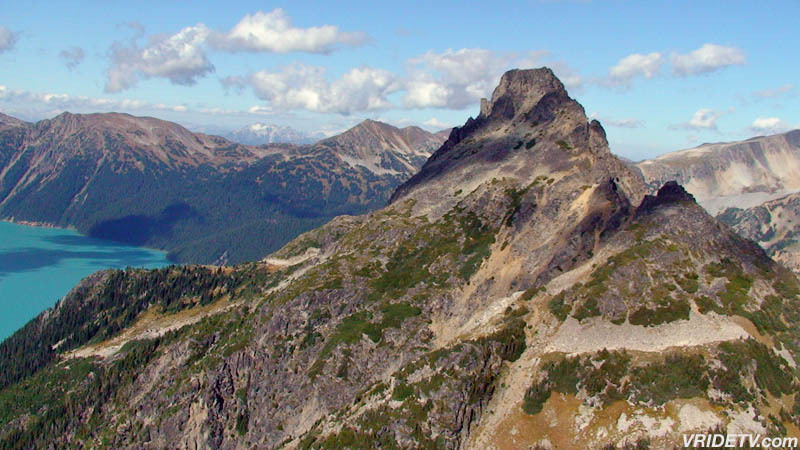 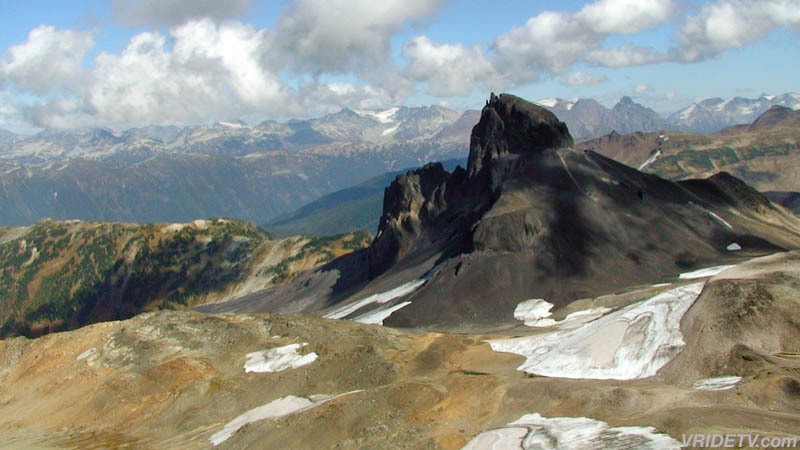 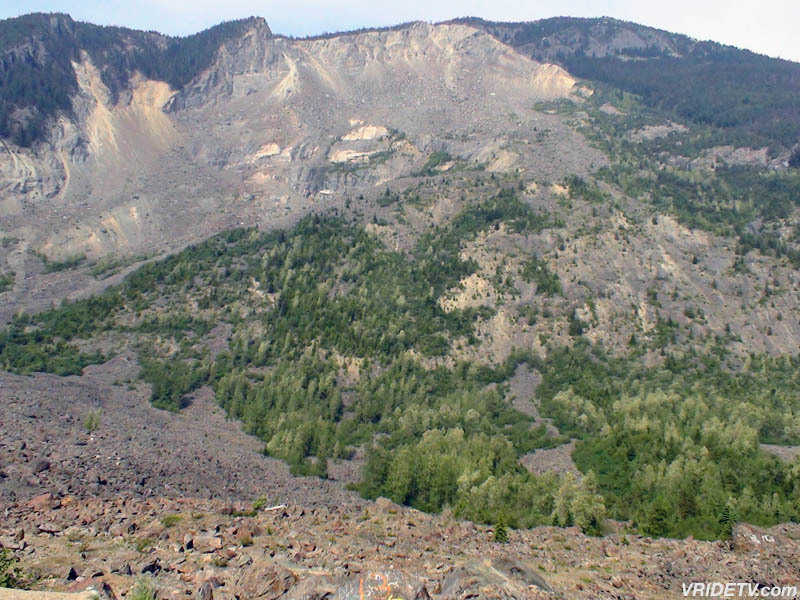 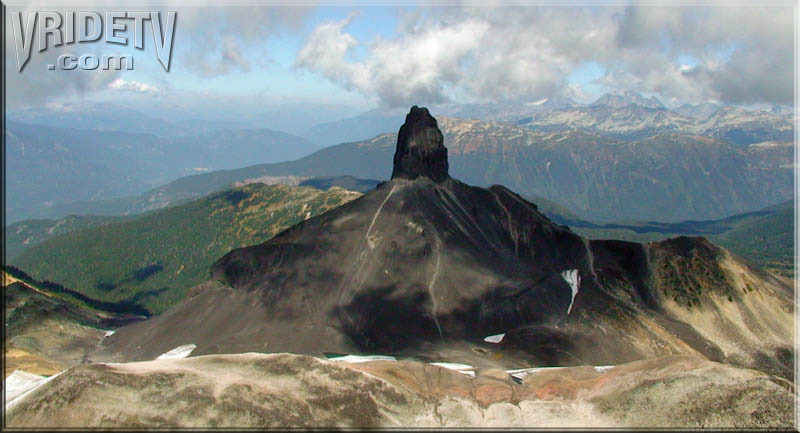 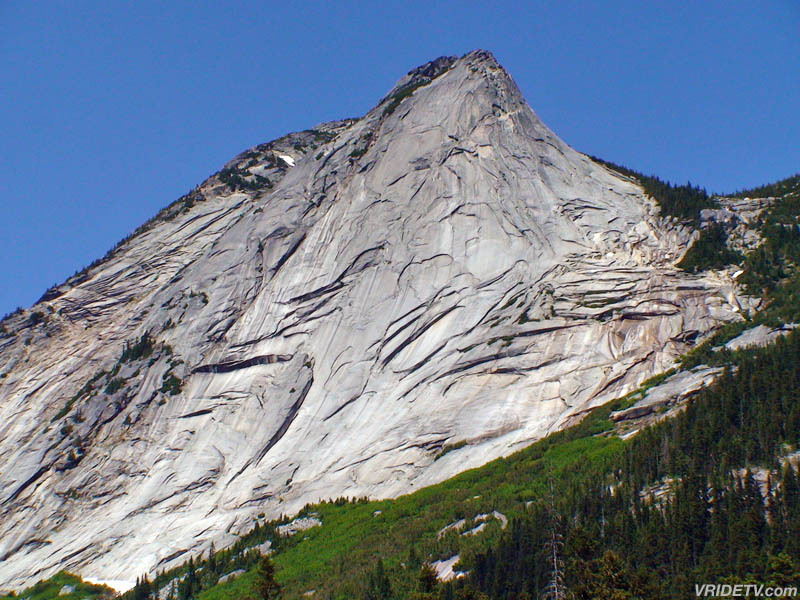 Yak Peak is part of the Canadian Cascades mountain range and has an elevation of 2,039 m (6,690 ft). 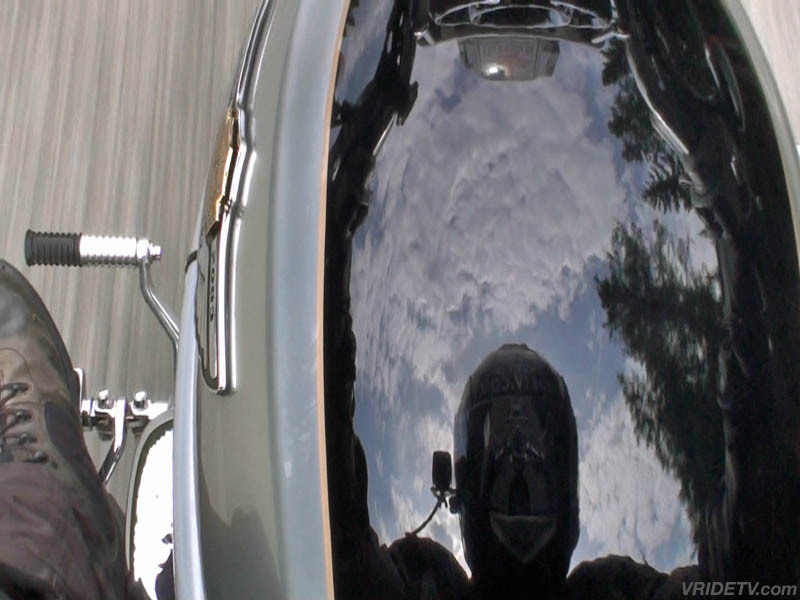 ride reports, and more. 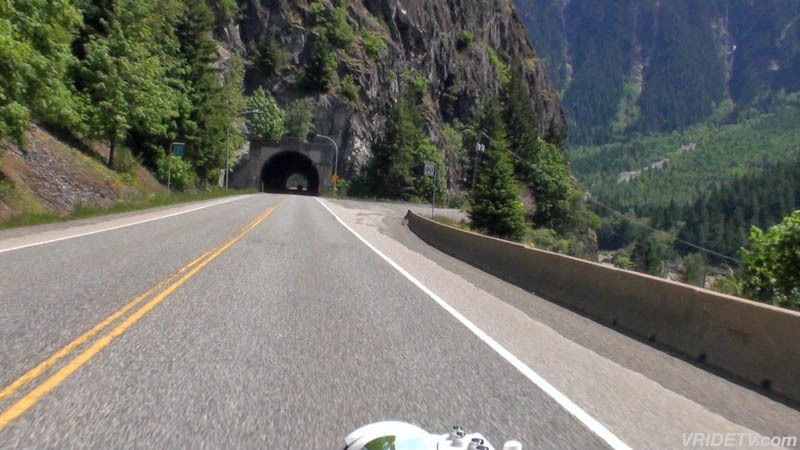 You can also follow Canadian Motorcycle Rider on Twitter. 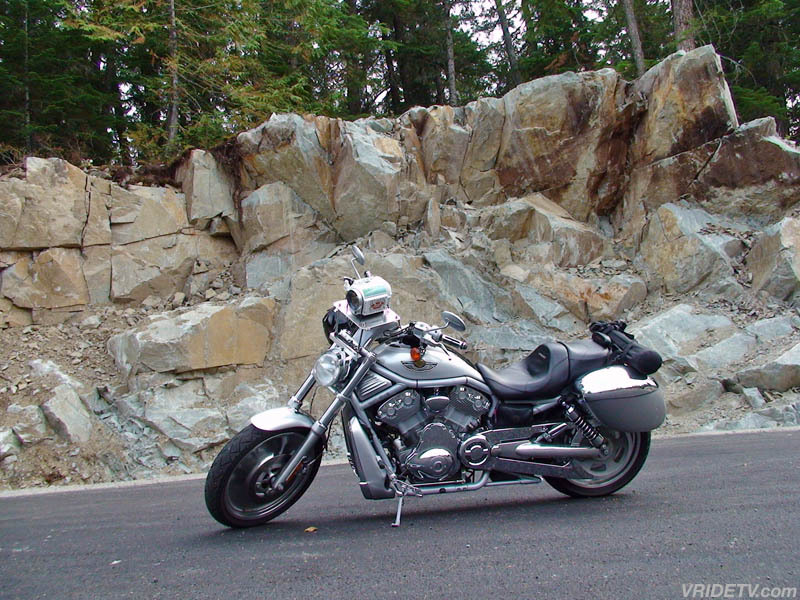 August 22nd, 2009: These photos were taken on Thursday's ride from Vancouver to Whistler on the Sea to Sky Highway, (99 North). 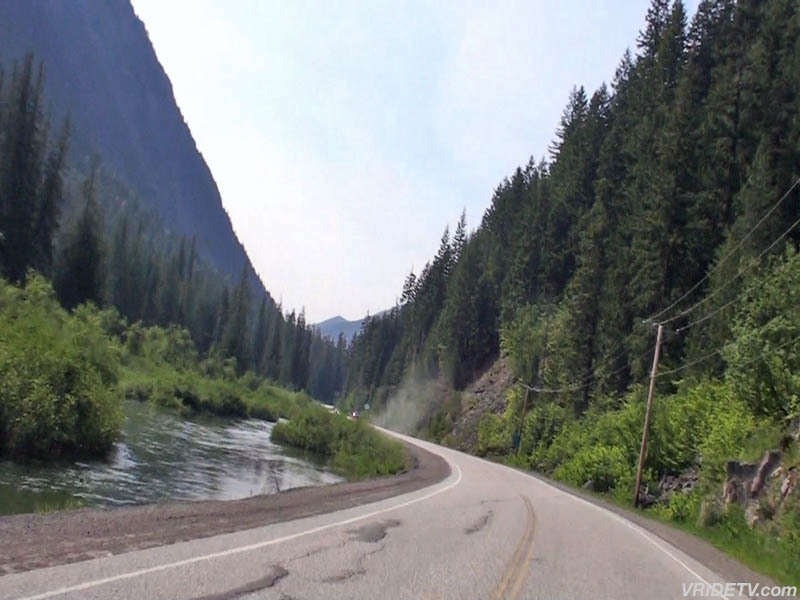 When I left in the morning it was relatively clear but it became increasingly hazy into the ride. 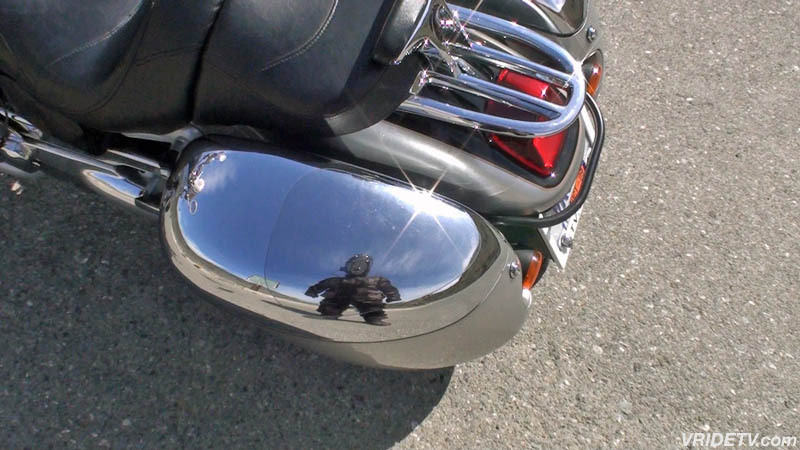 I will be doing this ride again next week in the hopes of clearer skies. 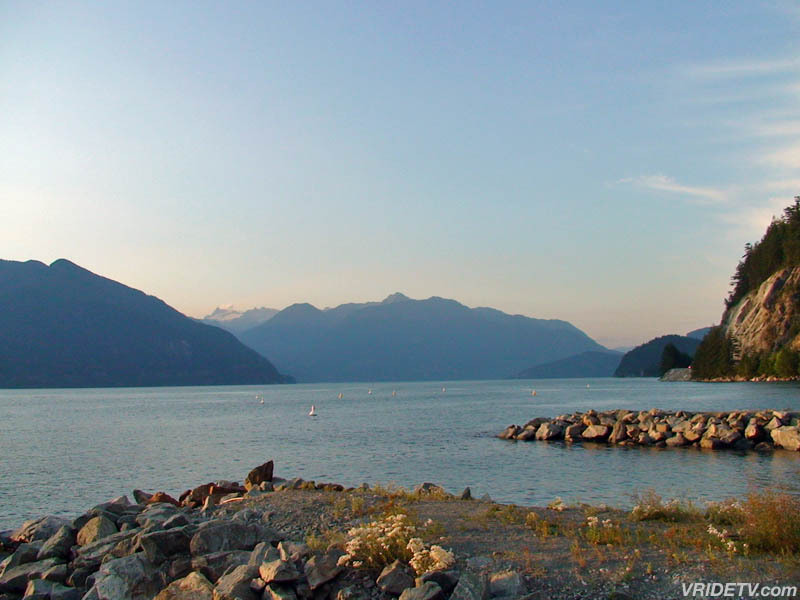 Some of the points-of-interest shown above are, the Squamish Adventure Center, glacier capped mountains, and Porteau Cove. 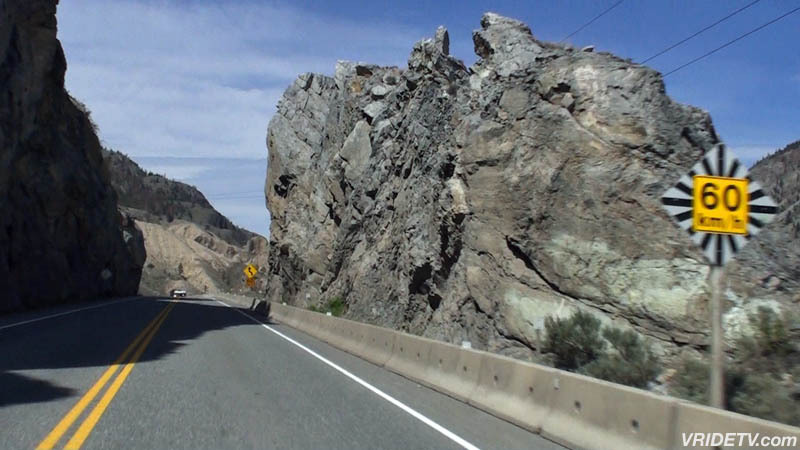 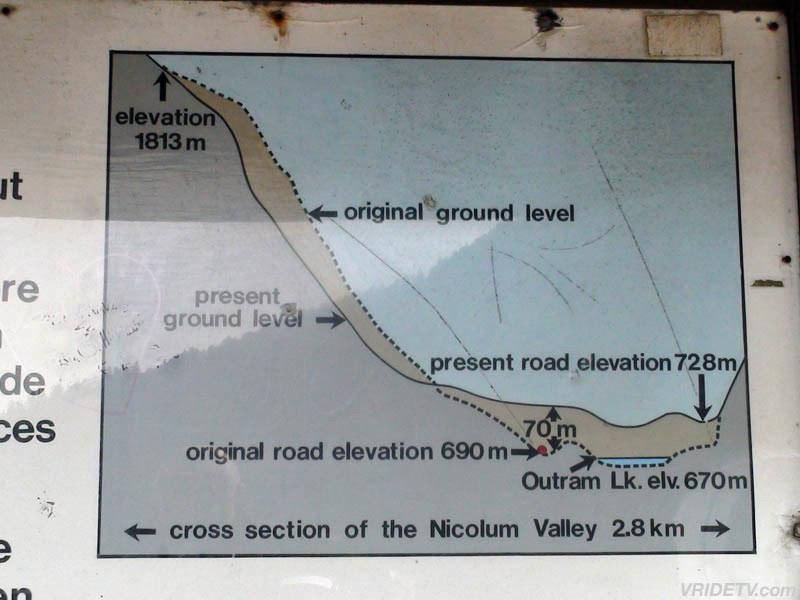 These only represent a fraction of the scenic stops along this spectacular stretch of road. 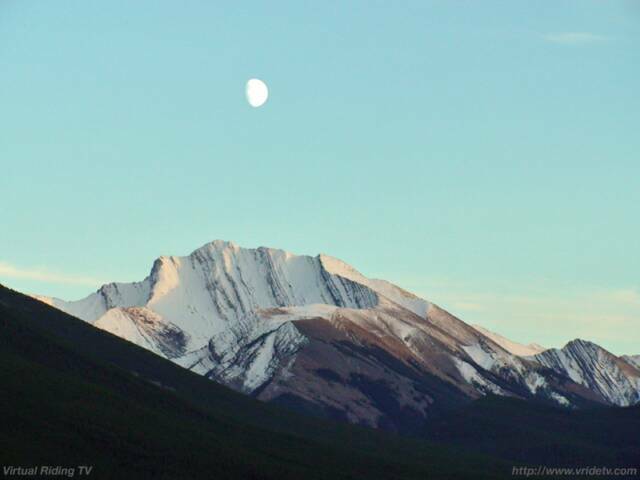 September 6th, 2009: Eight new high resolution wallpapers have been added, there are now a total of eighteen to choose from and are available in two different sizes. 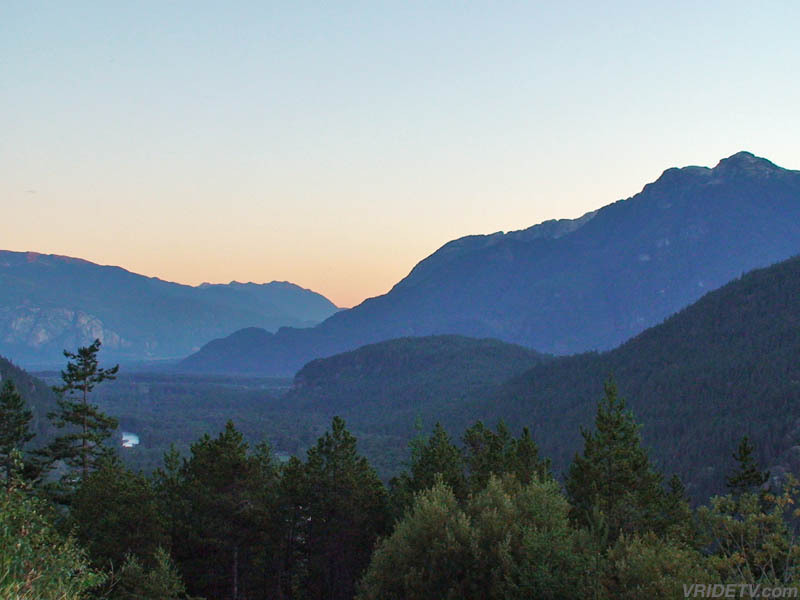 Pick your favourite, and make it your new desktop background. 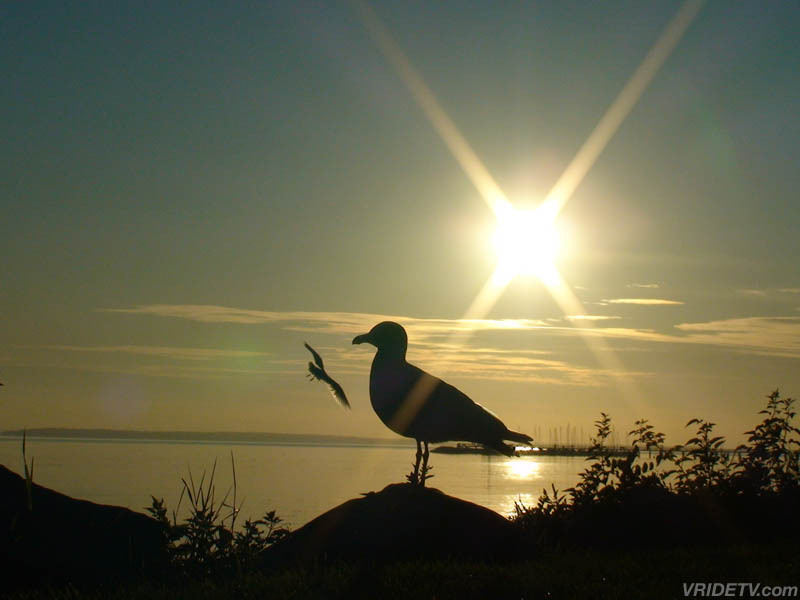 Click the image to see all 18 wallpapers. 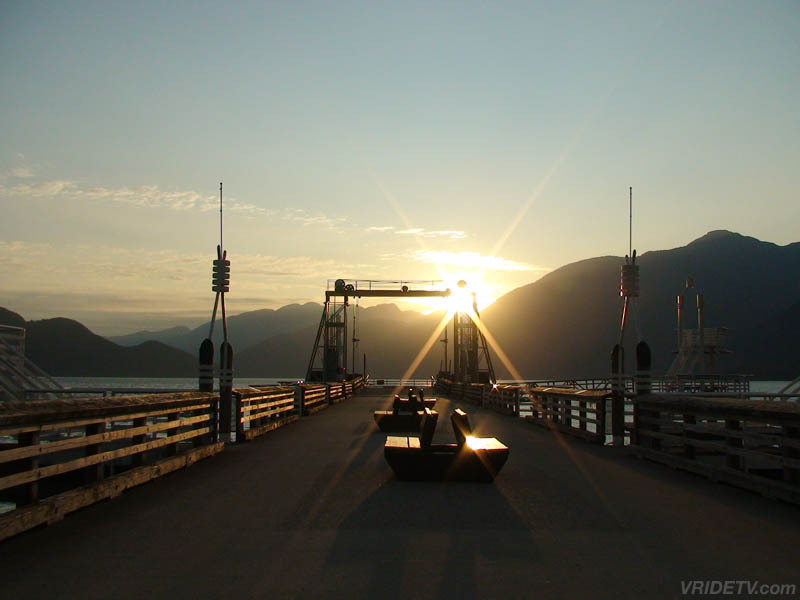 September 15th, 2009: These photos were taken on September 11 & 12th while riding from Vancouver to Whistler on the Sea to Sky Highway, (99 North). 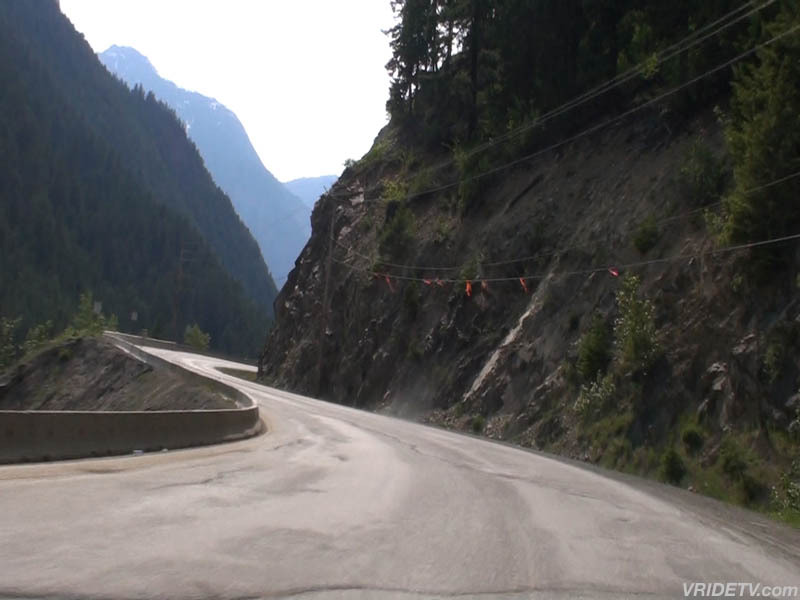 The road work for the 2010 Olympics is almost complete, once finished it will be one of the best scenic roads in British Columbia. 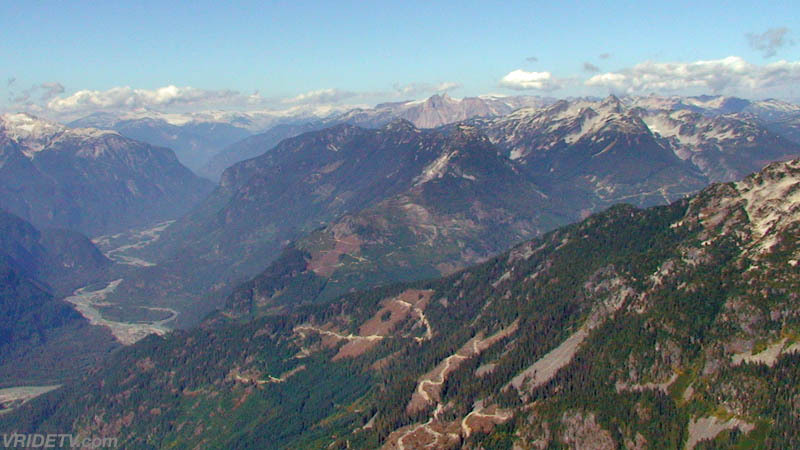 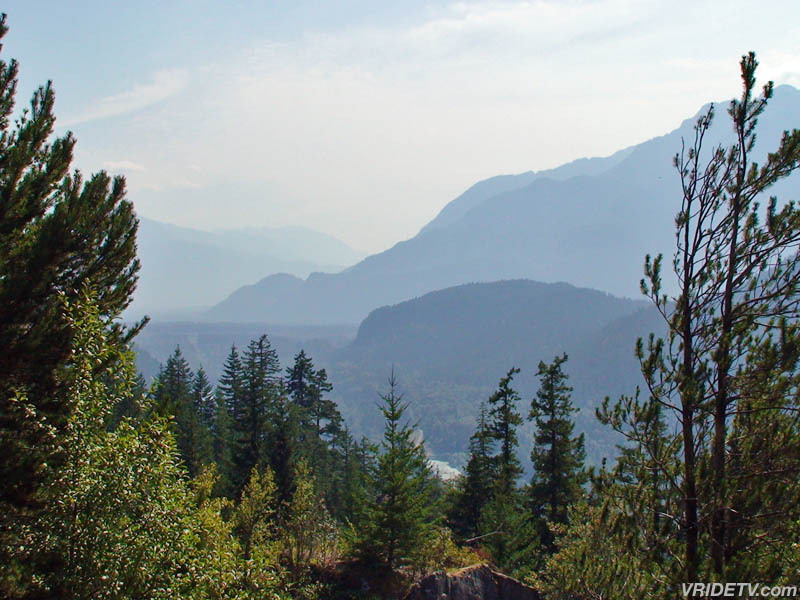 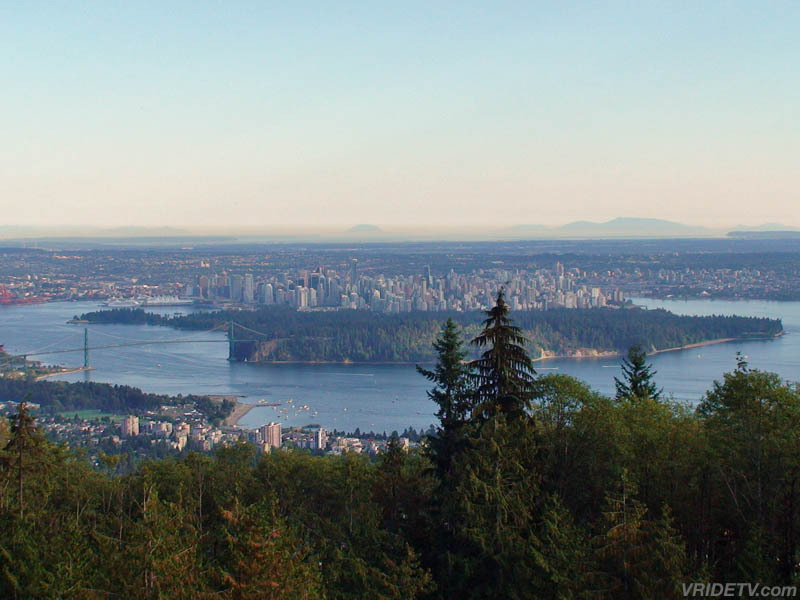 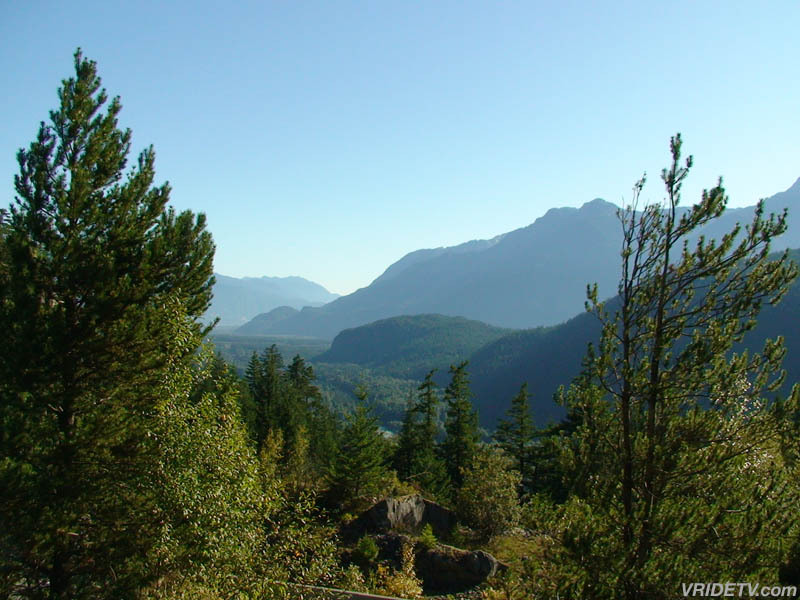 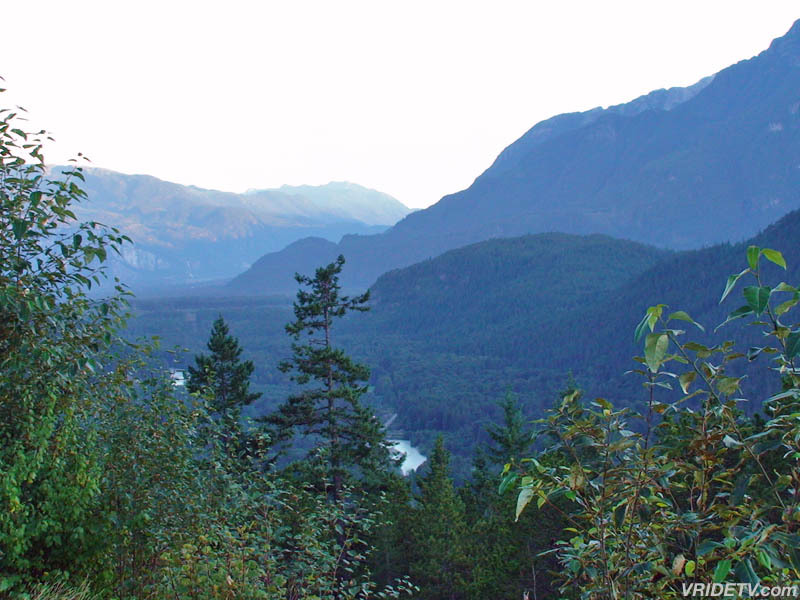 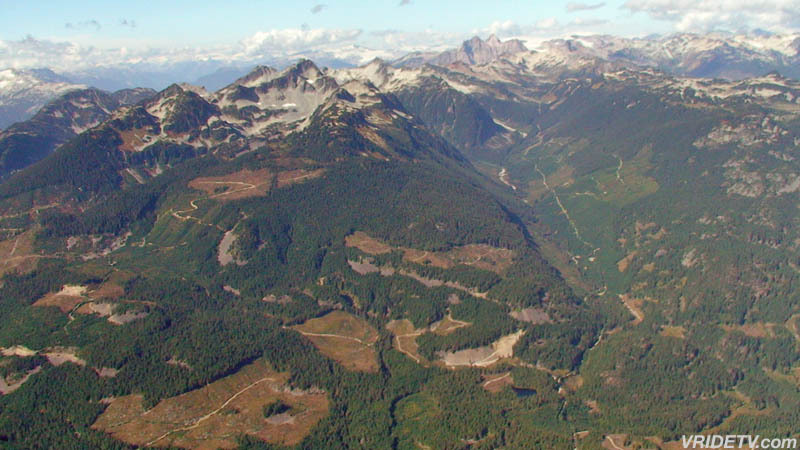 The points-of-interests shown above are, Porteau Cove Provincial Marine Park, Britannia Mines, Stawamus Chief Provincial Park, the Tantalus lookout, and Vancouver from Cypress Provincial Park. 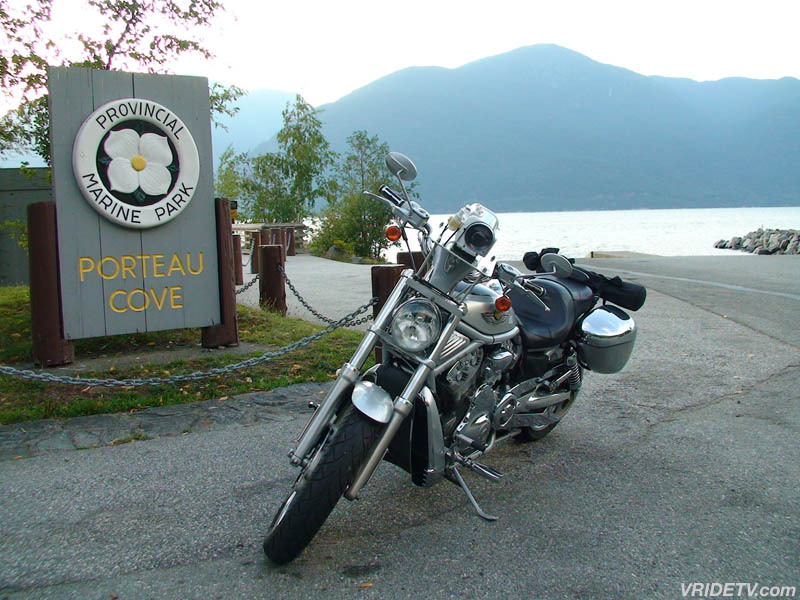 September 13th, 2009: Our Sponsor, Hawgzotic Custom Cycle, the O.C.C. 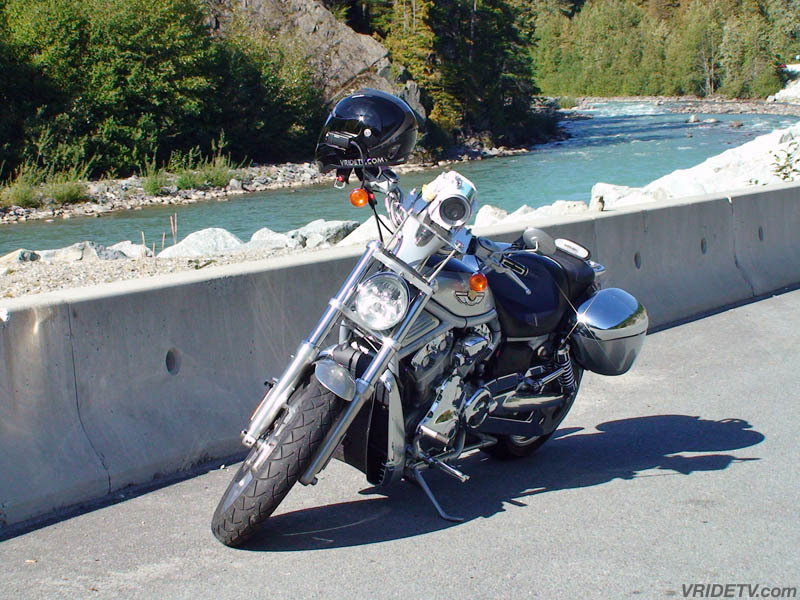 Motorcycle Dealer of British Columbia is having their first Annual, Fall Haul Show and Shine on September 20th at 3:30pm, with special guests, the Jesse Burch Band and the Brent Lee Band. 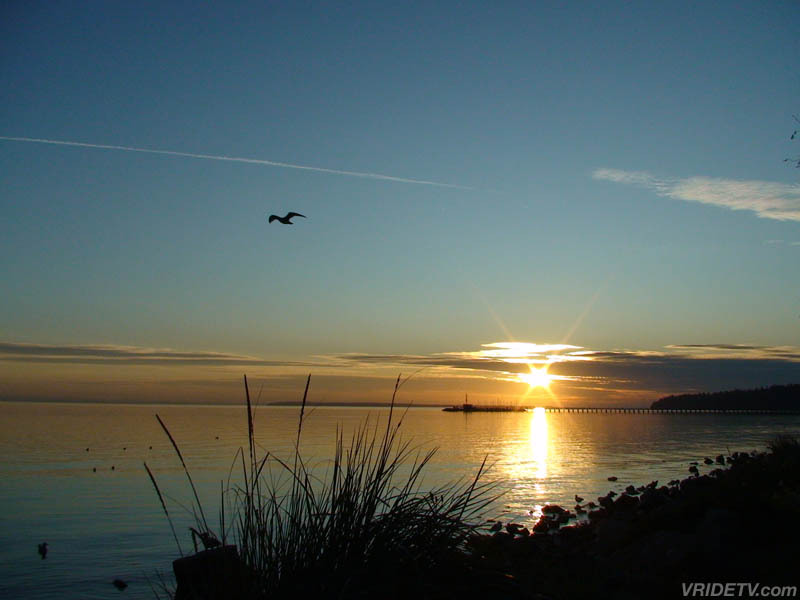 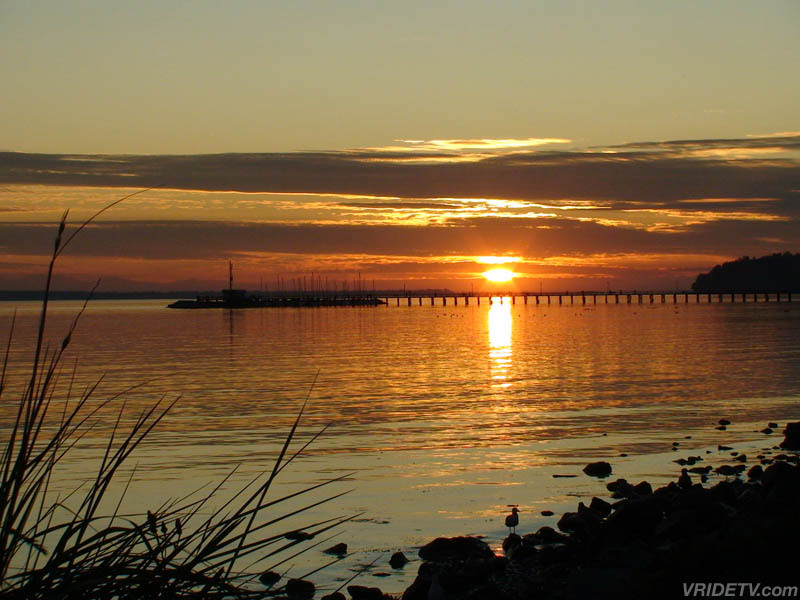 September 16th, 2009: This is the view from one of the many picnic tables on White Rock Beach's promenade, a great spot for some fish and chips and watch the sunset over the pier. 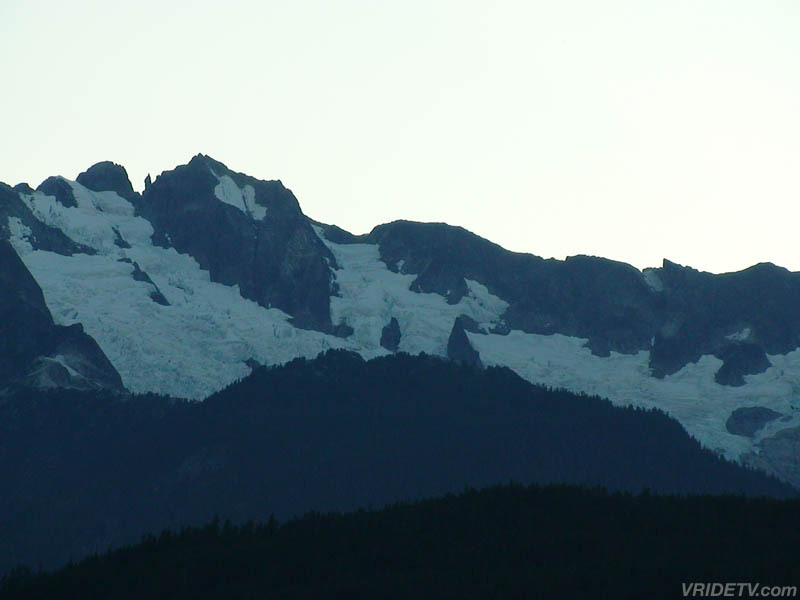 These photos were taken on last night's ride to White Rock, British Columbia, Canada. 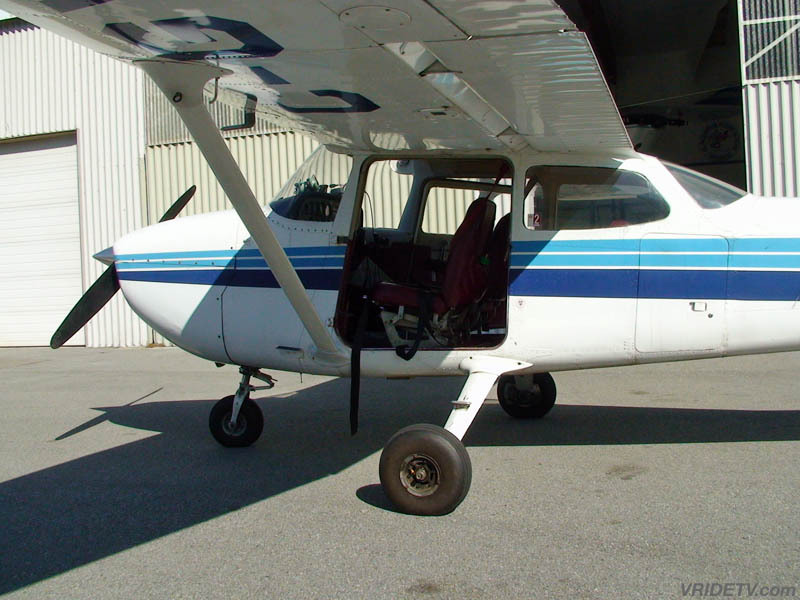 September 27th, 2009: These photos were taken on September 24th, 2009 while flying with Glacier Air Tours. 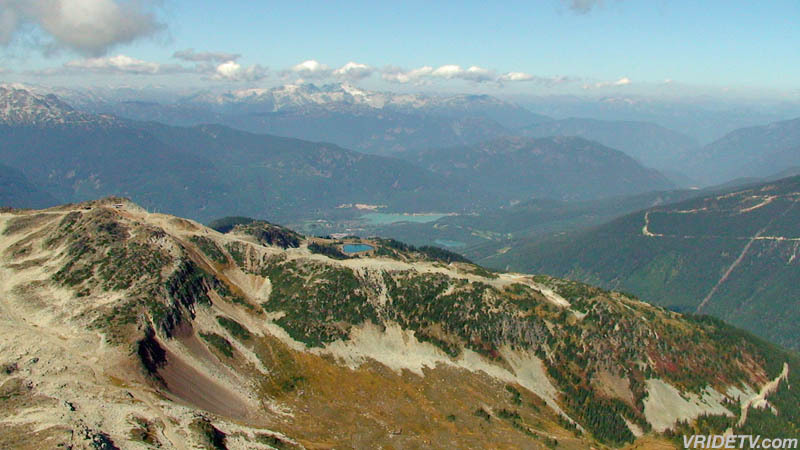 Some of the points-of-interests shown above are, Whistler Village, Whistler Mountain, Blackcomb Mountain, Black Tusk, and Garibaldi Lake. 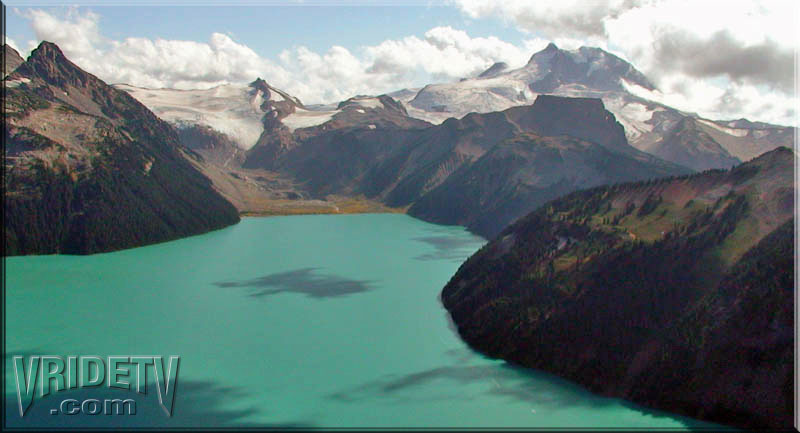 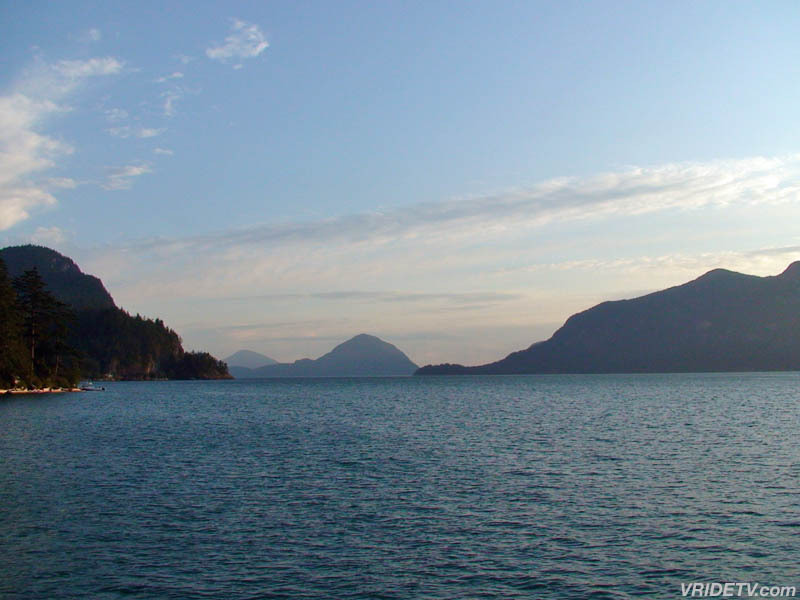 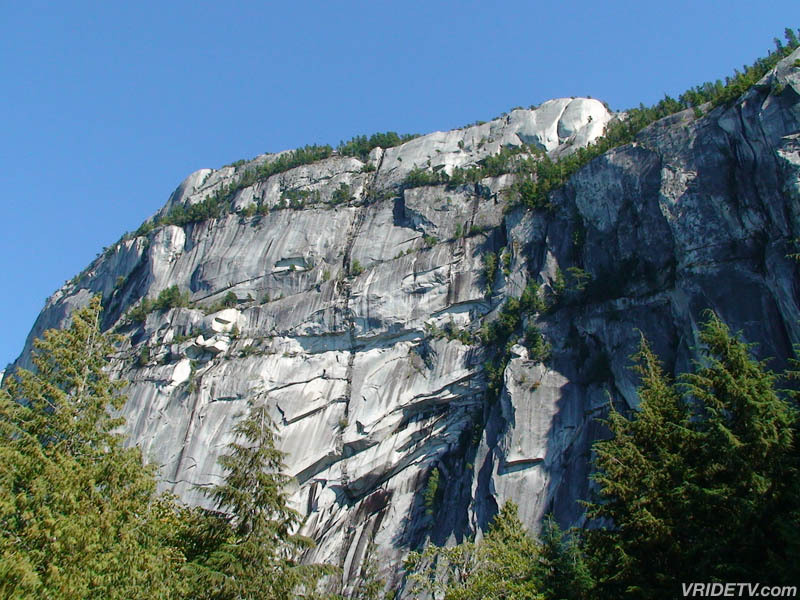 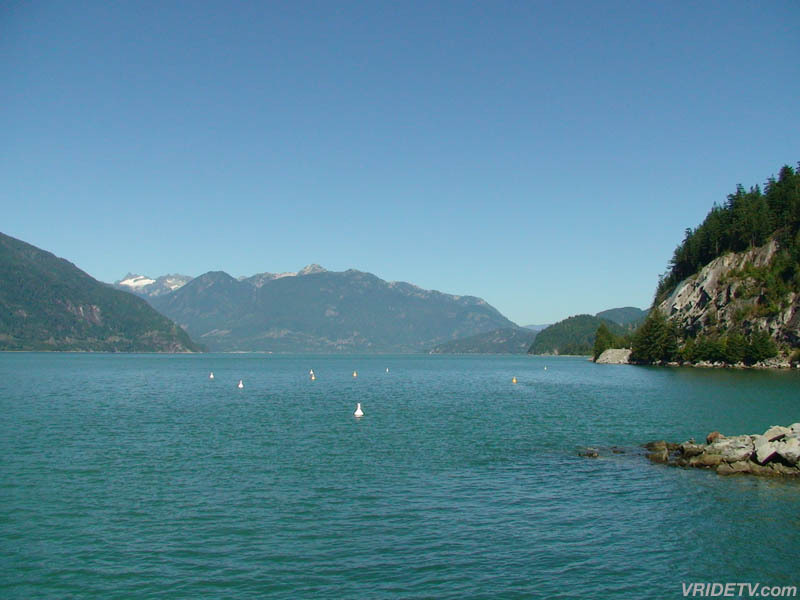 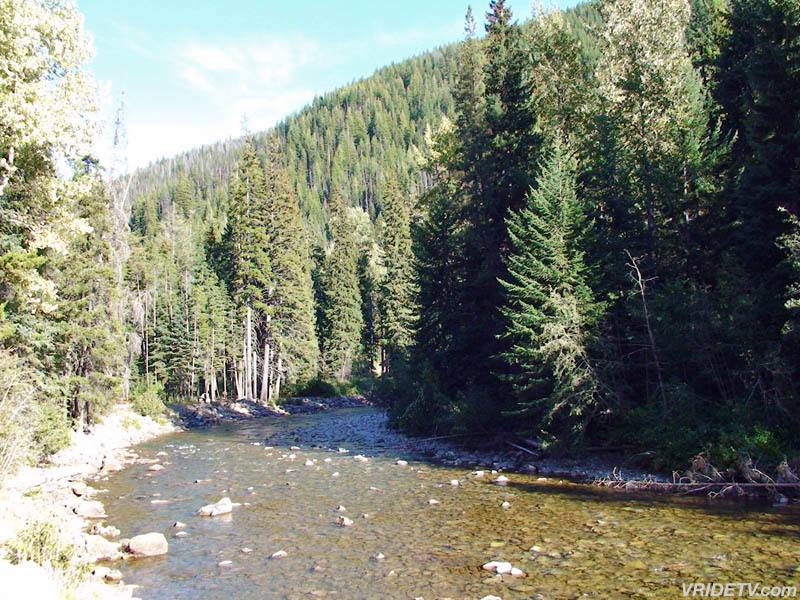 See all 56 pictures on the British Columbia image page. 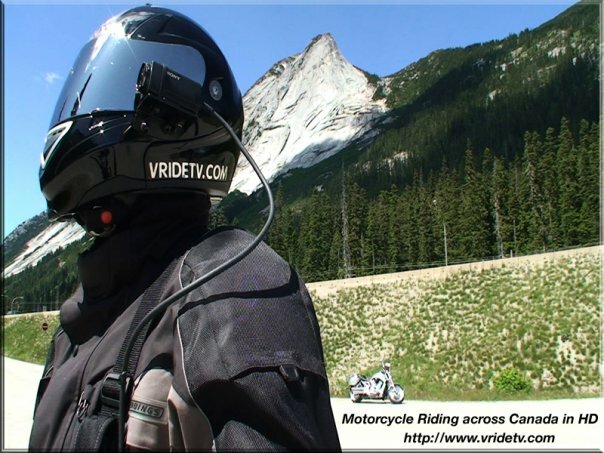 October 9th, 2009: Special thanks goes to David Mixson, a motorcycle enthusiast, and the founder of Motorcycle Mentor, for posting this article on Vridetv and inviting me to take part in an email Q & A.
I appreciate you sharing Virtual Riding TV with you viewing audience. 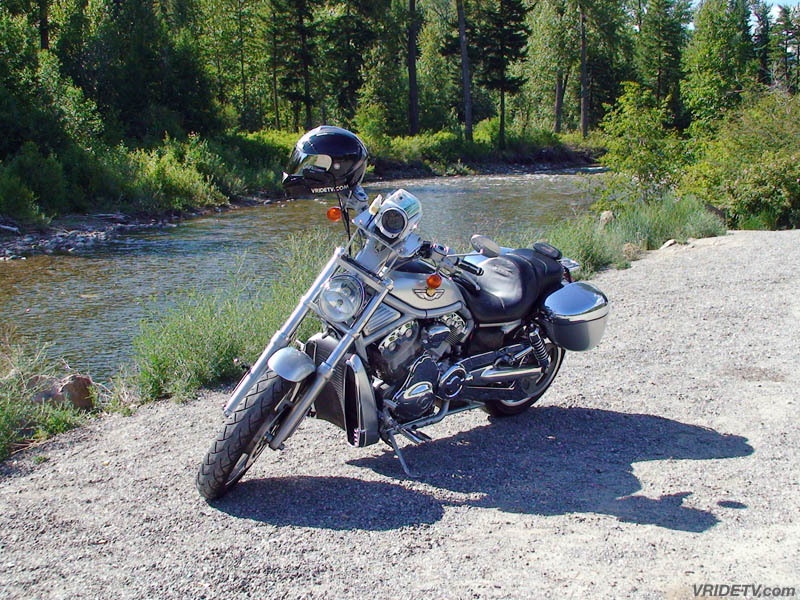 Whether you are a beginner, intermediate or experienced rider you will enjoy Motorcycle Mentor. 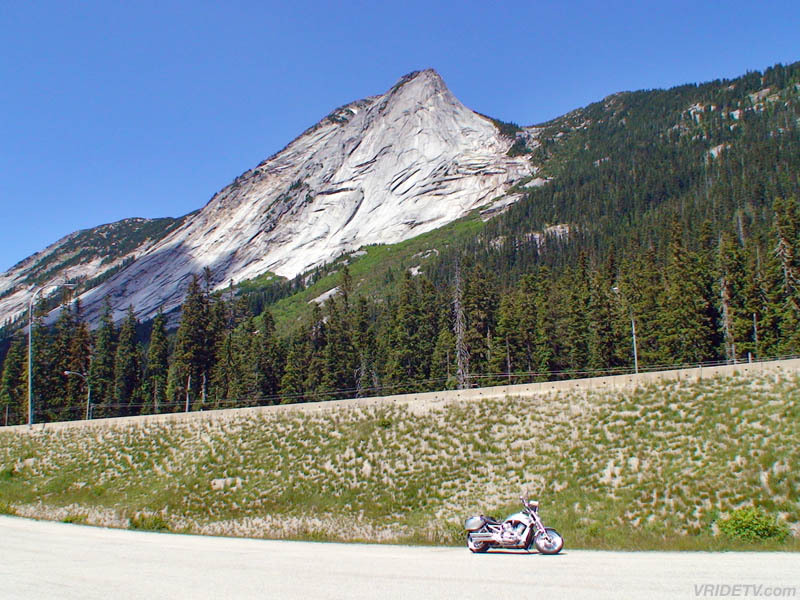 Click here: to visit this website for motorcycle riding tips, Q & A with riding coaches, and informative articles for both men and women motorcycle riding enthusisits. 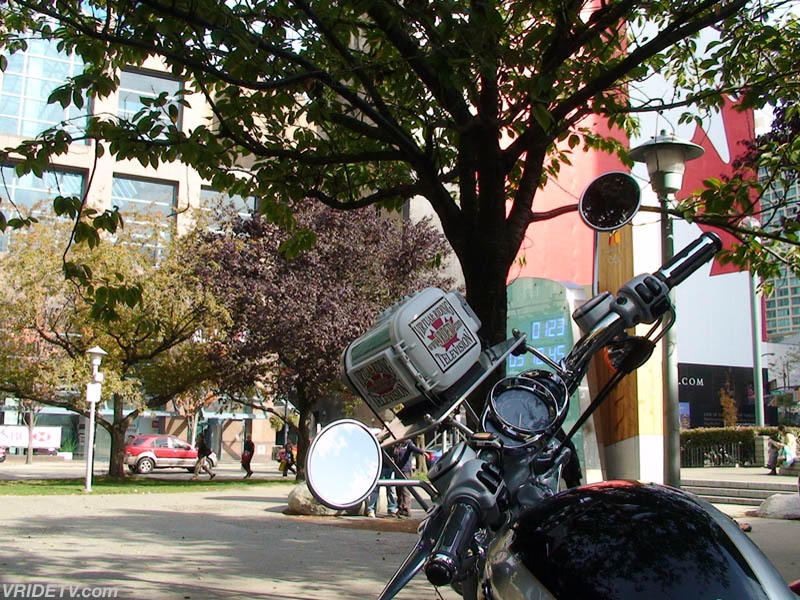 October 14th, 2009: These photos were taken on Thanksgiving Day's ride to the 2010 Olympic Countdown Clock located at the corner of Georgia and Hornby in Vancouver, British Columbia, Canada. 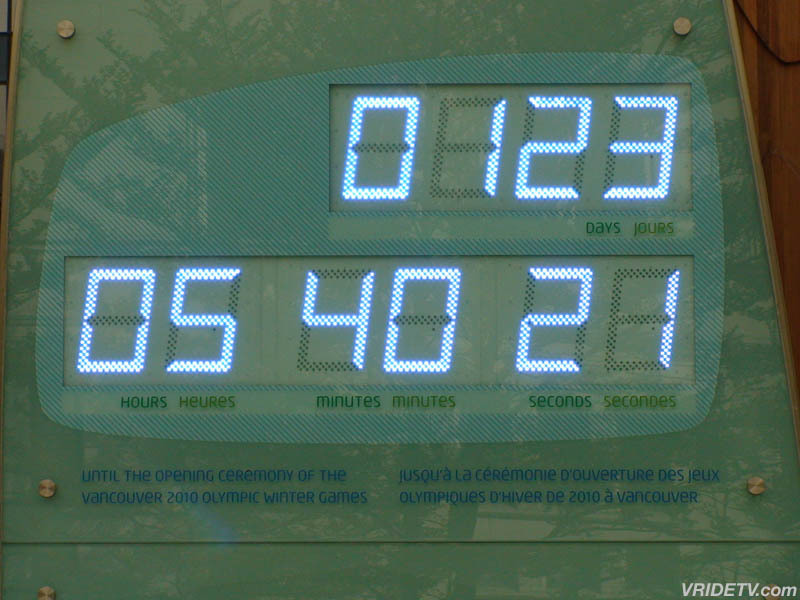 The clock is three metres wide, more than six metres high and weights 1,170 kilograms, displaying the days, hours, minutes and seconds remaining to the opening ceremonies of the 2010 Winter Olympic and Paralympic Games. 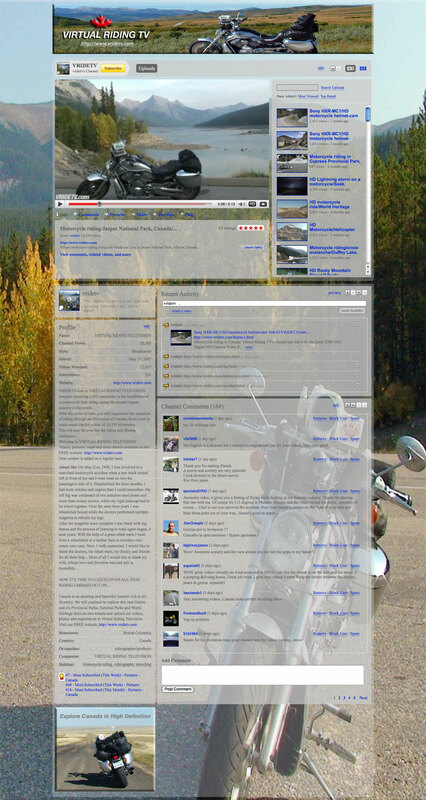 October 22nd, 2009: Special thanks once again to our media sponsor Canadian Motorcycle Rider online magazine. 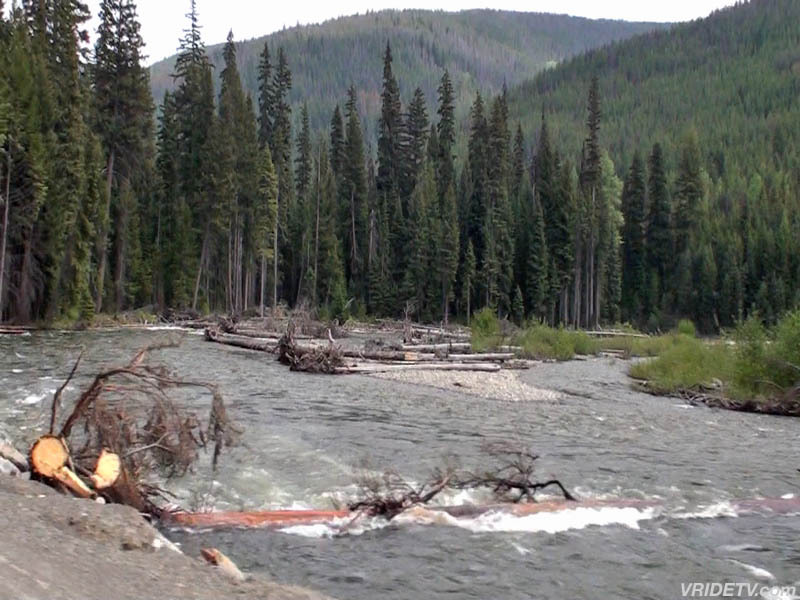 The Managing Editor and Webmaster Dan McAfee, has posted this article on our black bear video that was shot near Duffey Lake Provincial Park, British Columbia. 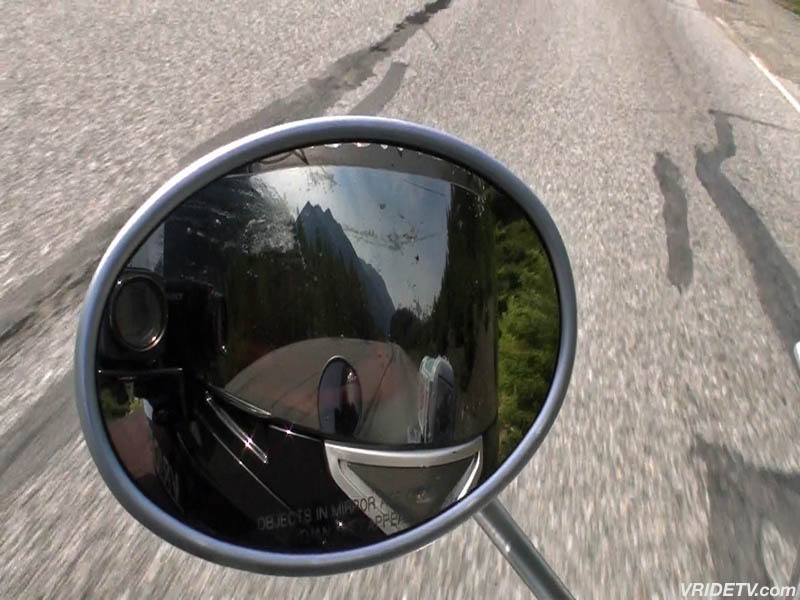 We appreciate you sharing this video, and Virtual Riding TV with your viewing audience. 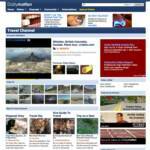 October 28th, 2009: A new video thumbnail page has been added. 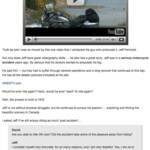 Now it's even easier to find the videos you're looking for. 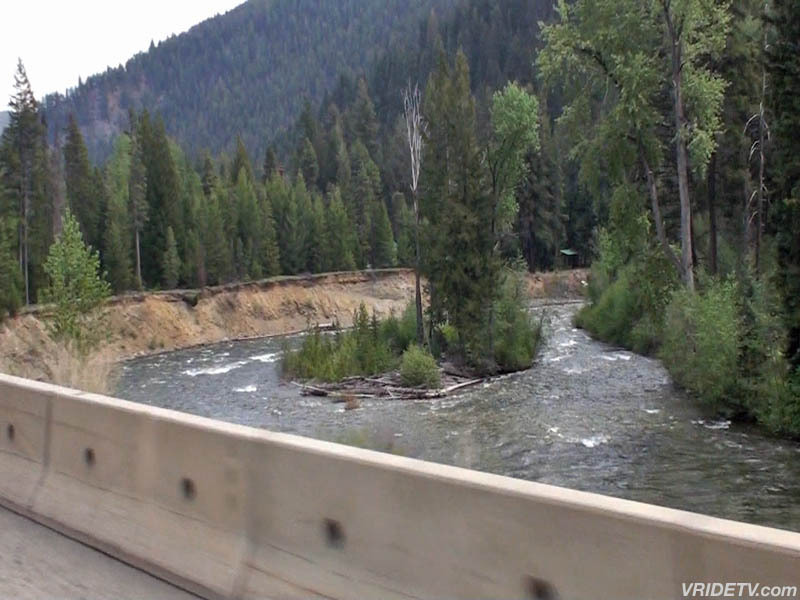 Select a thumbnail image, click it, and your selected video will open up in its own page with additional information on the video, pictures, and a map of where it was shot. 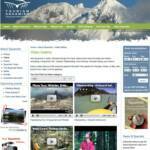 It is also accessible by selecting the Videos tab in the navigation menu at the top or bottom of each page. 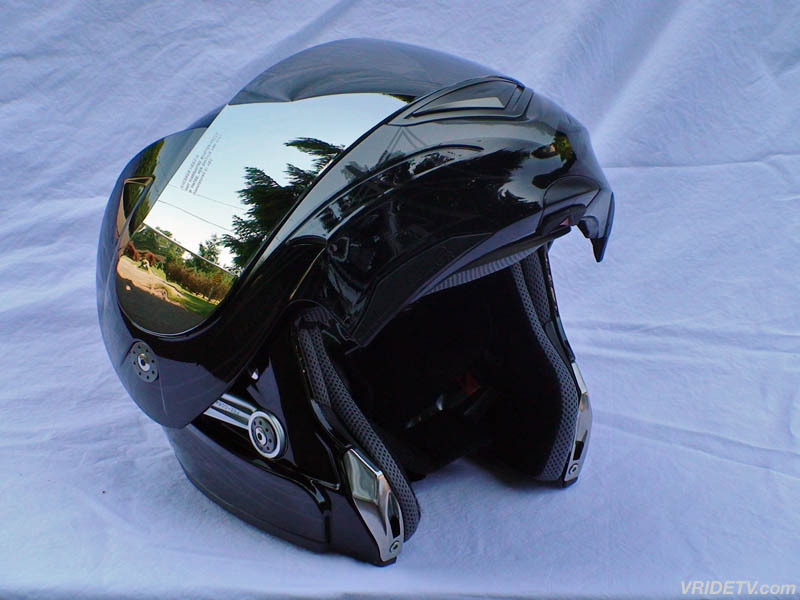 Full media kits are also available upon email request. 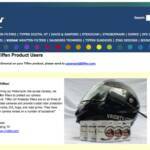 They include: Press release, advertising options on Virtual Riding TV, statistics and our audience demographic. 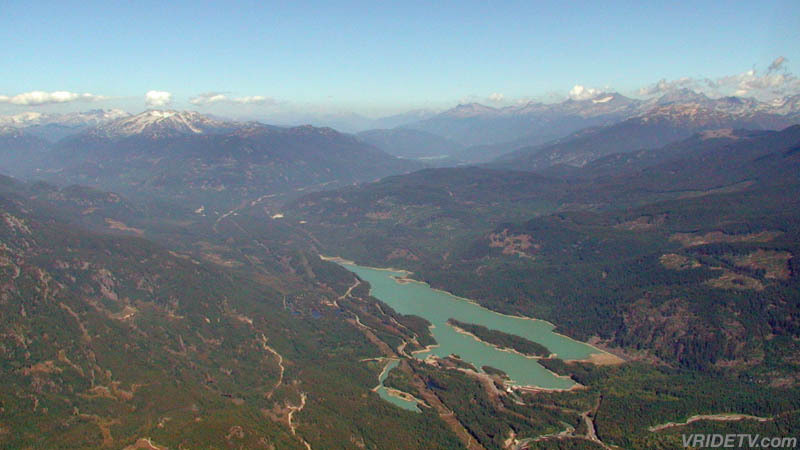 November 16th, 2009: New HD video: A British Columbia plane tour departing from Squamish airport featuring, Stawamus Chief Provincial Park, Howe Sound, Lake Lovely Water, Tantalus Provincial Park, Black Tusk, Whistler Village, both Whistler and Blackcomb Mountains, the Barrier lava dam and Garibaldi Lake in Garibaldi Provincial Park. 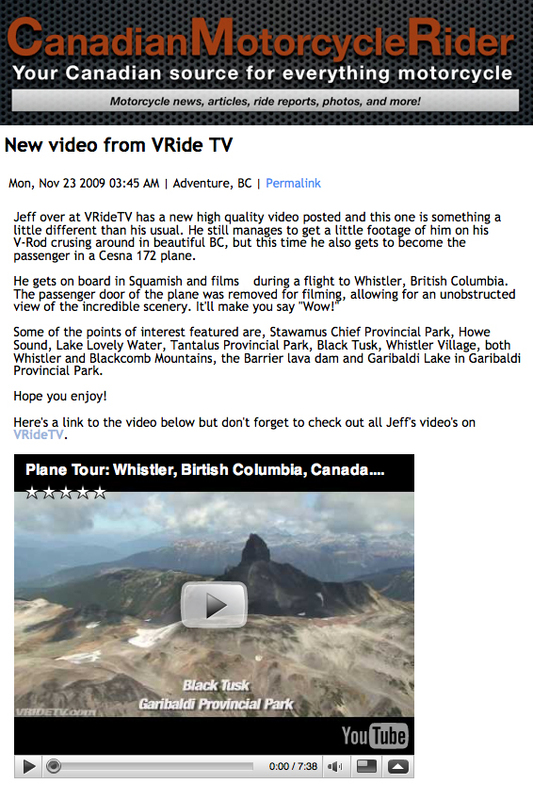 December 4th, 2009: Special thanks to Dailymotion online video, music and movie provider for posting our Whistler British Columbia plane tour video on their home page, and featuring it on the travel channel. 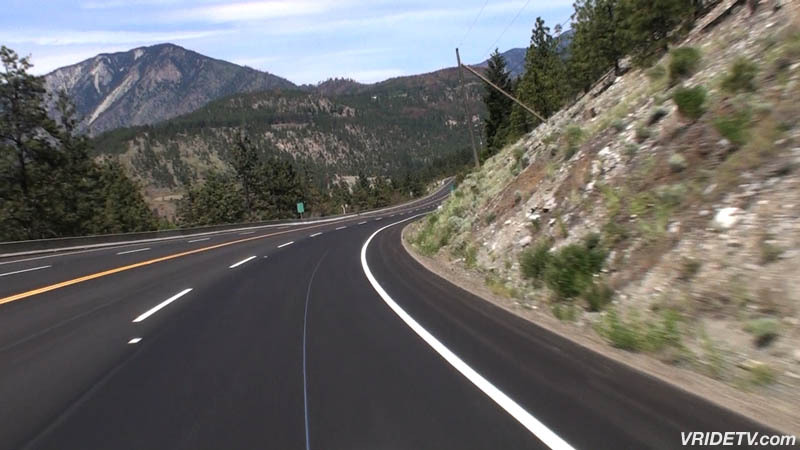 This video is now availabe in high definition. 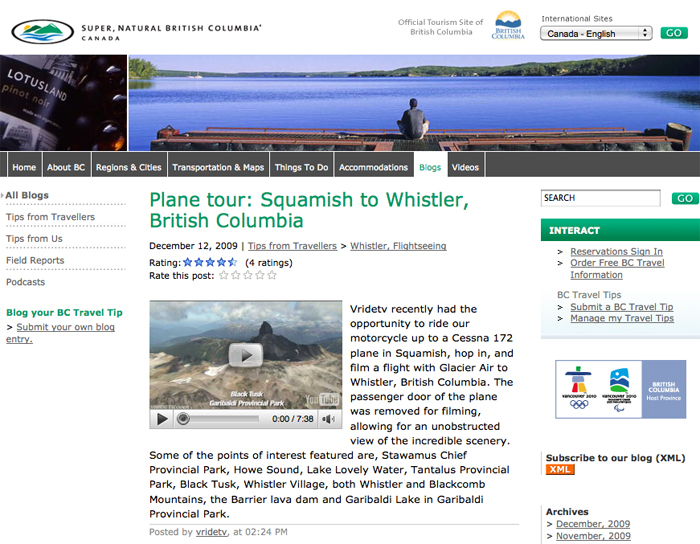 December 5th, 2009: Special thanks goes to Tourism Squamish for posting our flightseeing tour from Squamish to Whistler British Columbia in their video gallery. 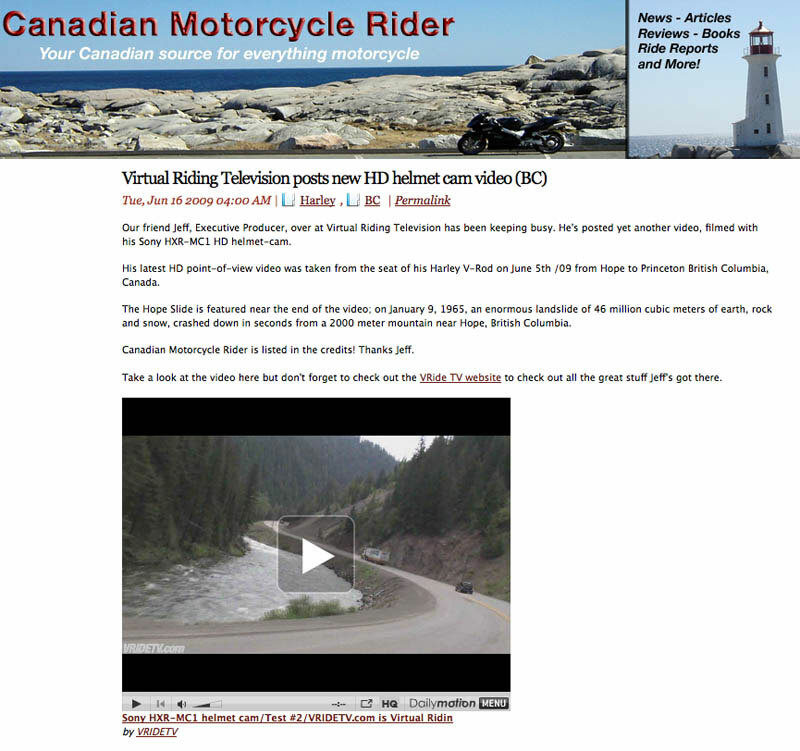 We appreciate you sharing this video, and Virtual Riding TV with your viewing audience. 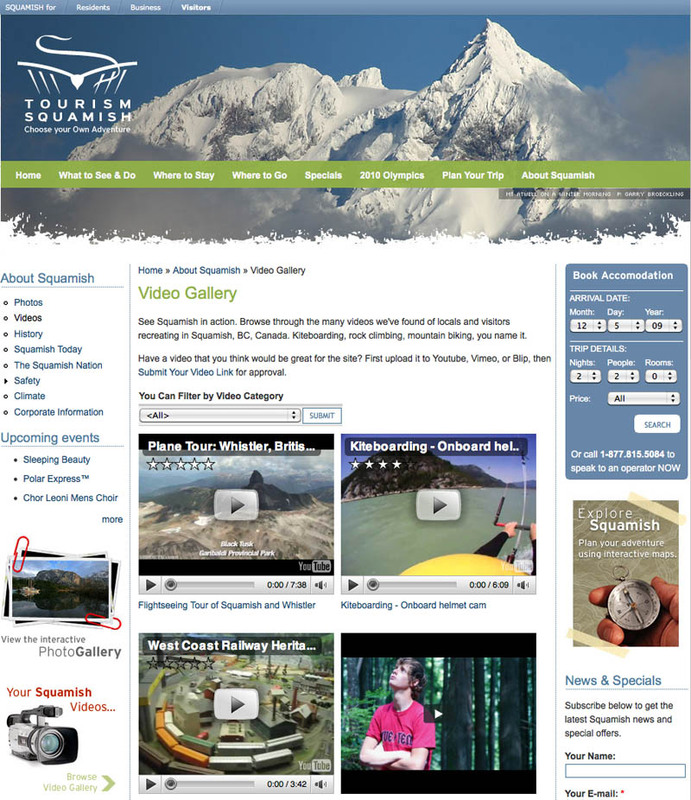 I hope you can take a moment and go to Tourism Squamish's website and cast your vote and "rate this experience" for our video submission. 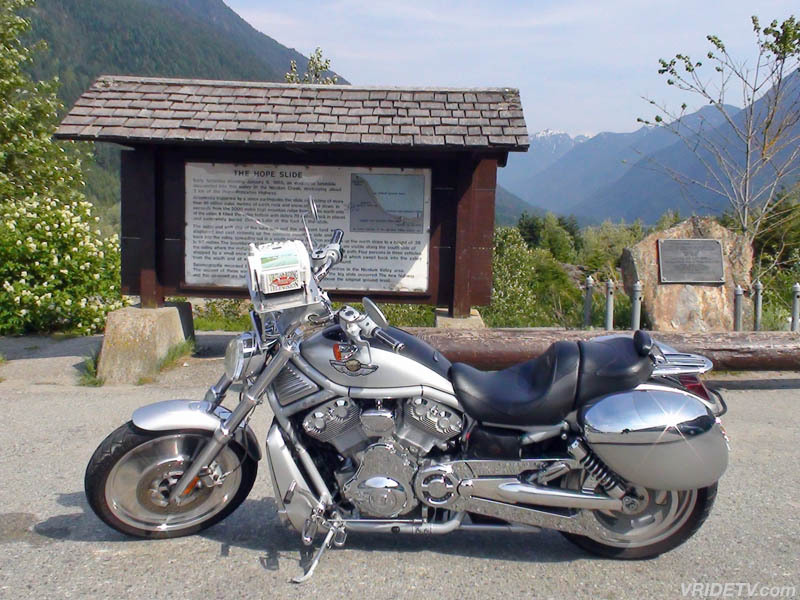 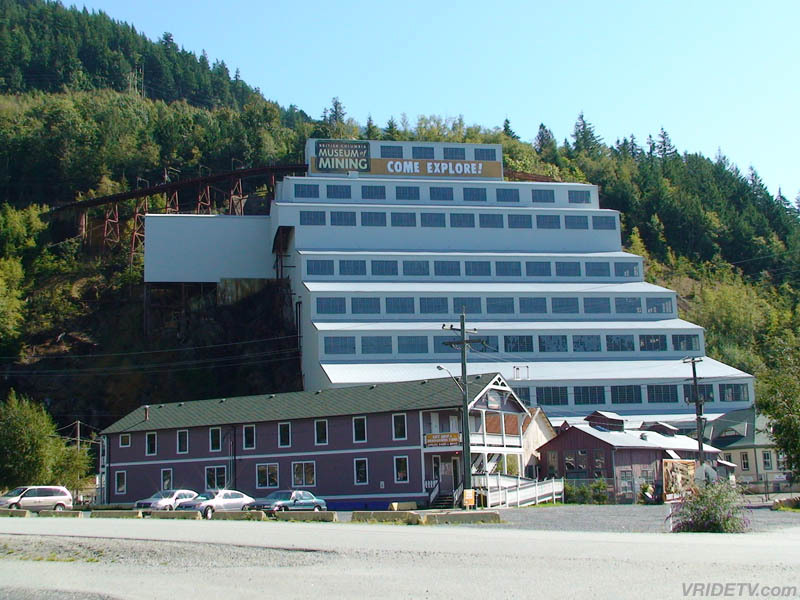 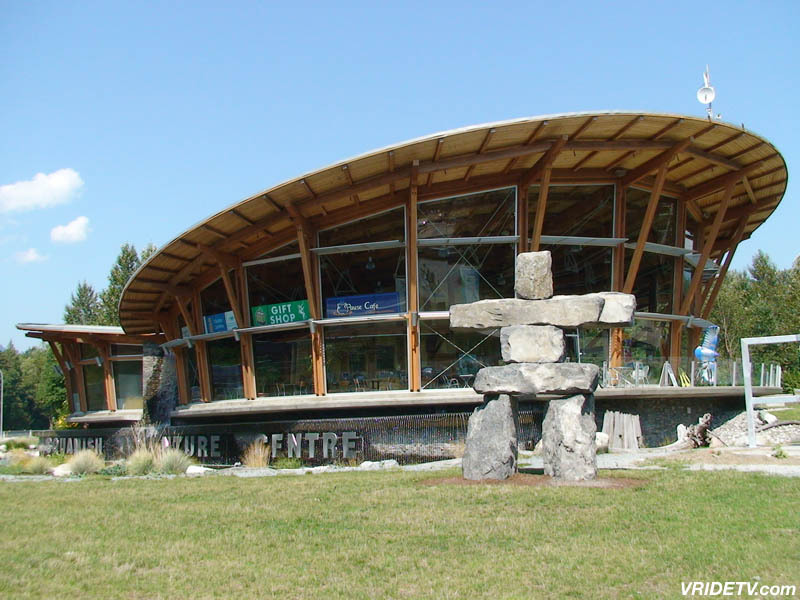 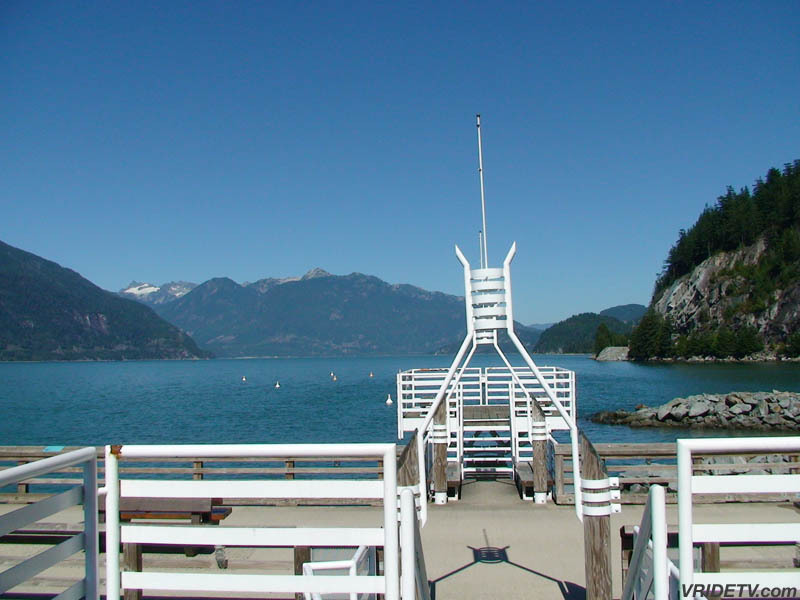 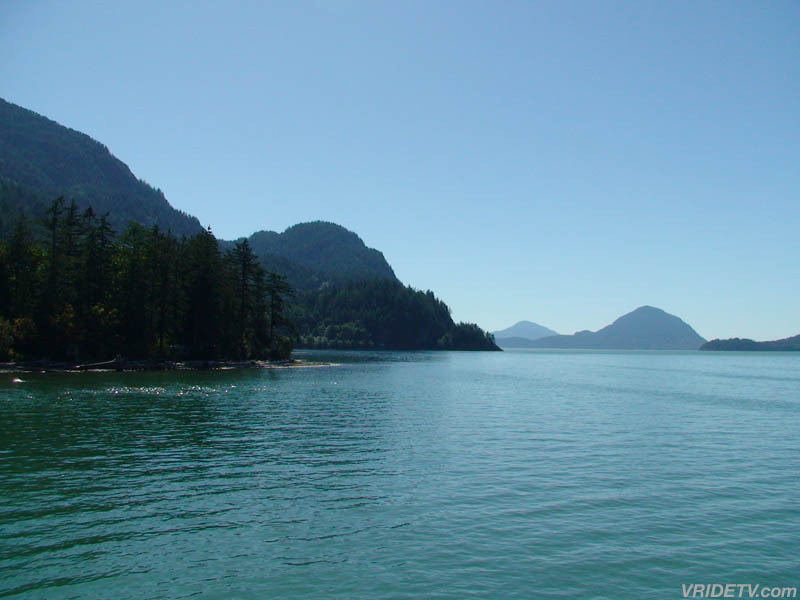 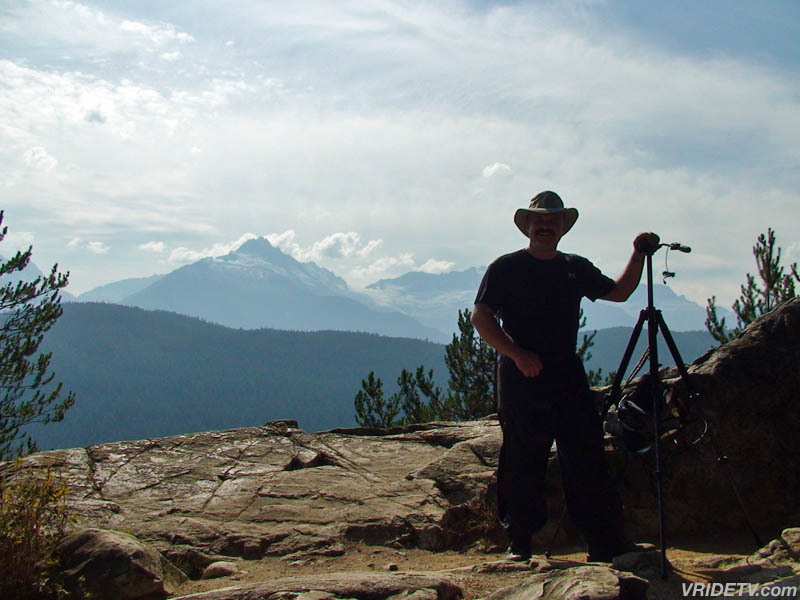 December 17th, 2009: Special thanks goes to Tourism British Columbia, the official travel website of BC Canada for accepting vridetv's blog submission. 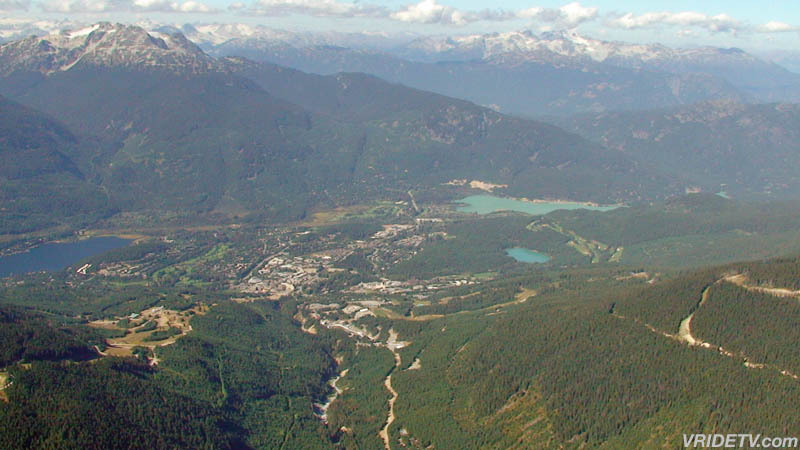 They have posted our flightseeing tour from Squamish to Whistler British Columbia in their blog section, and in tips from travellers. 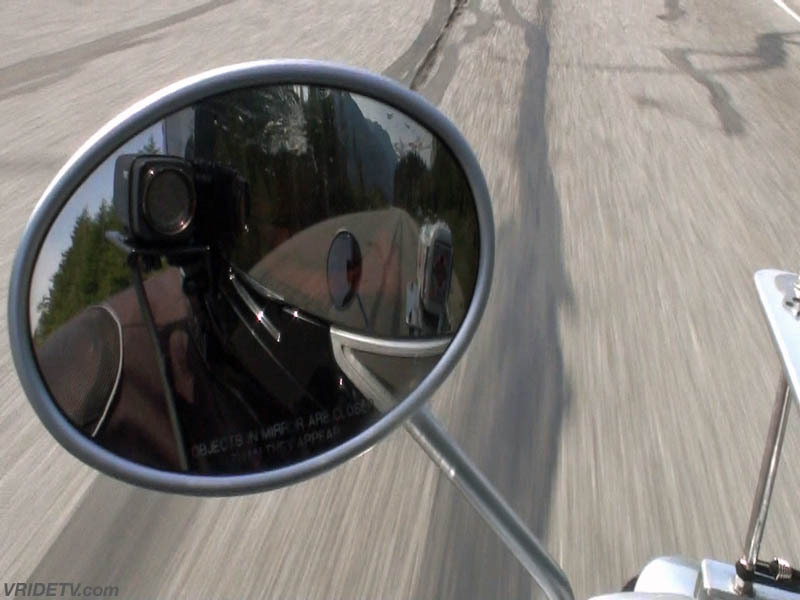 We appreciate you sharing this video, and Virtual Riding TV with your viewing audience. 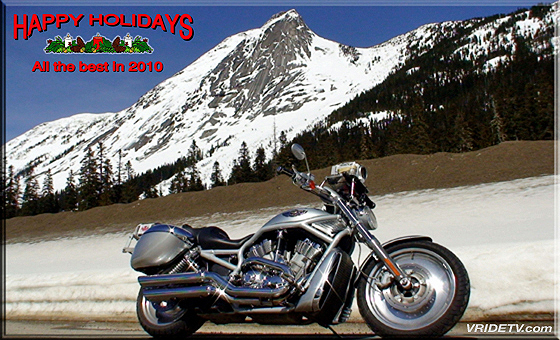 December 21th, 2009: Happy Holidays, all the best to you and yours this holiday season. 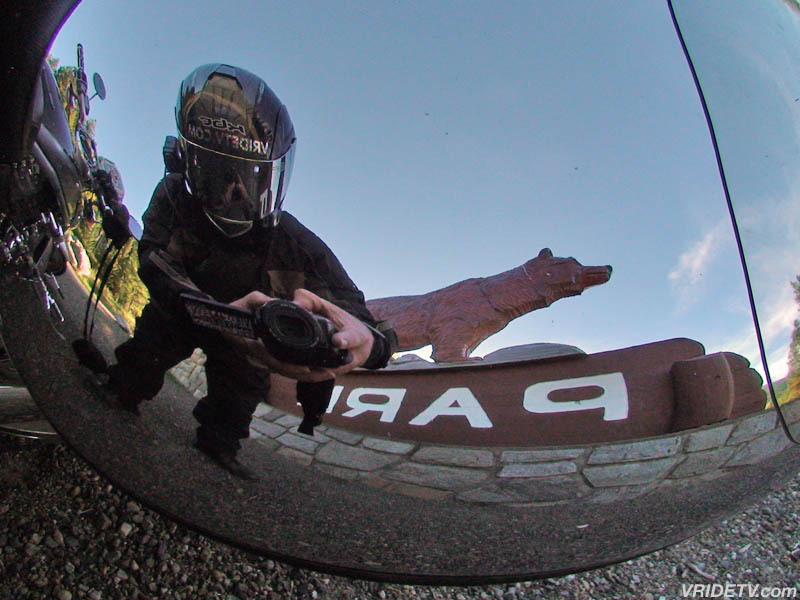 Thank you for watching Virtual Riding TV. 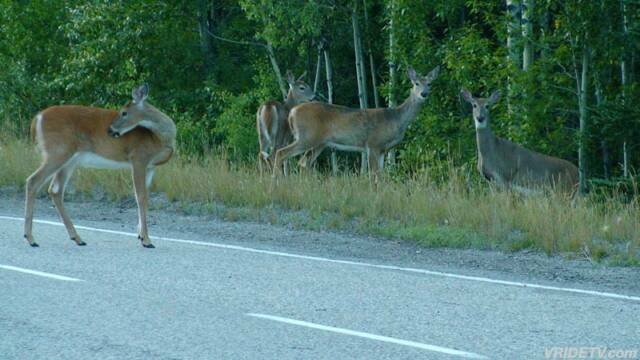 I rode up to these deer on the Kananaskis Trail in Alberta. 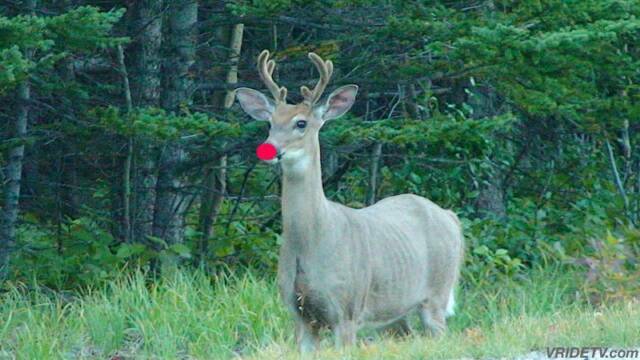 It might have been, Rudolph, Dasher, Dancer, Prancer, Vixen, Comet, Cupid, Donner, Blitzen? 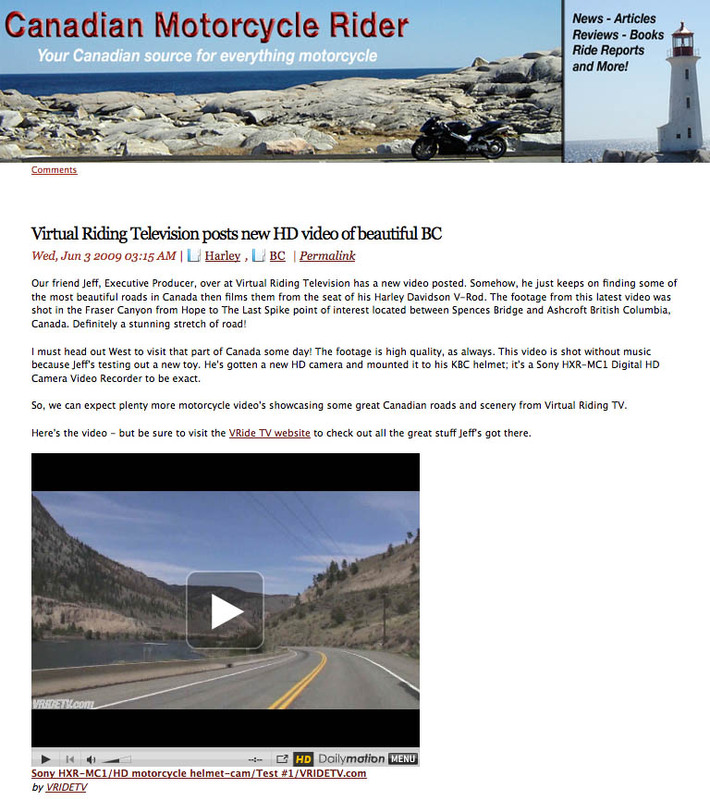 I would like to take this oppurtunity to thank everyone for watching Virtual Riding TV and for sharing our website with others. 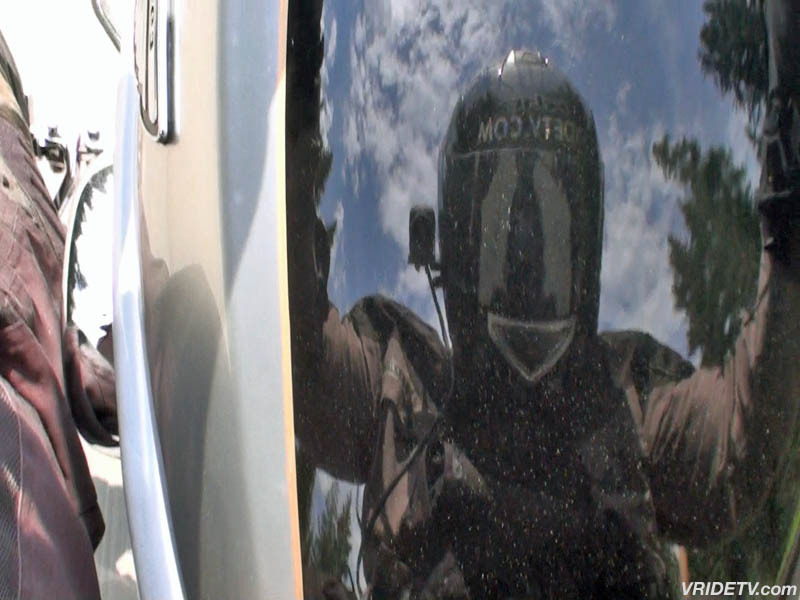 Your help in spreading the word about us in 2009 is greatly appreciated, and I'm pleased to announce that Vridetv will continue to remain completely free for its viewers in 2010. 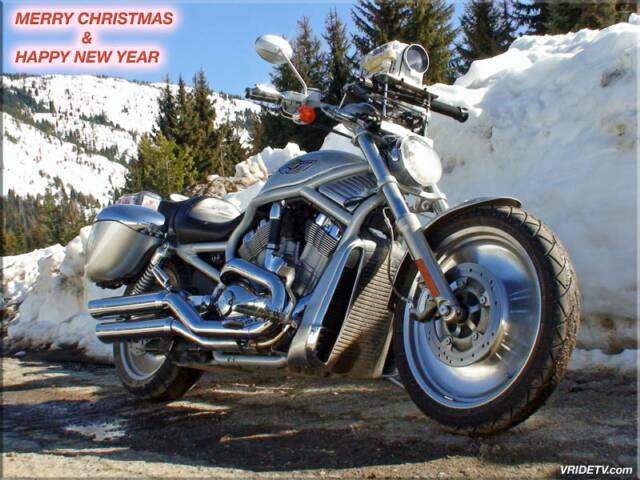 Happy New Year, all the best to you and yours in 2010.